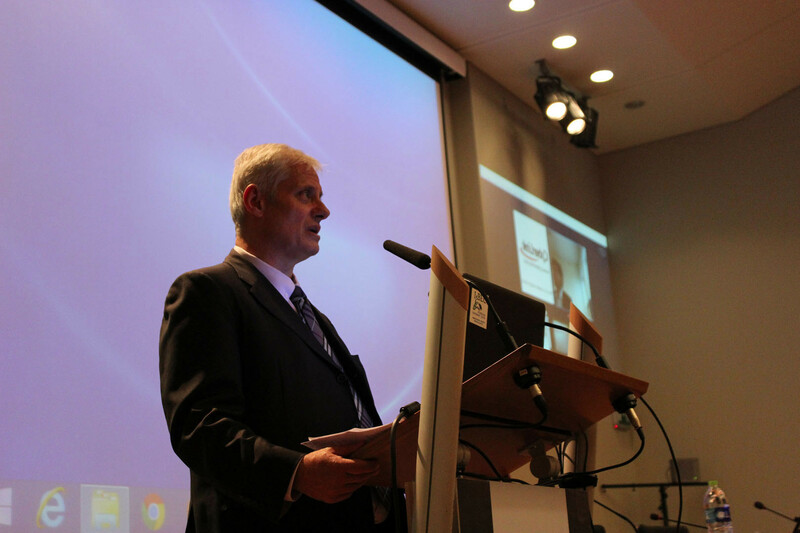 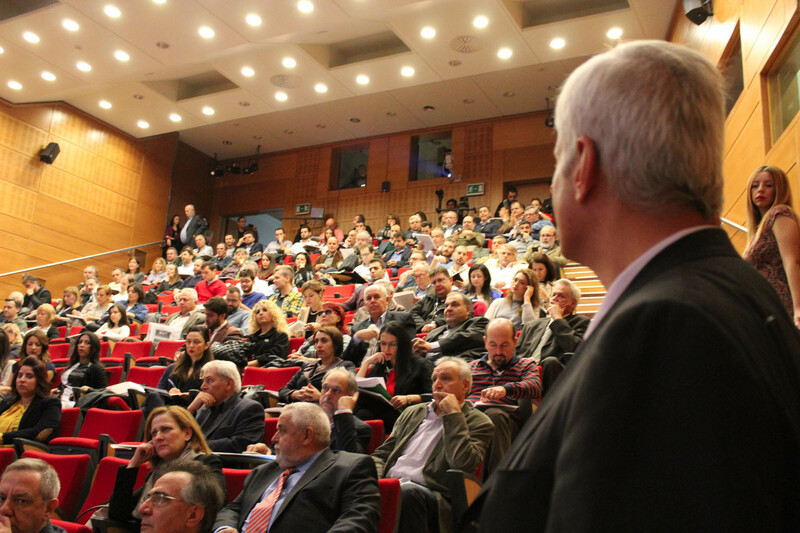 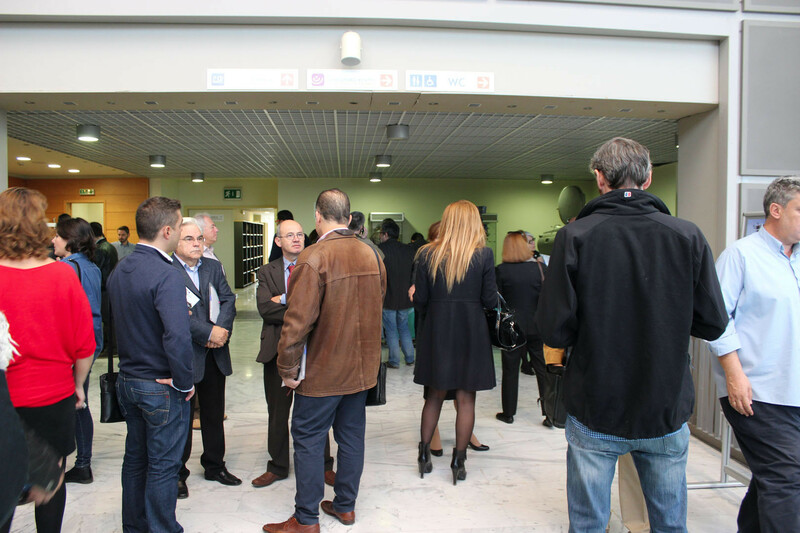 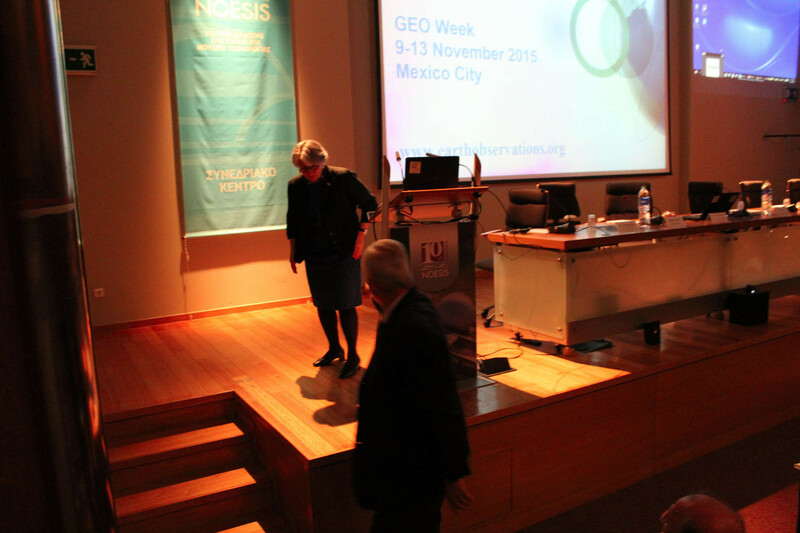 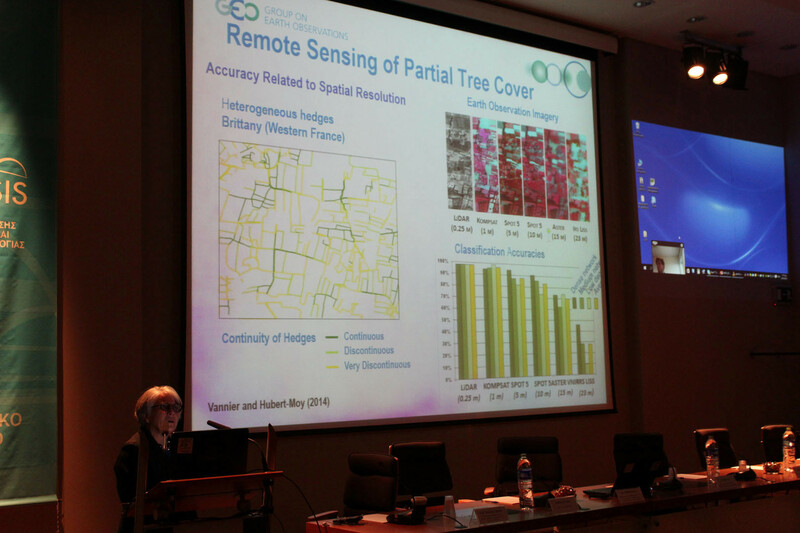 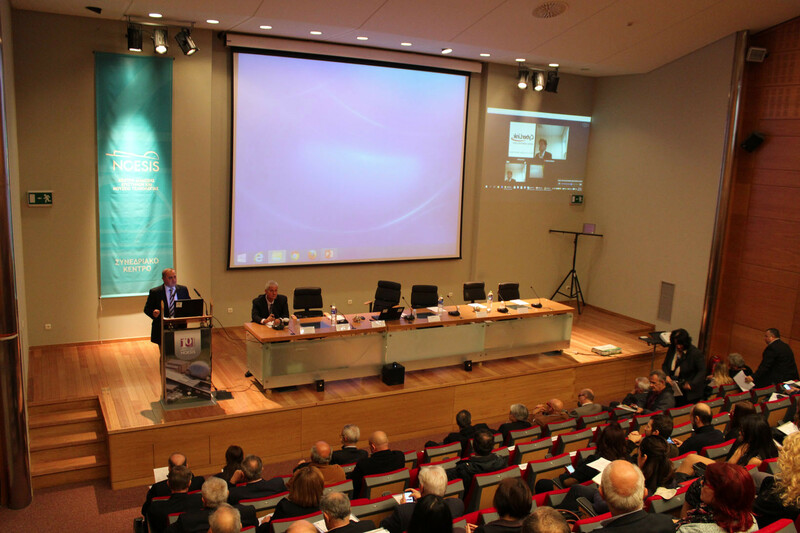 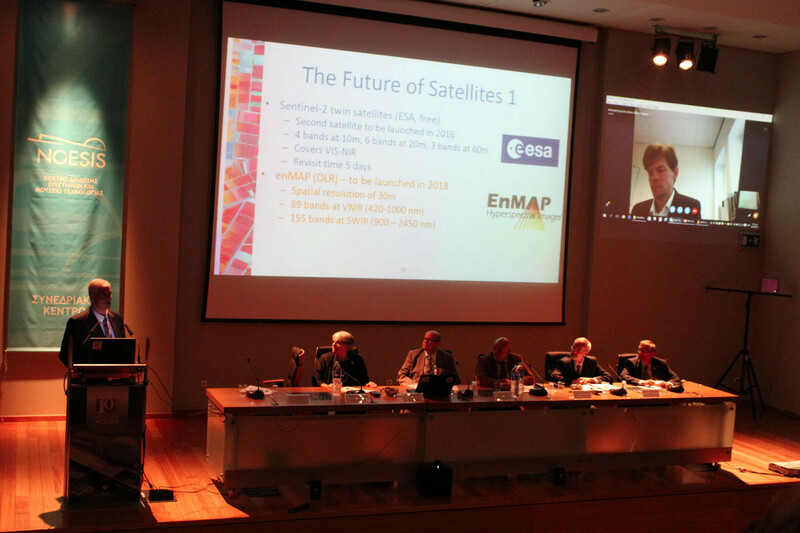 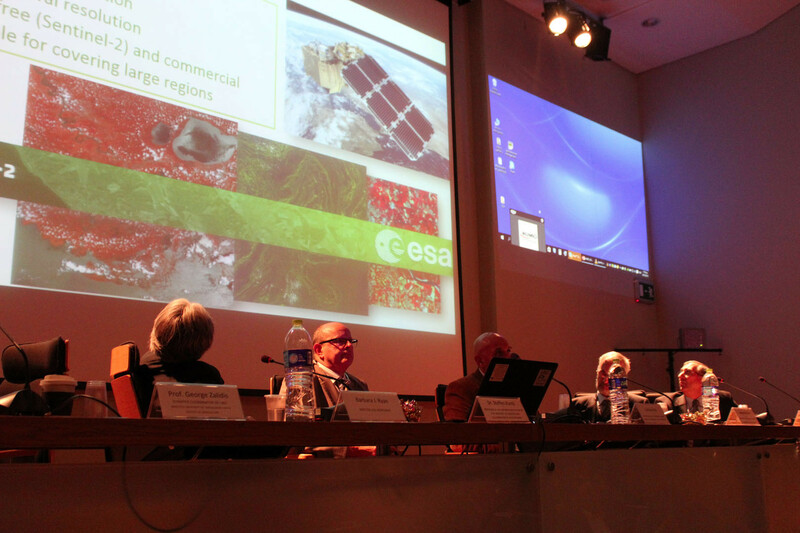 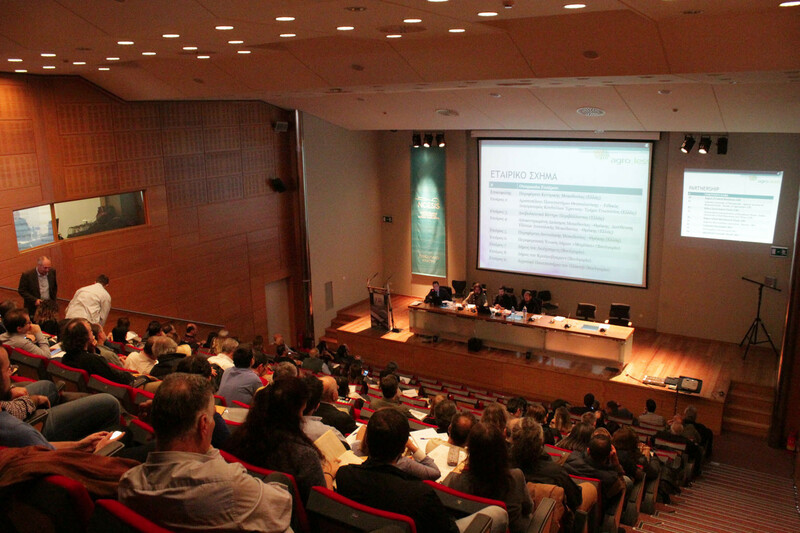 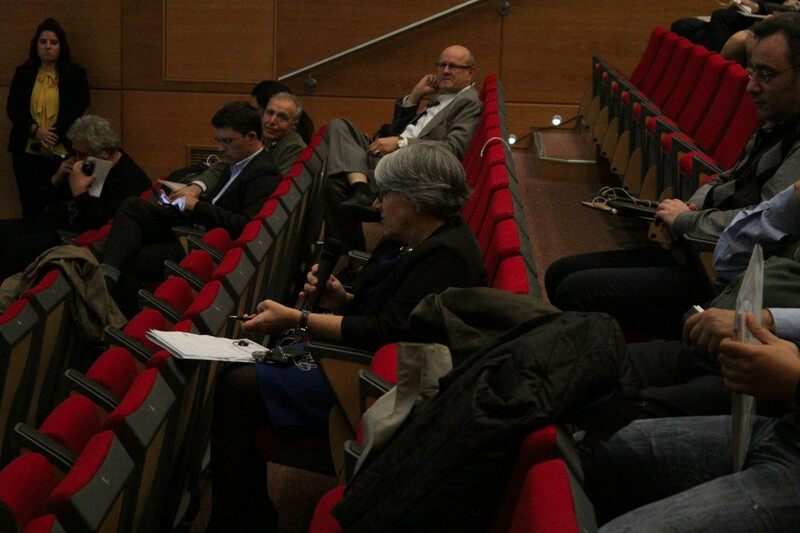 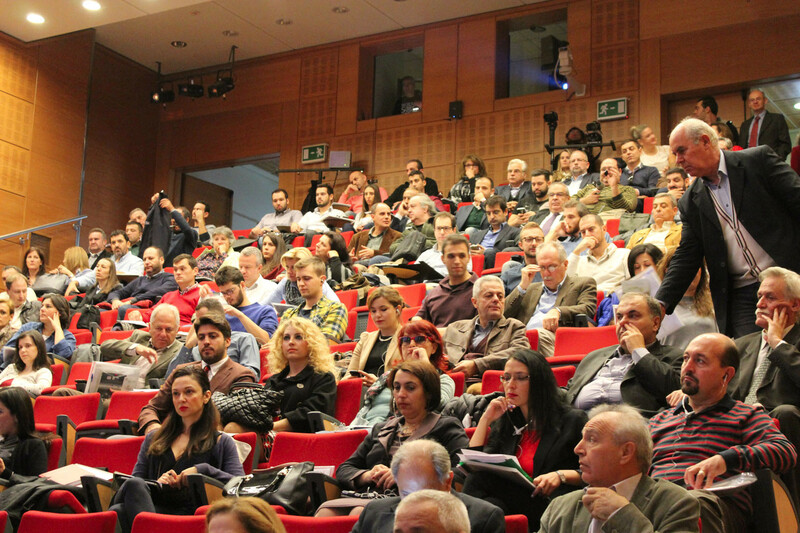 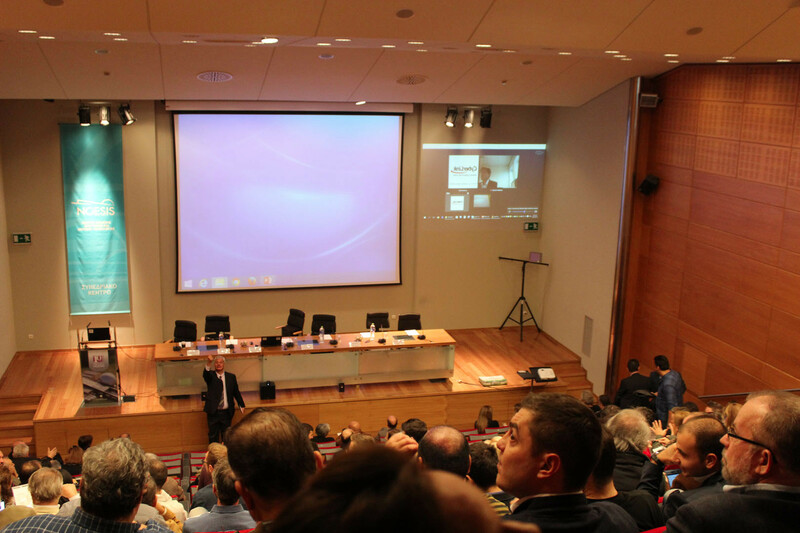 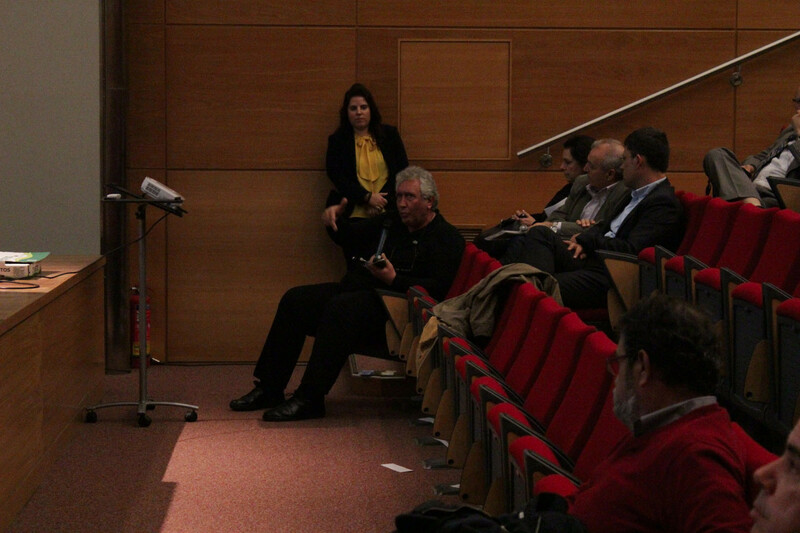 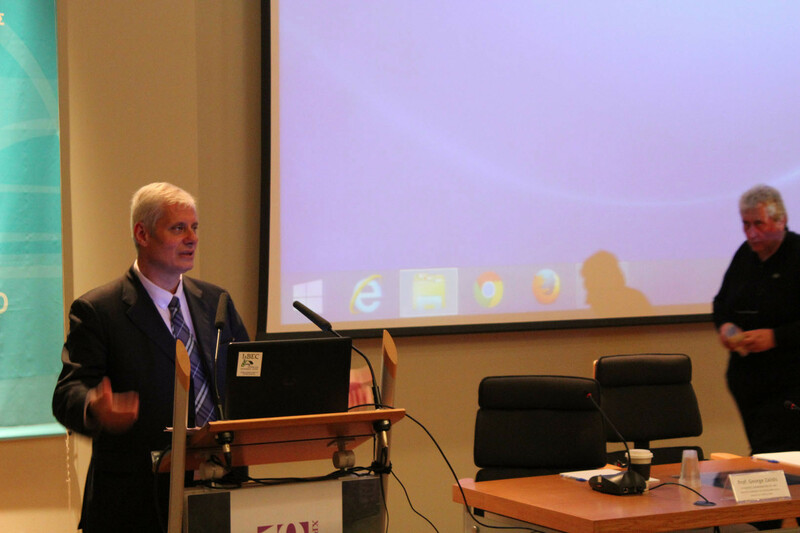 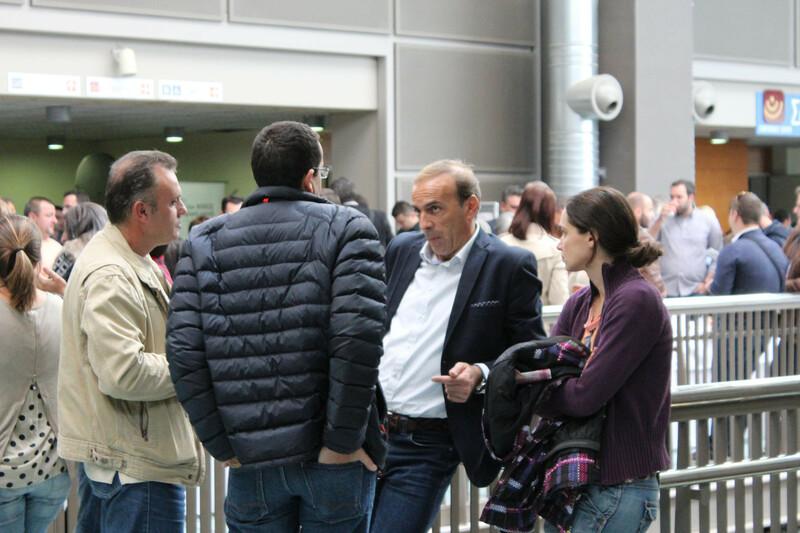 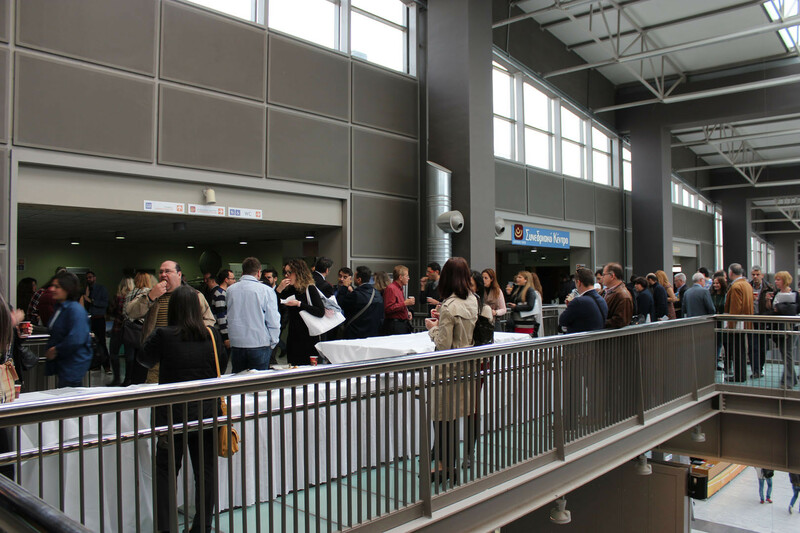 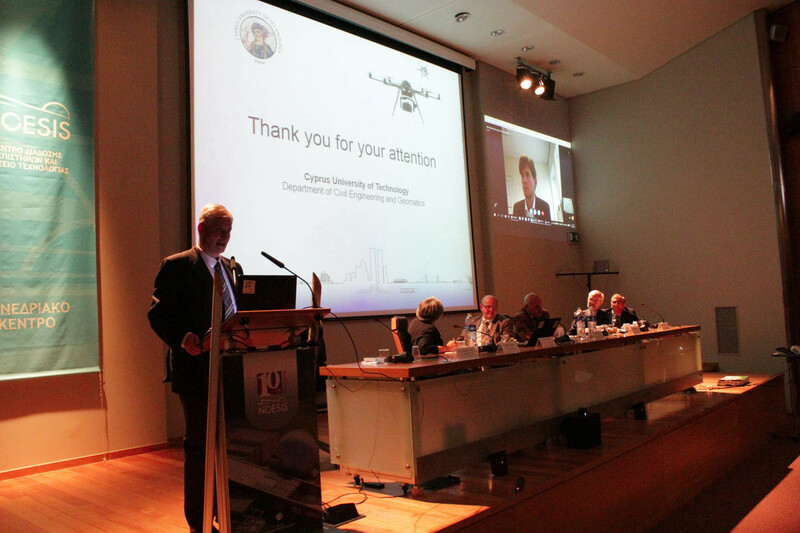 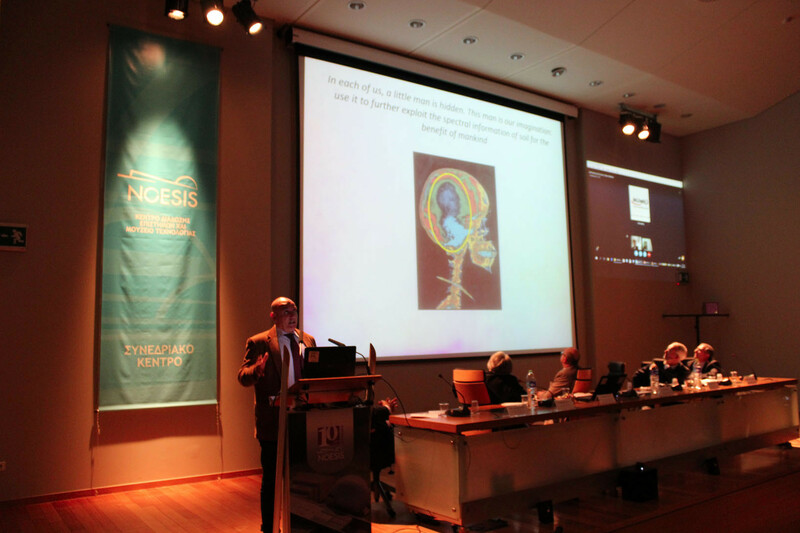 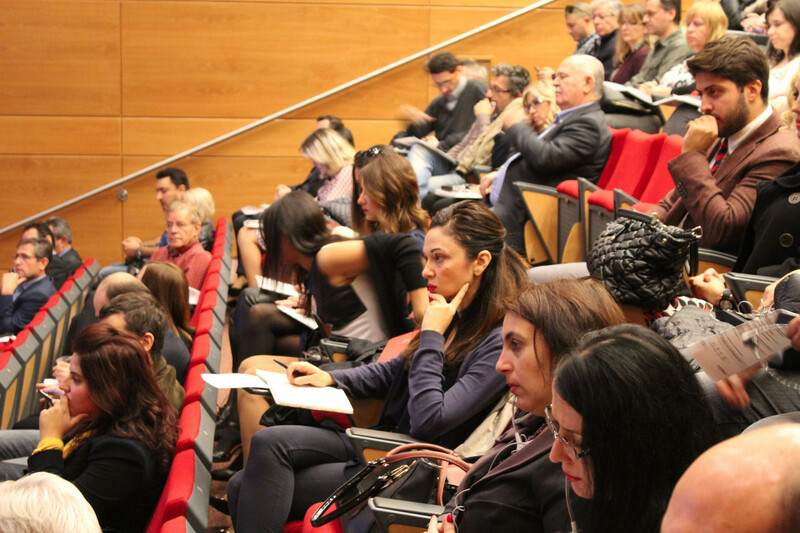 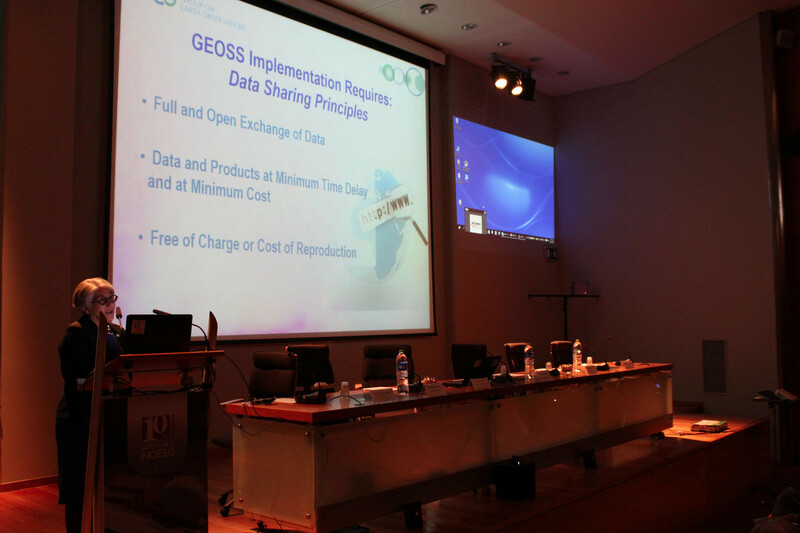 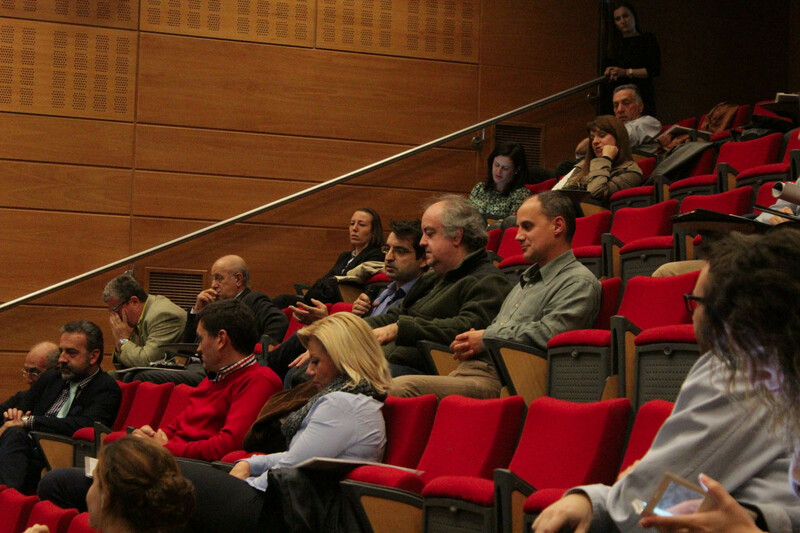 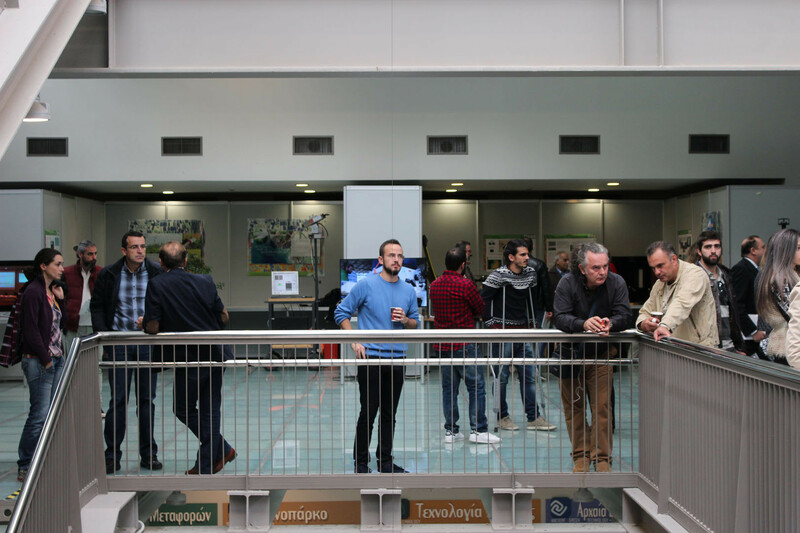 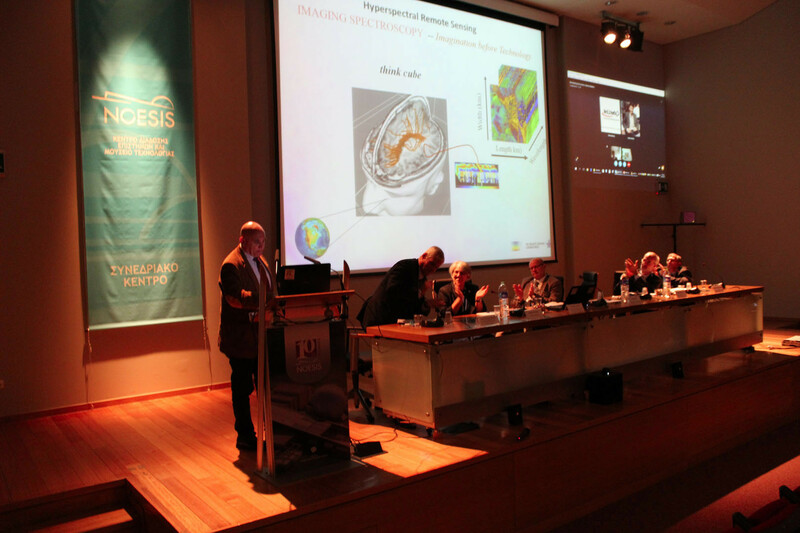 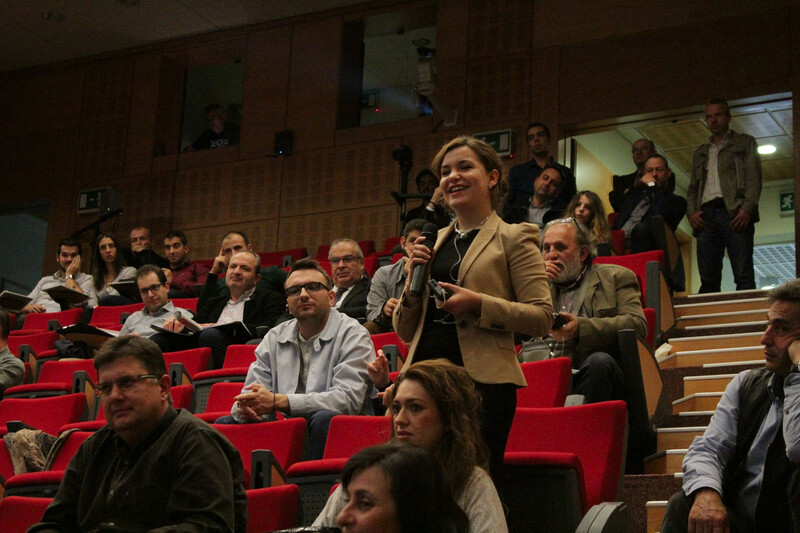 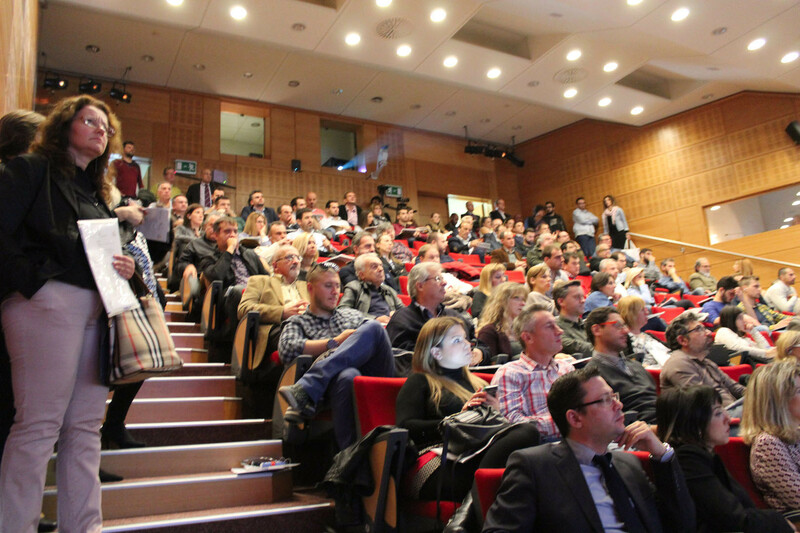 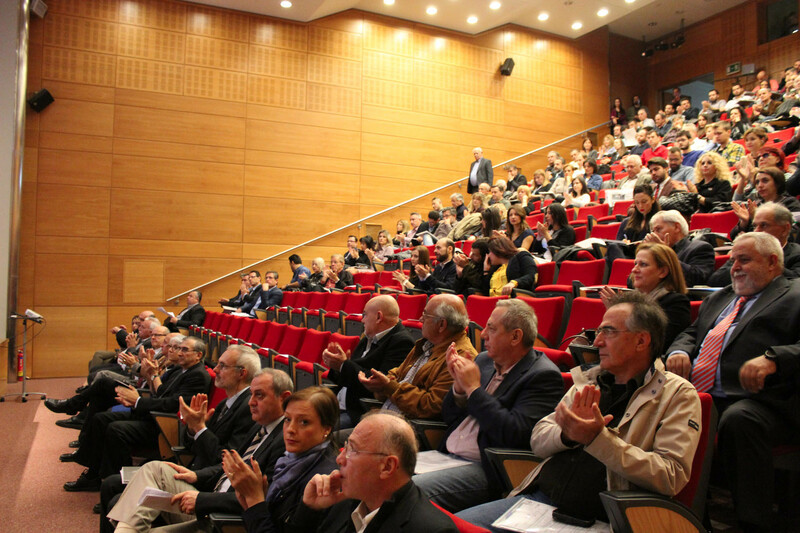 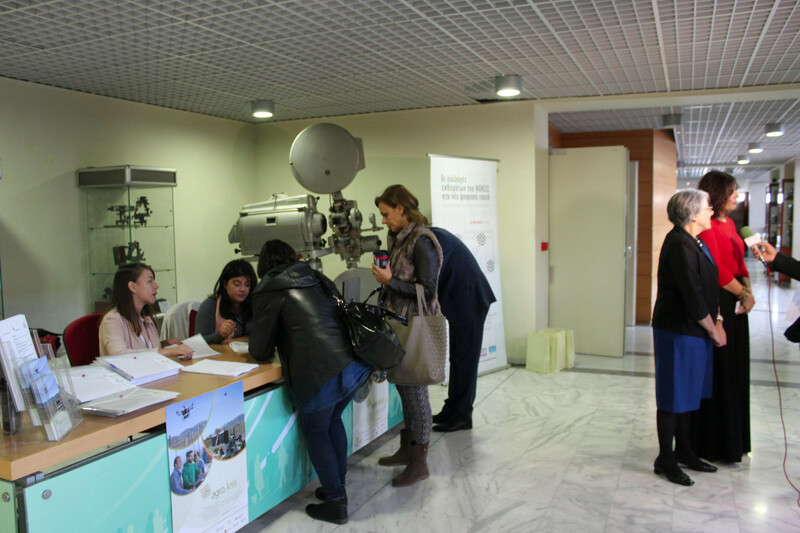 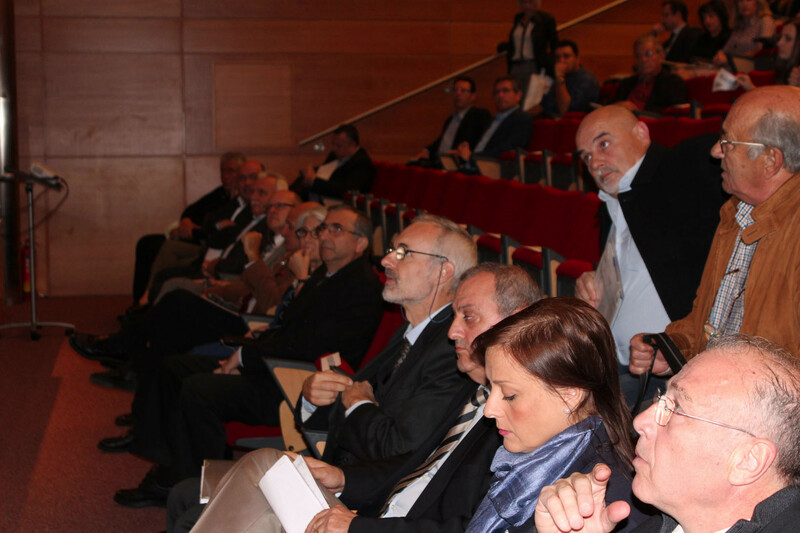 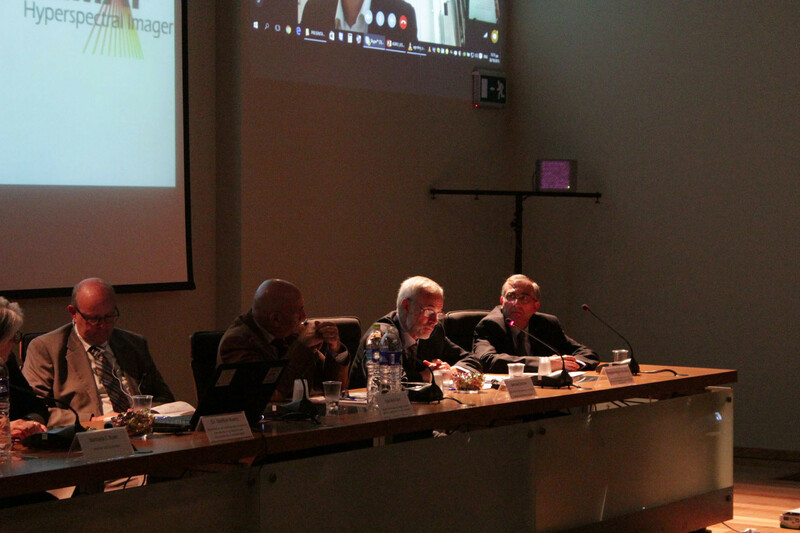 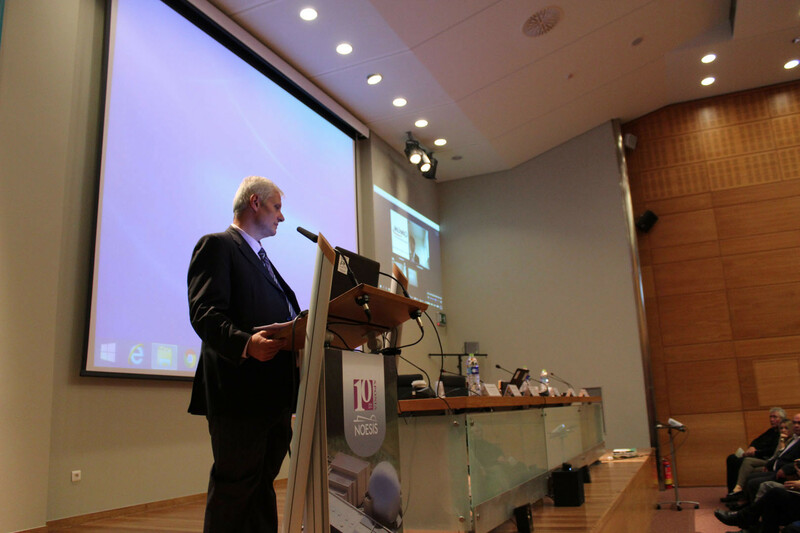 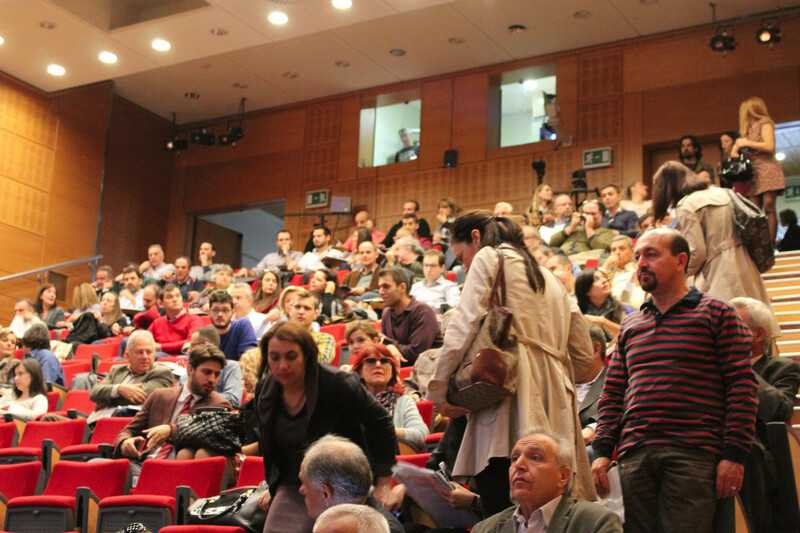 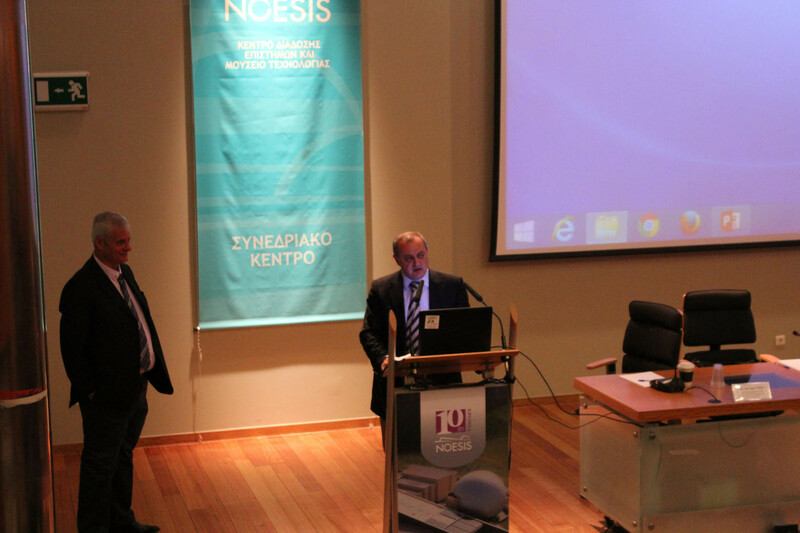 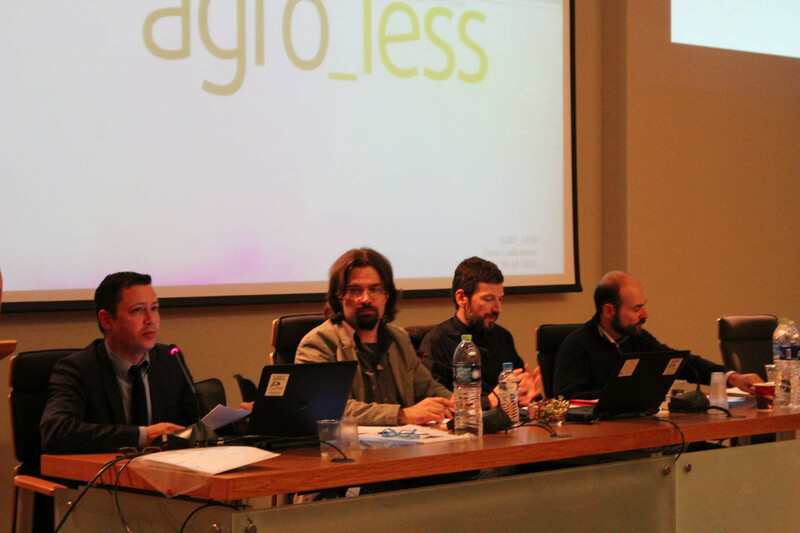 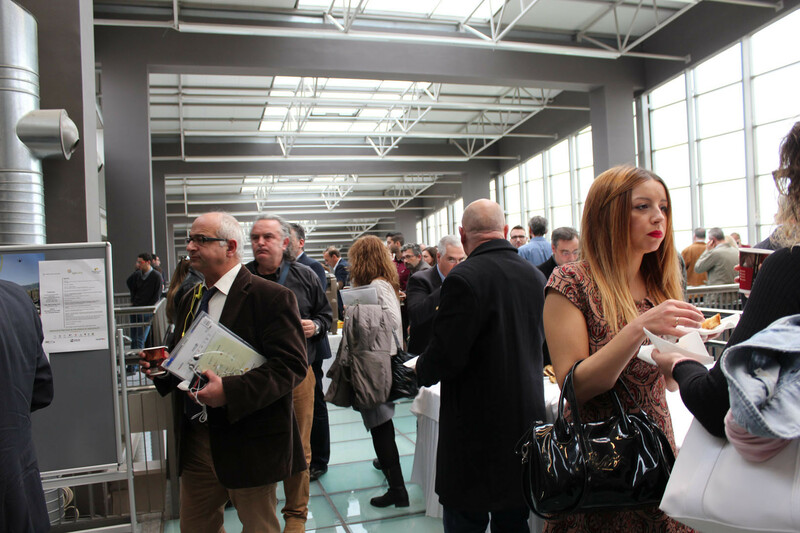 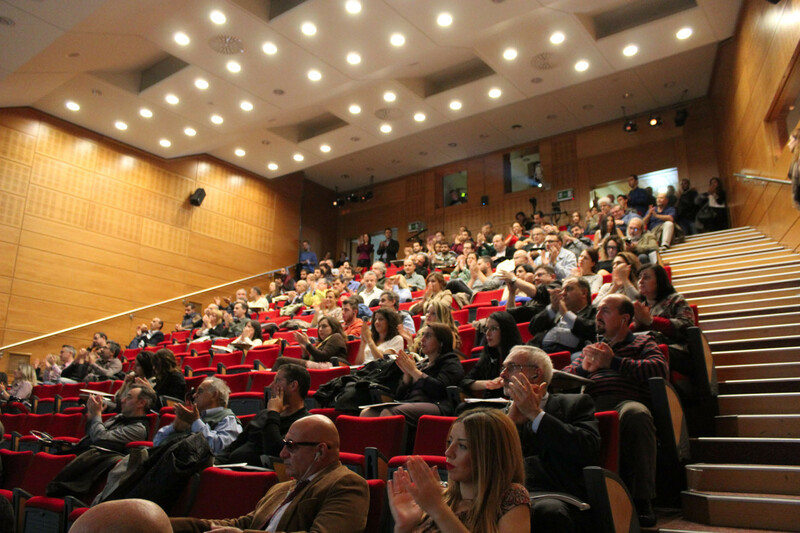 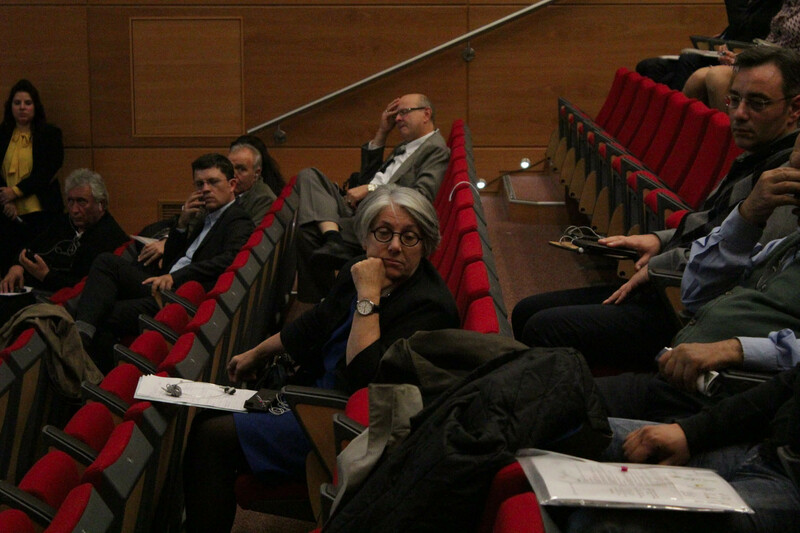 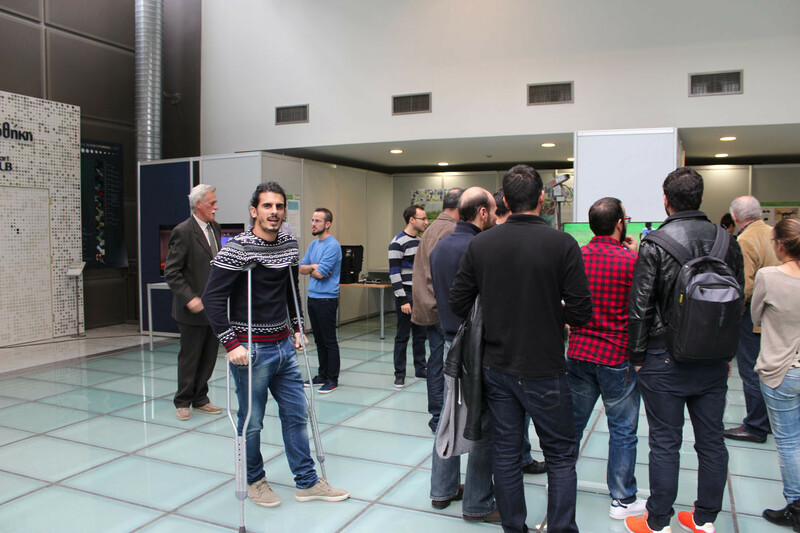 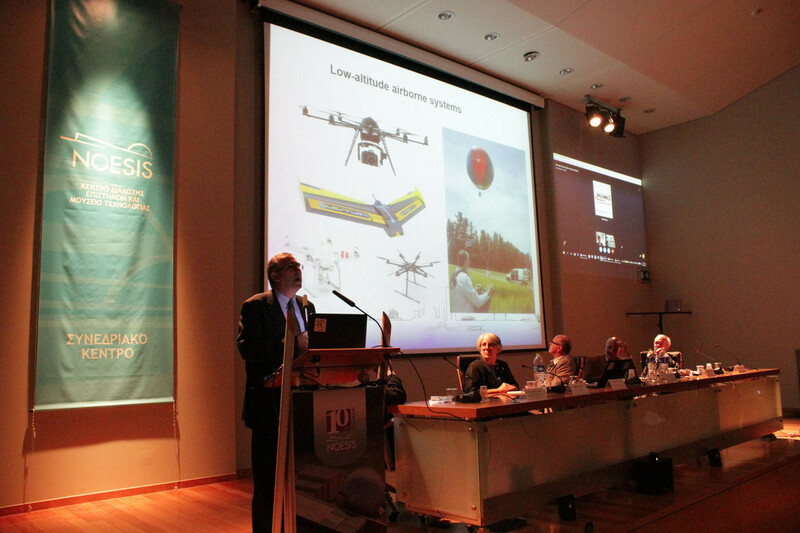 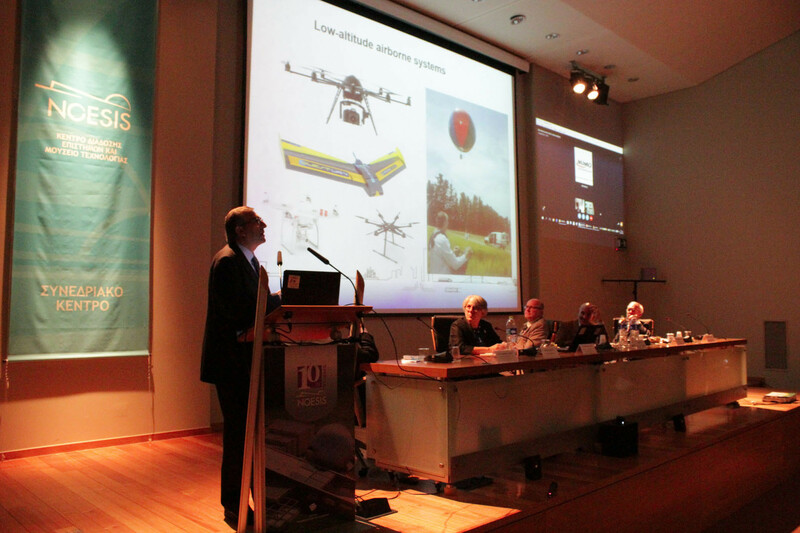 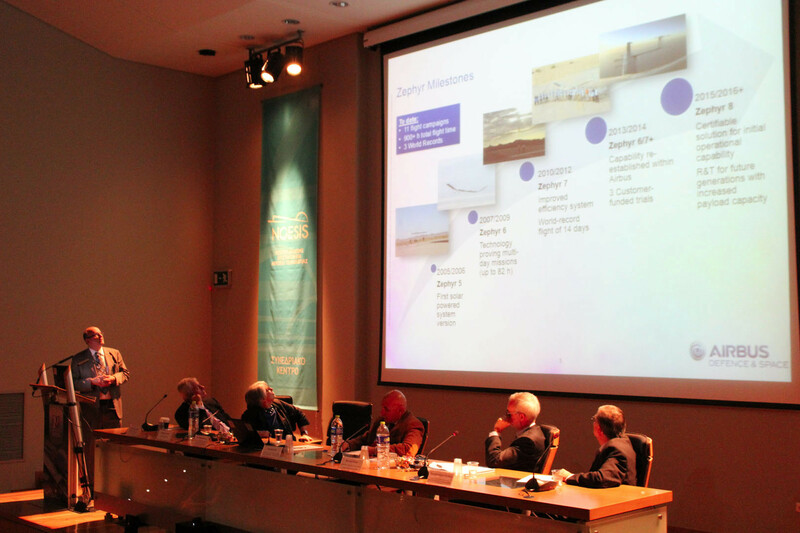 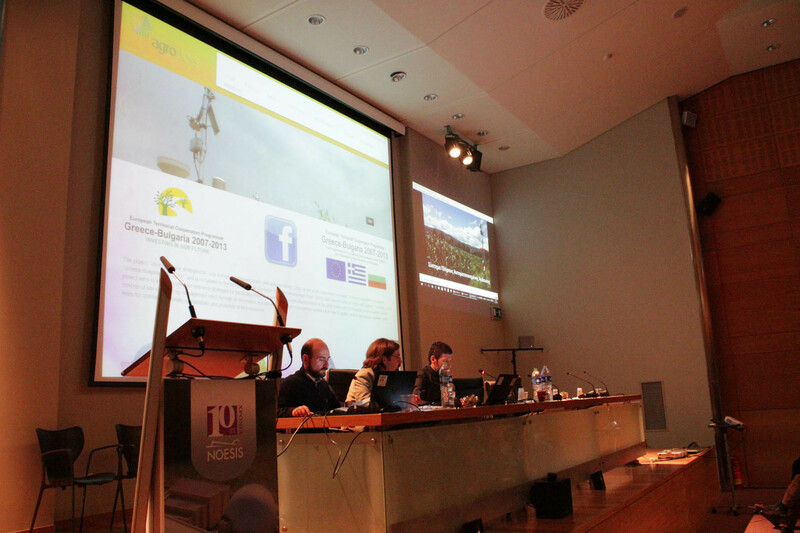 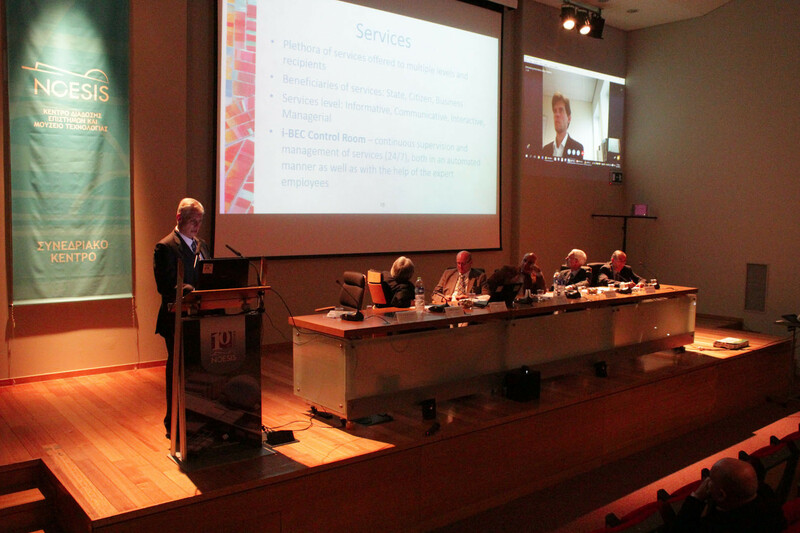 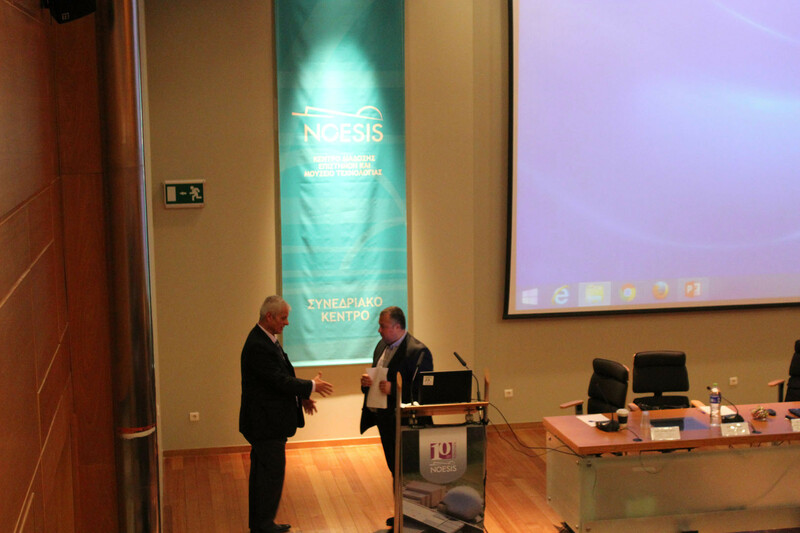 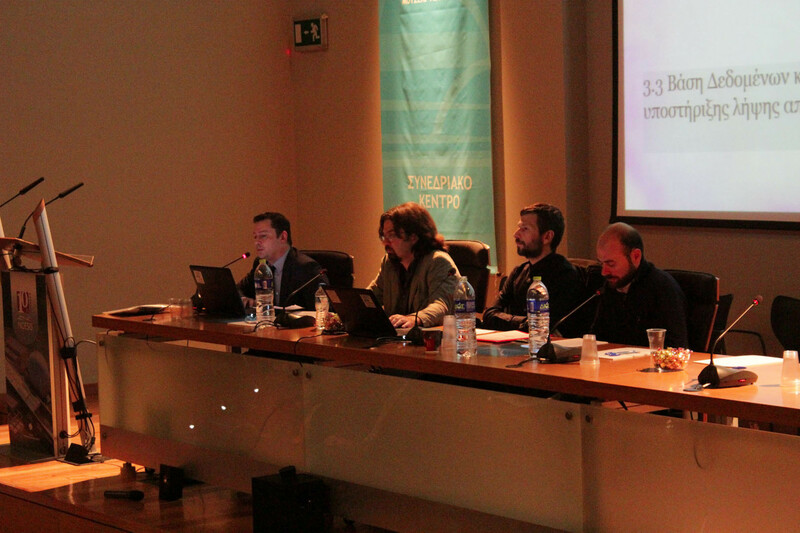 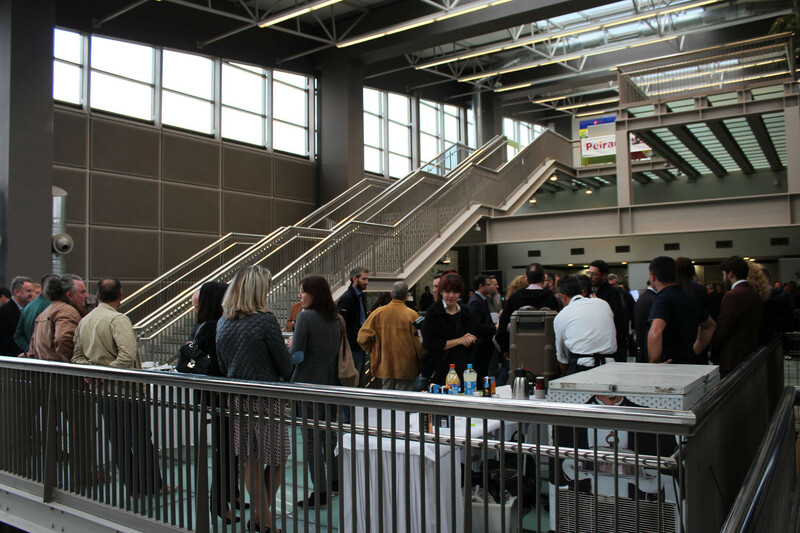 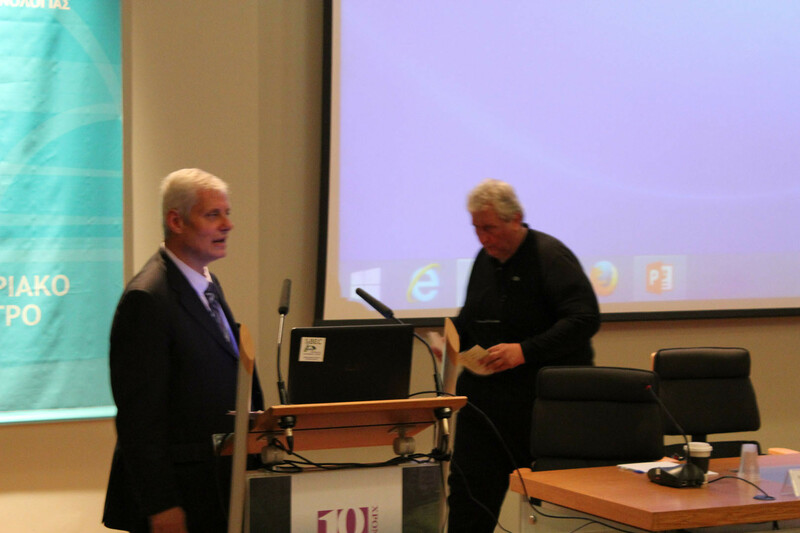 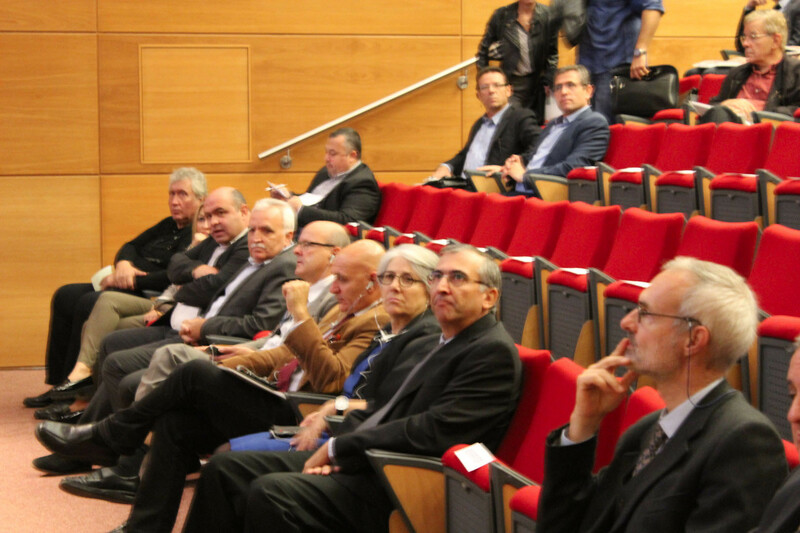 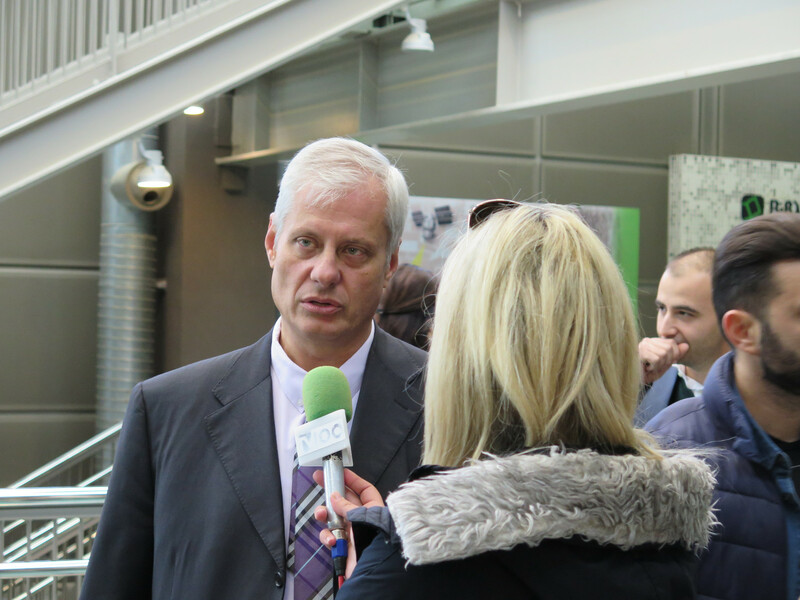 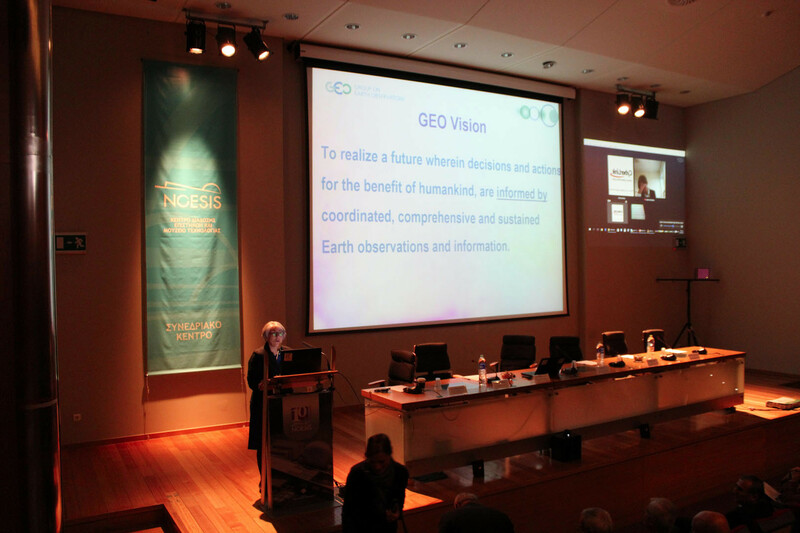 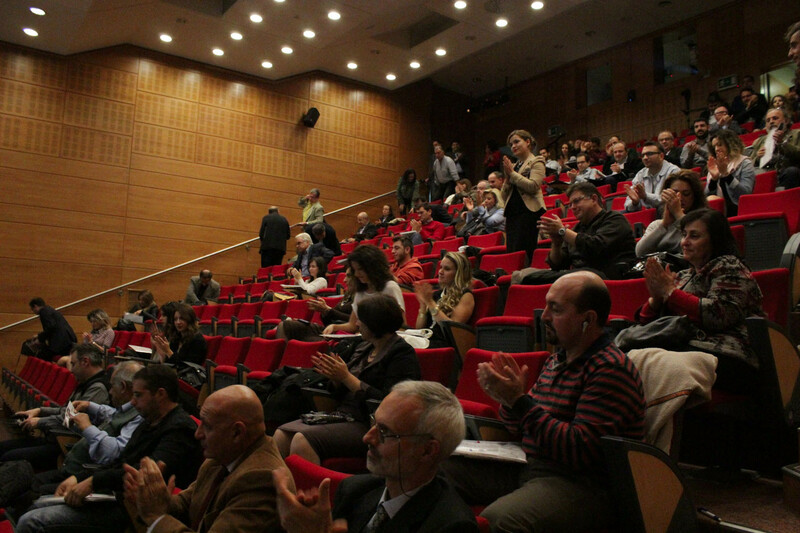 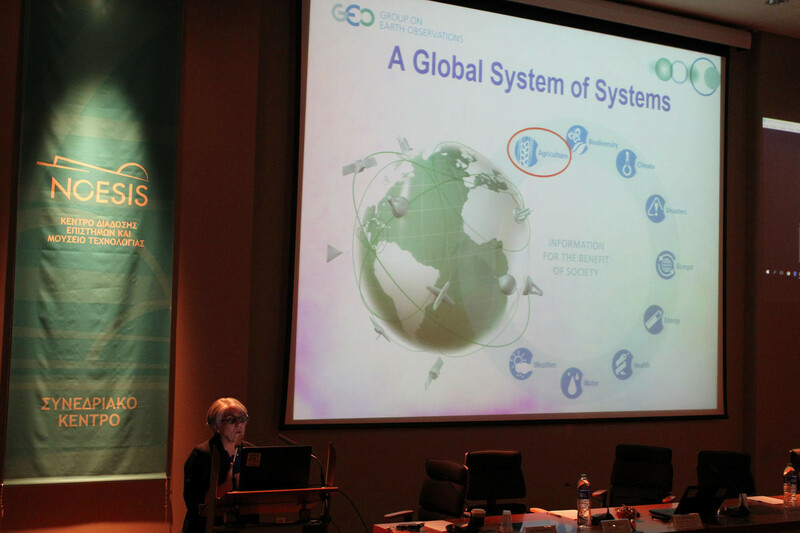 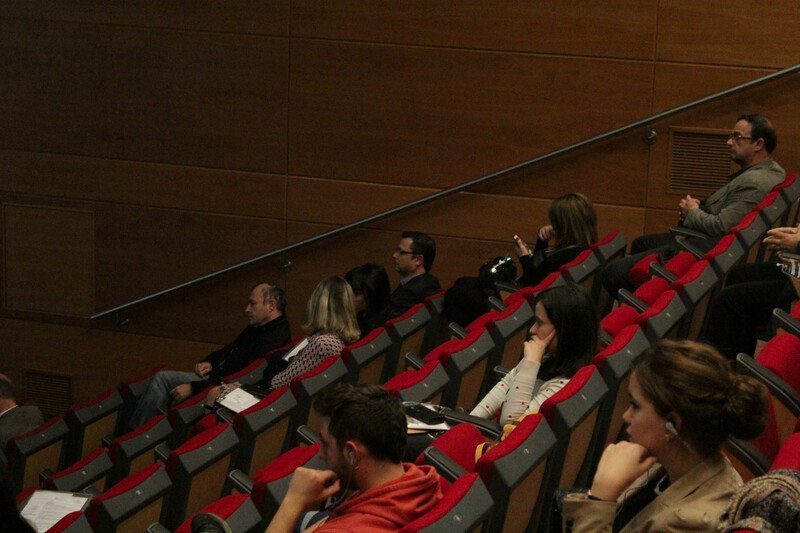 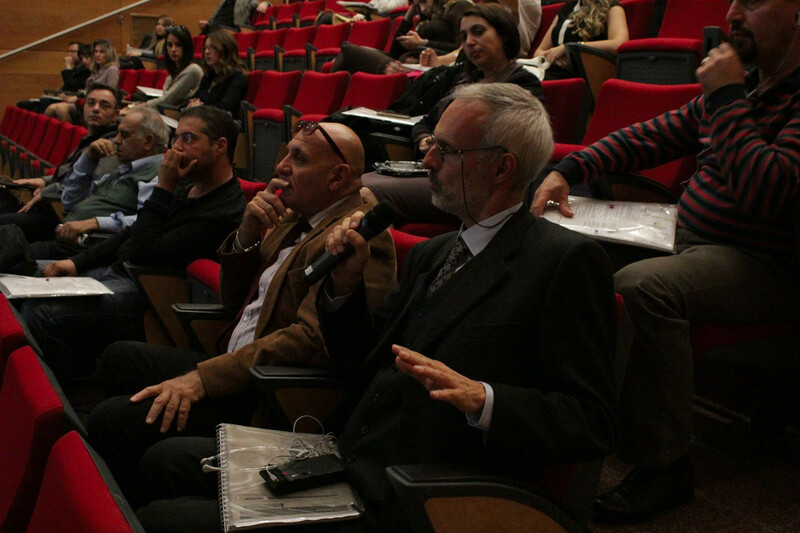 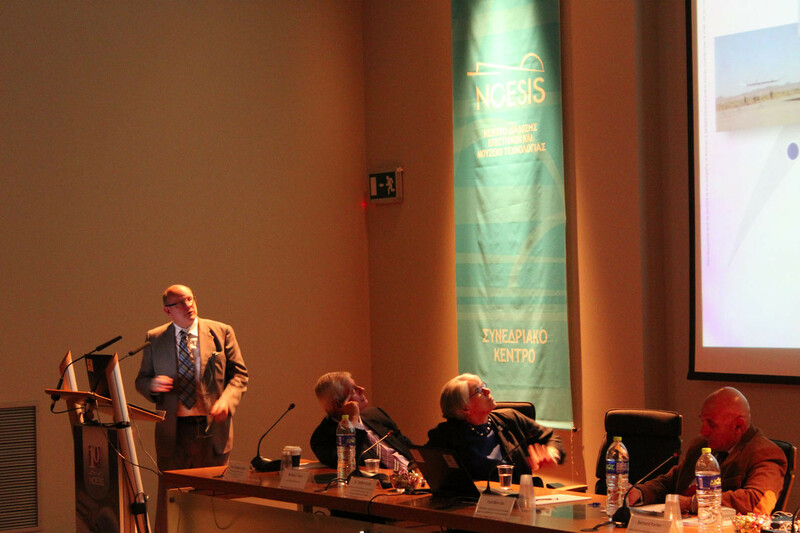 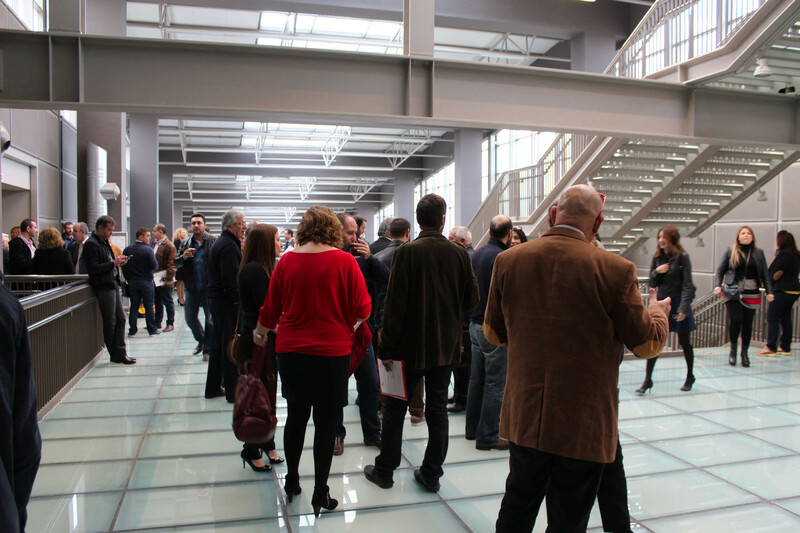 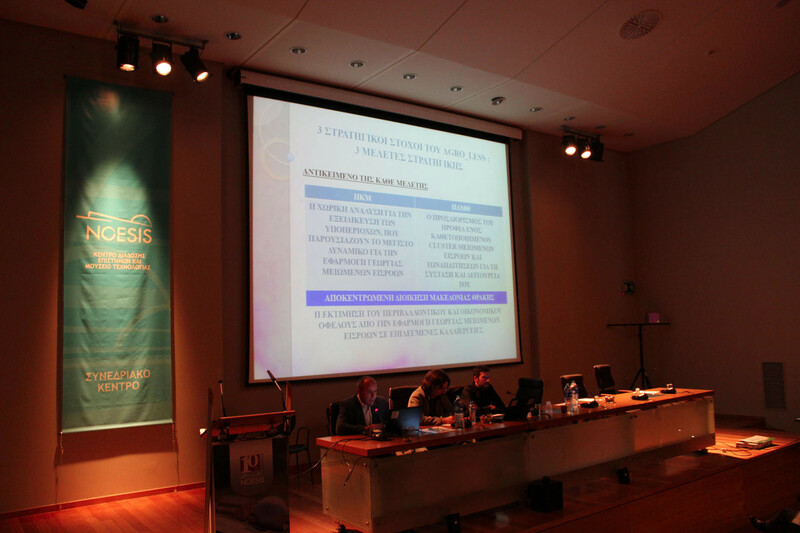 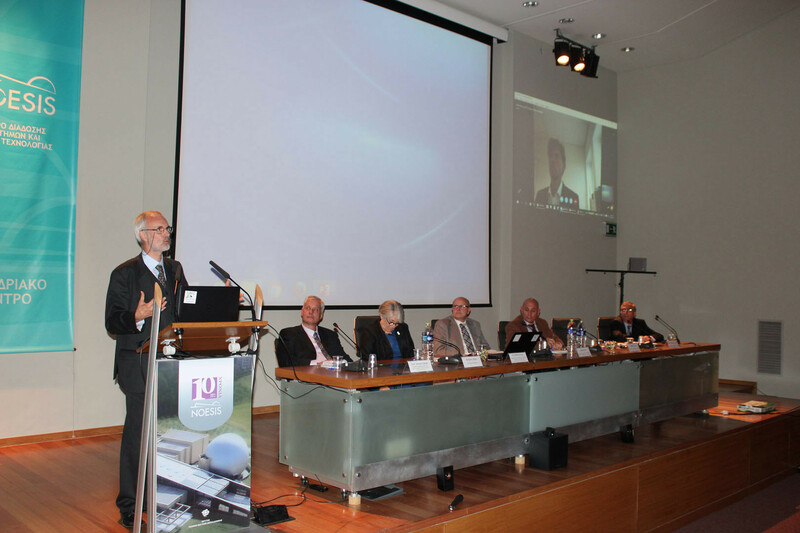 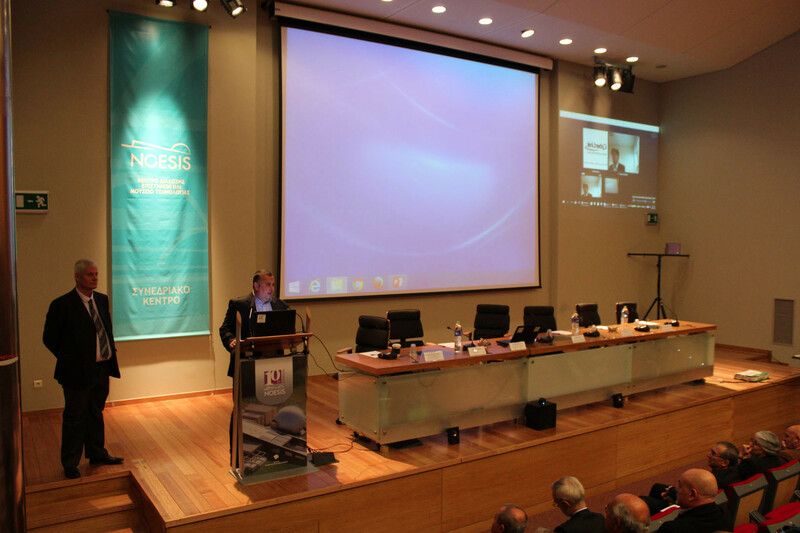 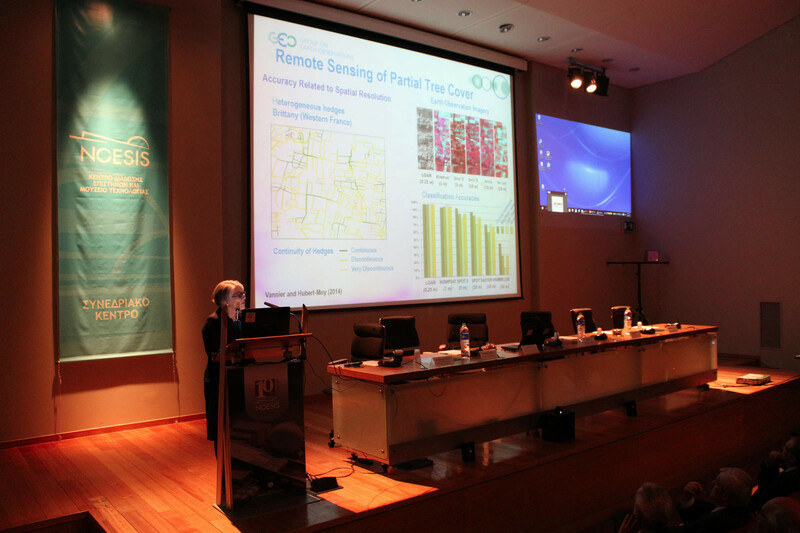 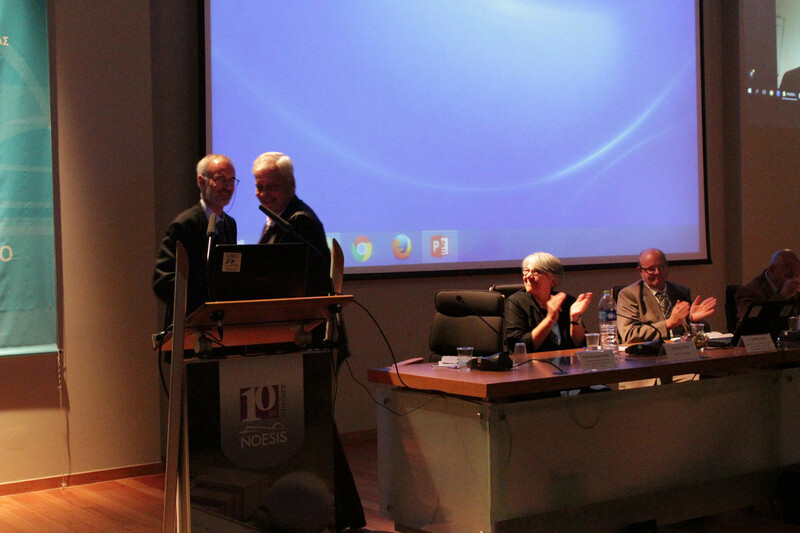 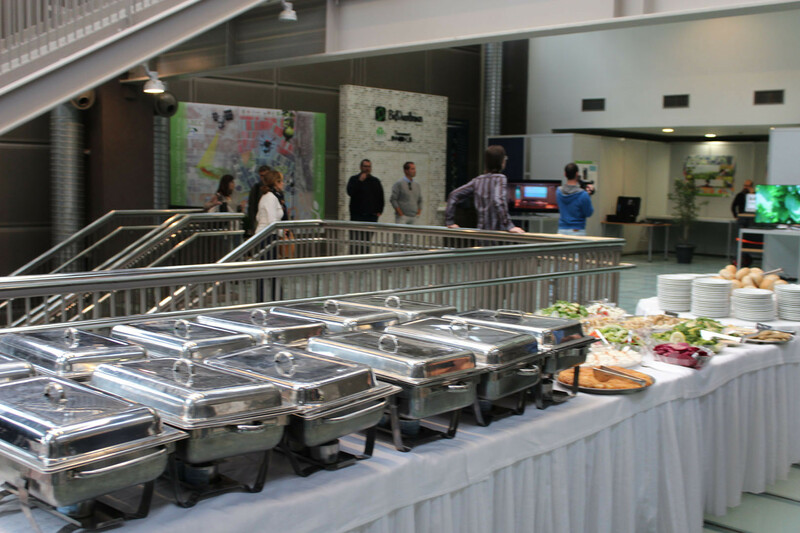 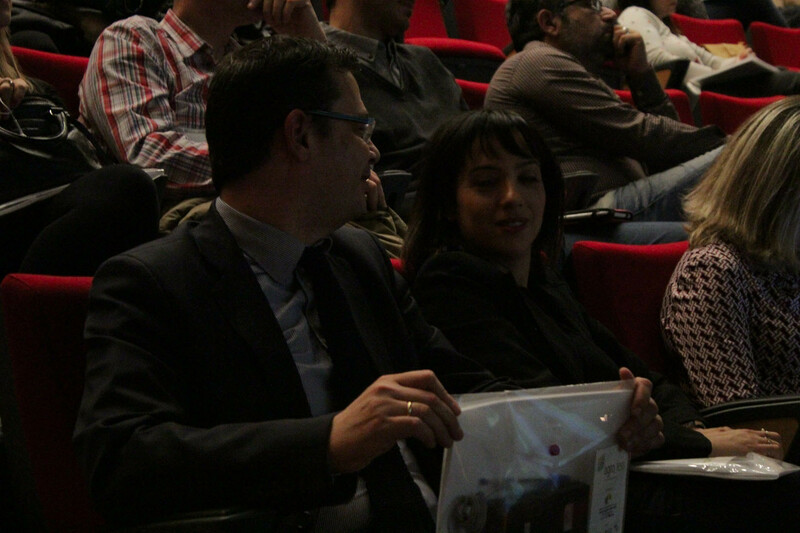 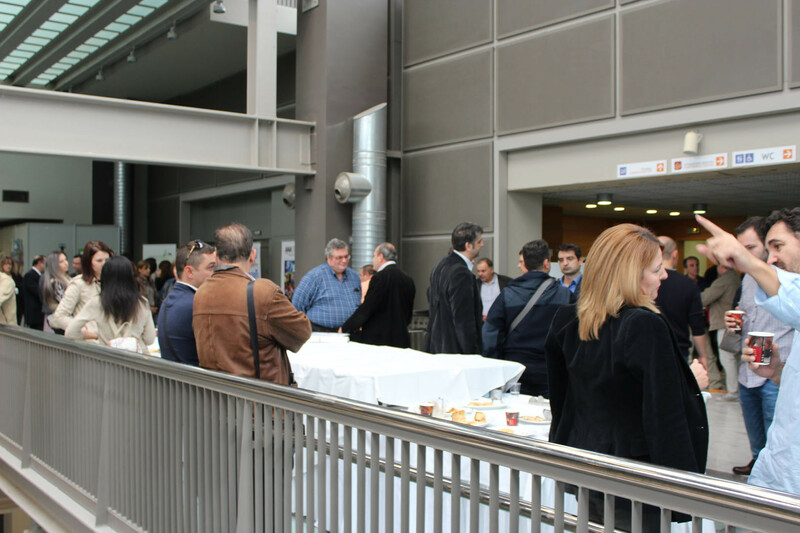 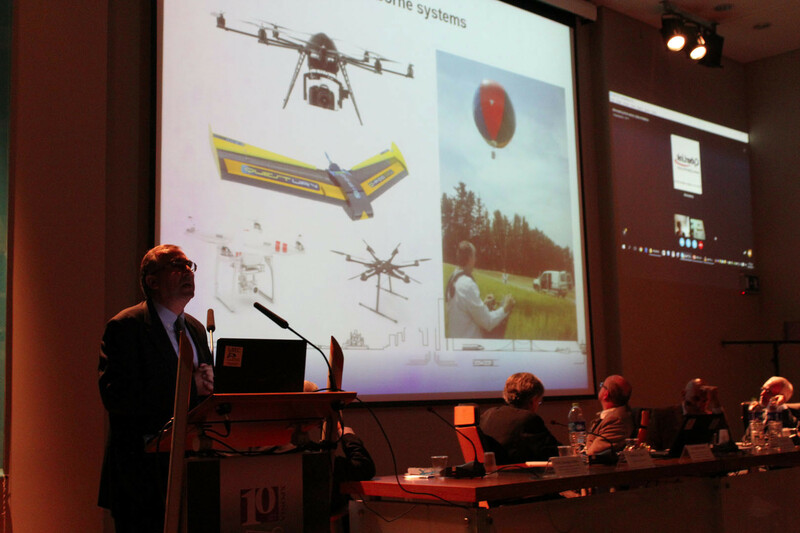 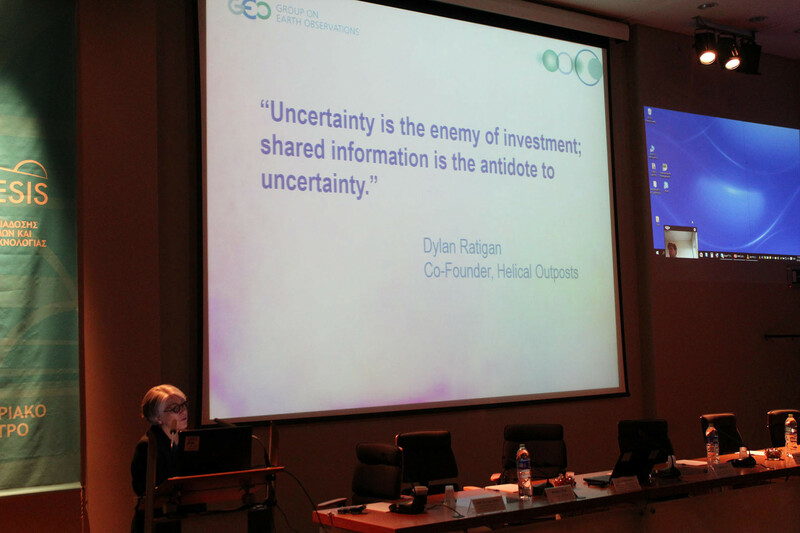 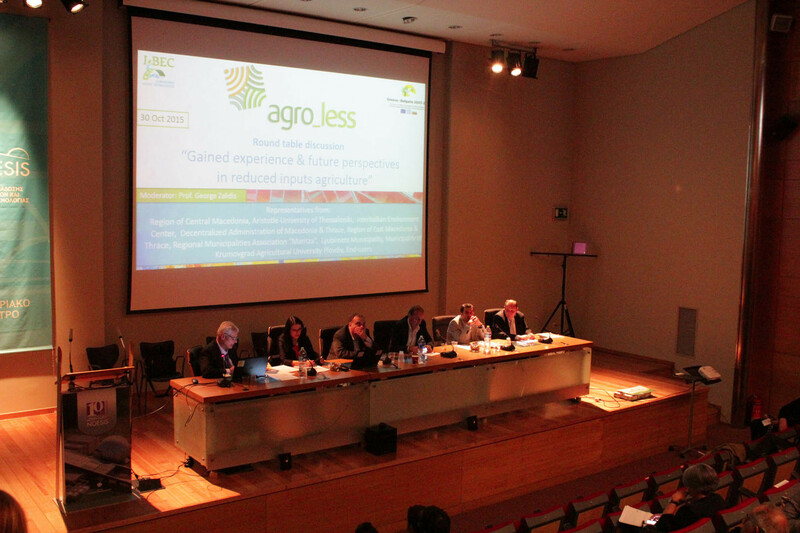 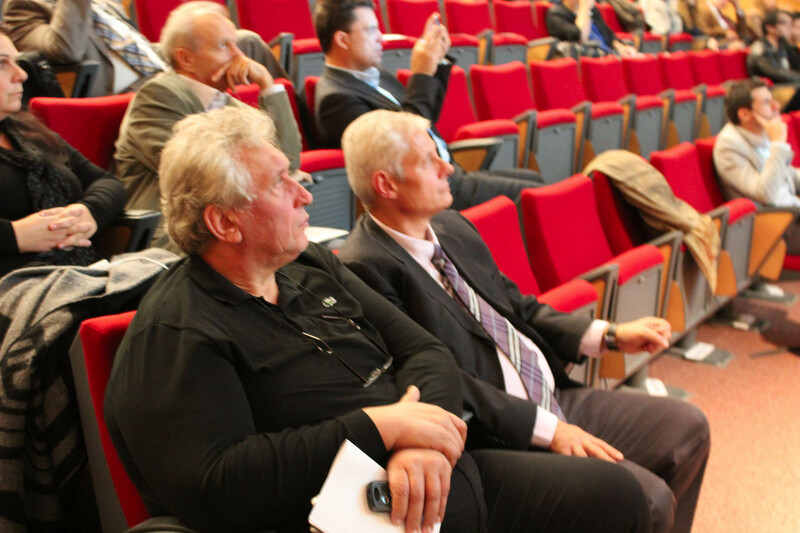 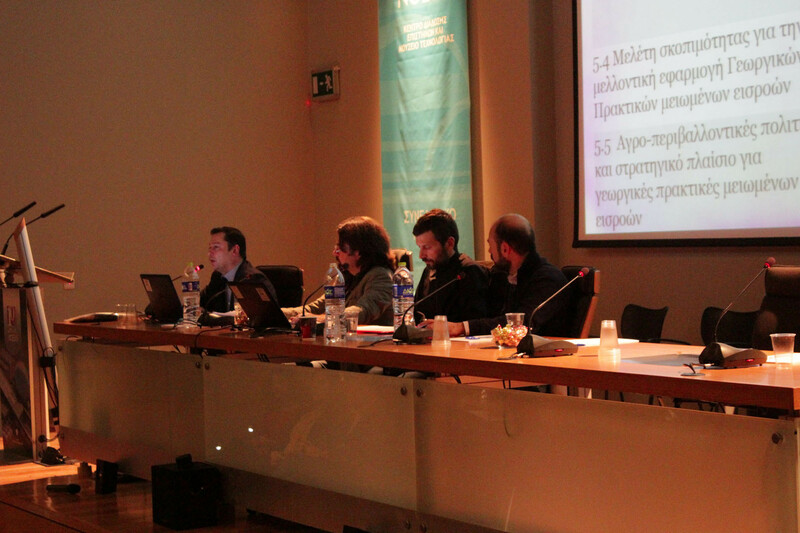 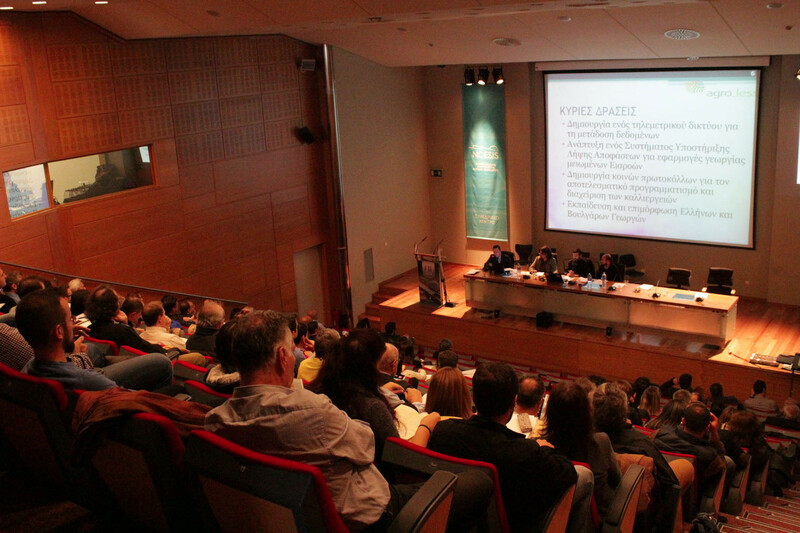 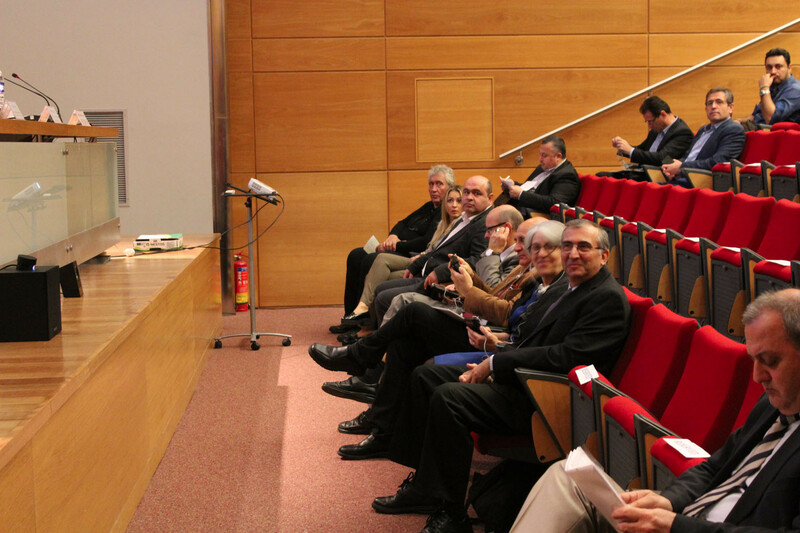 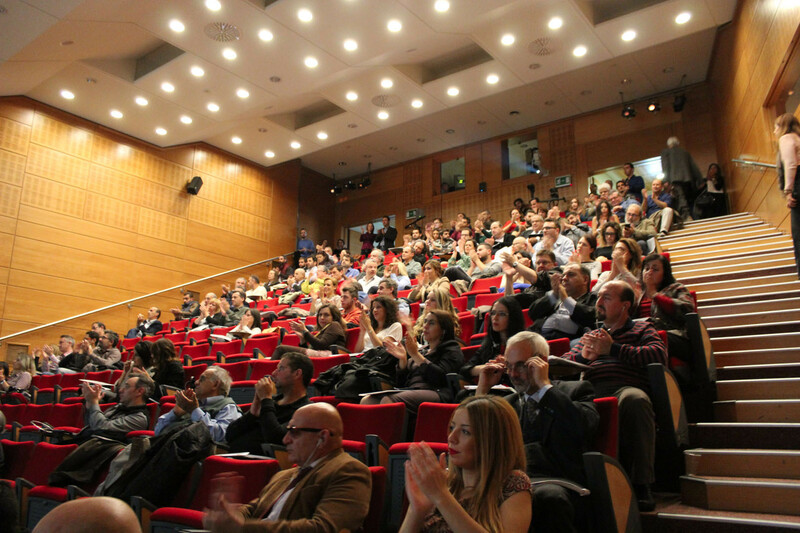 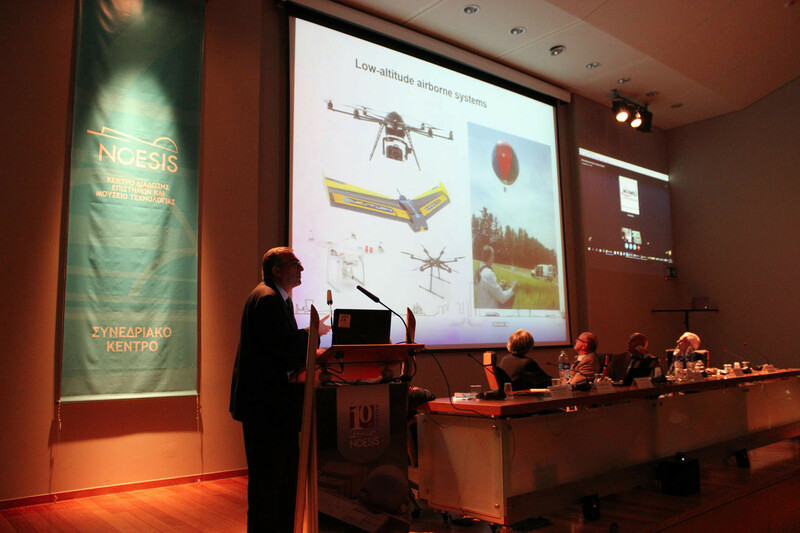 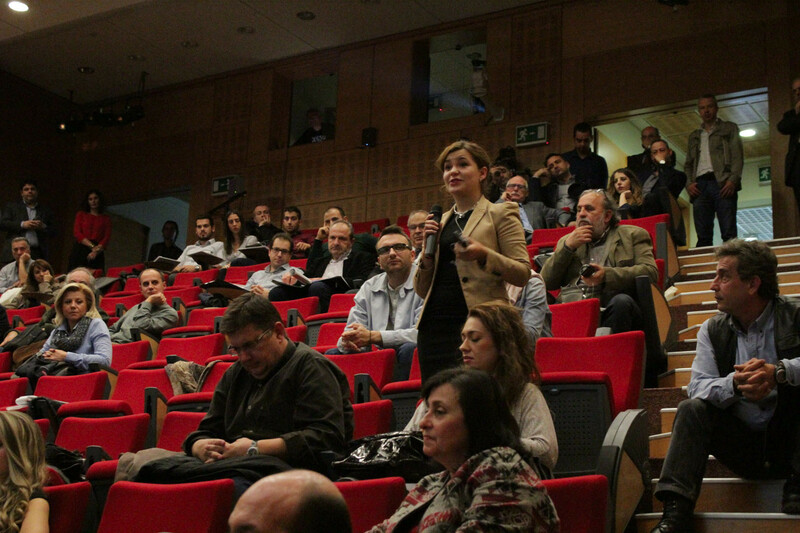 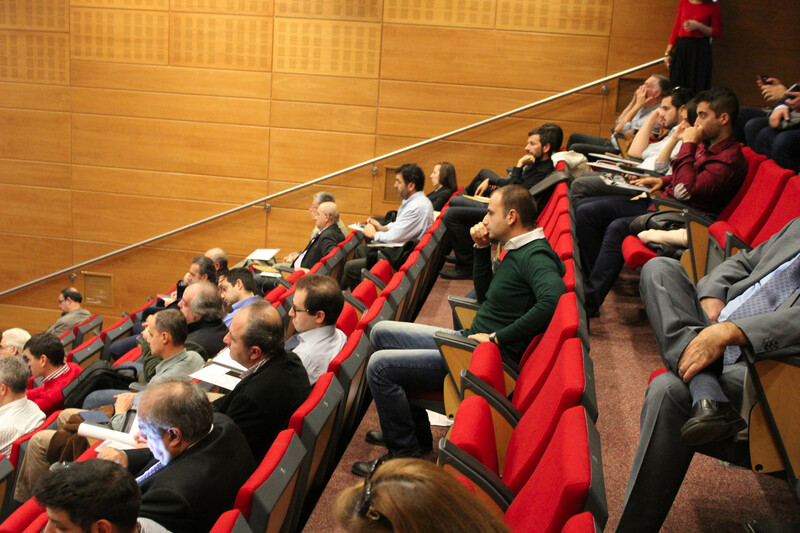 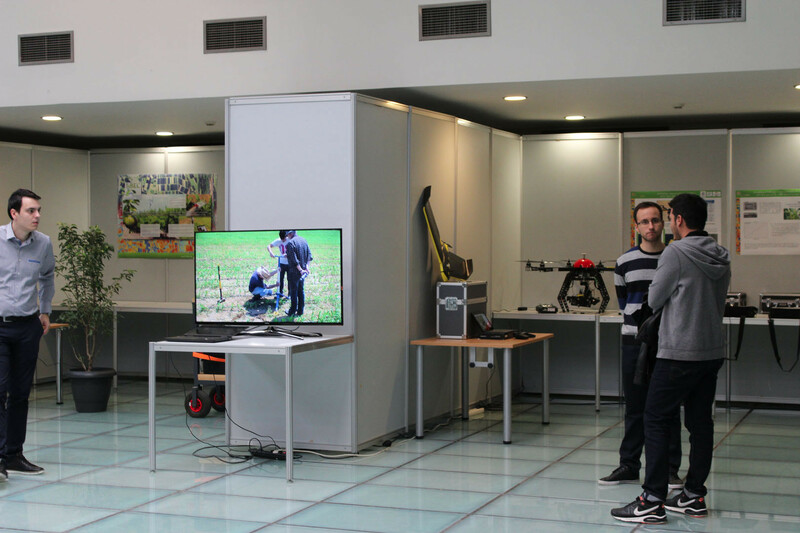 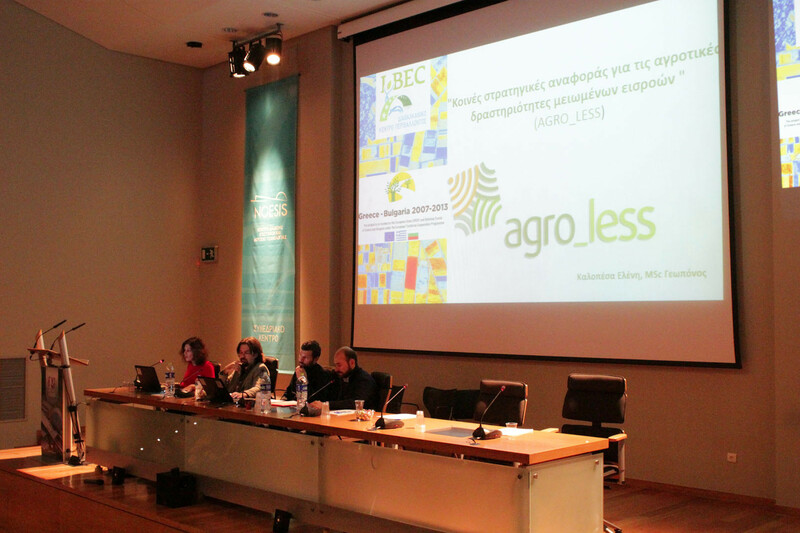 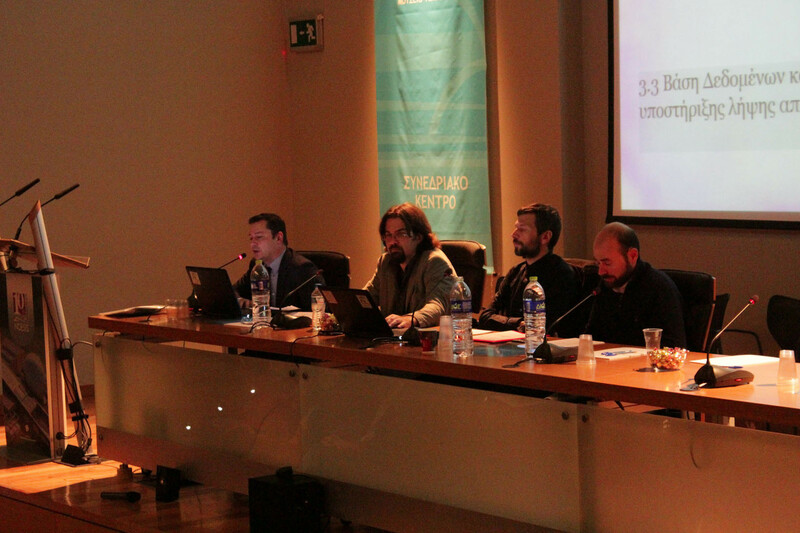 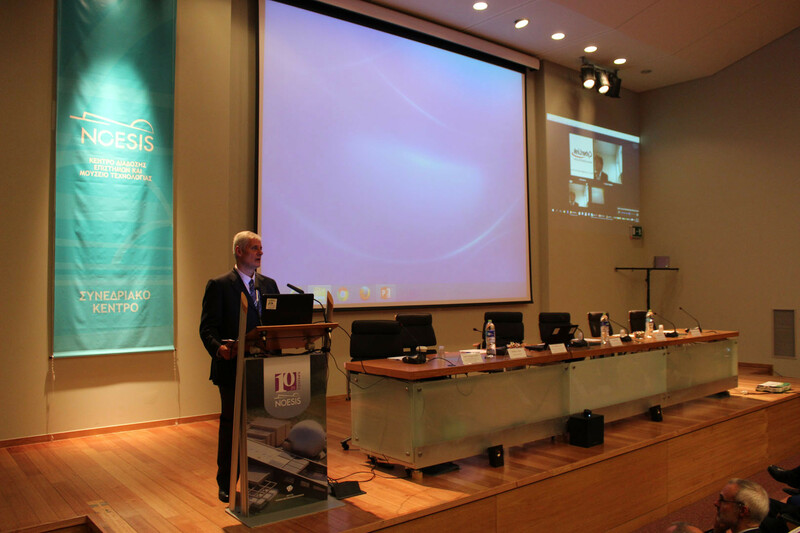 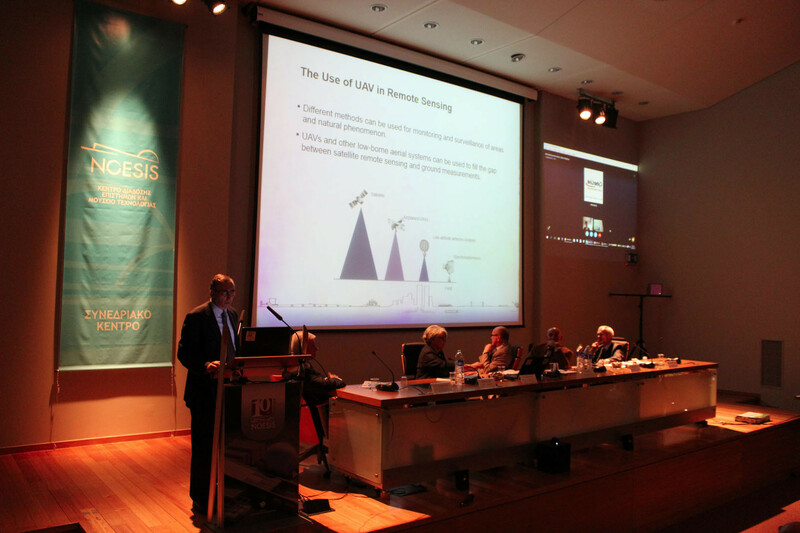 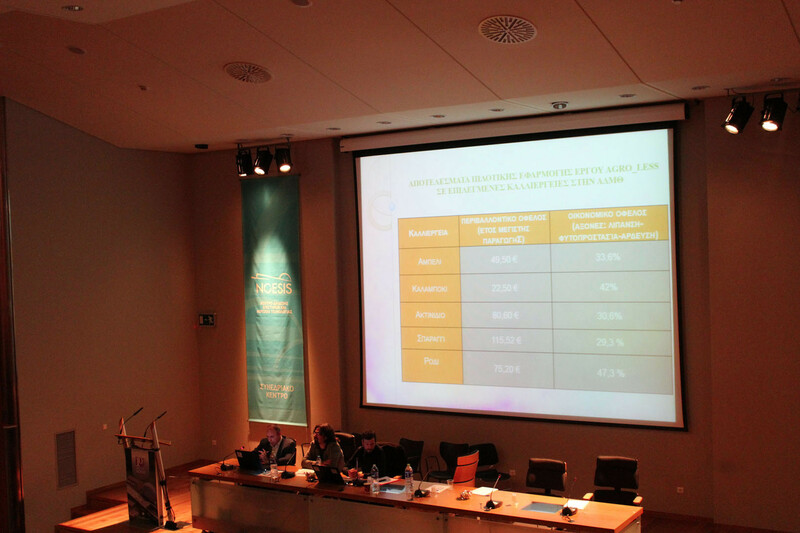 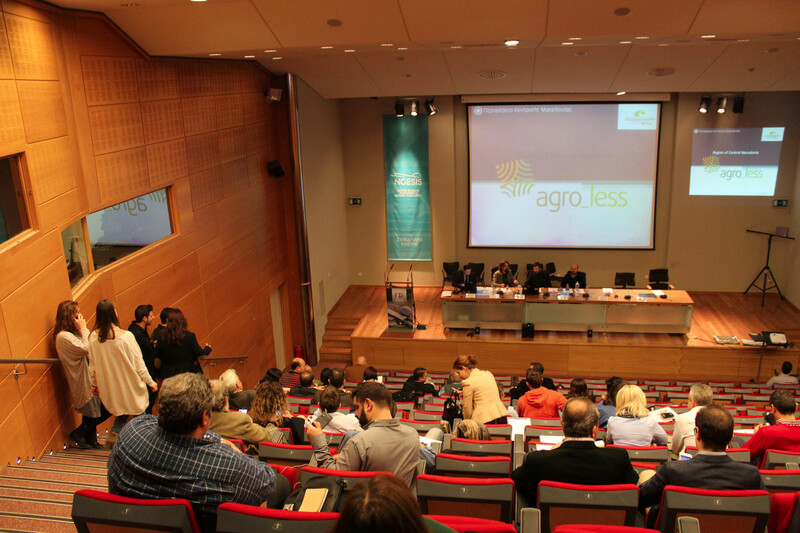 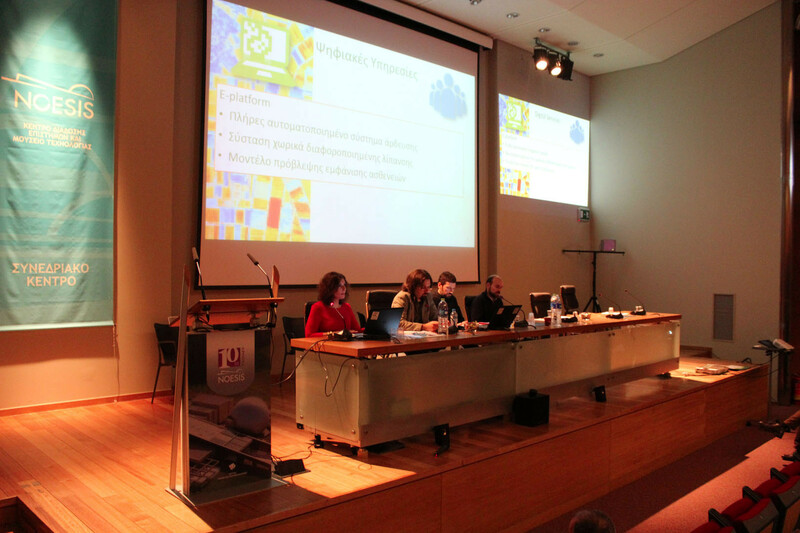 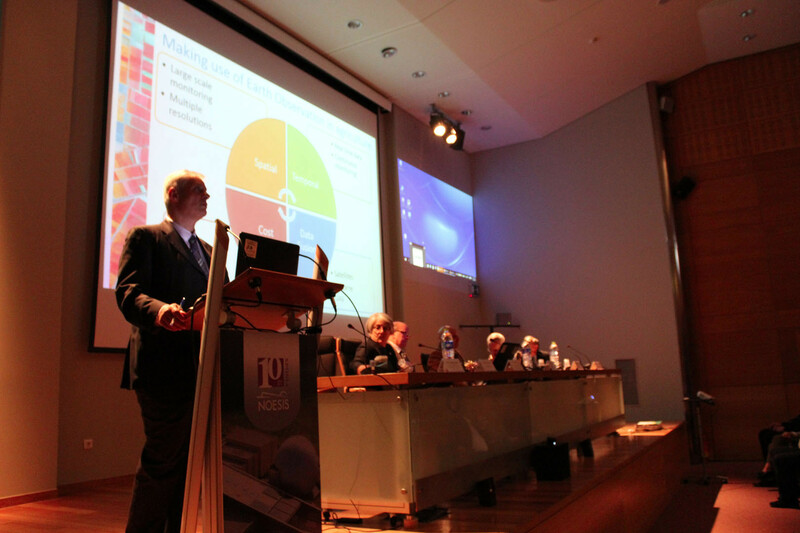 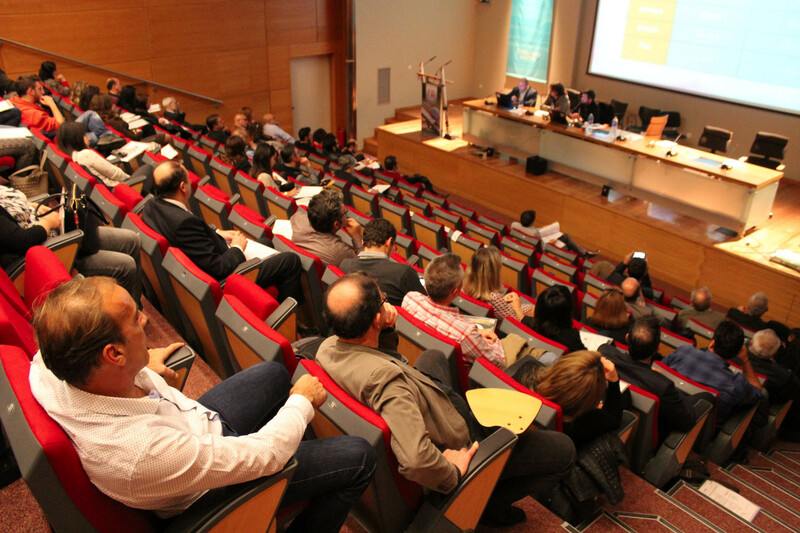 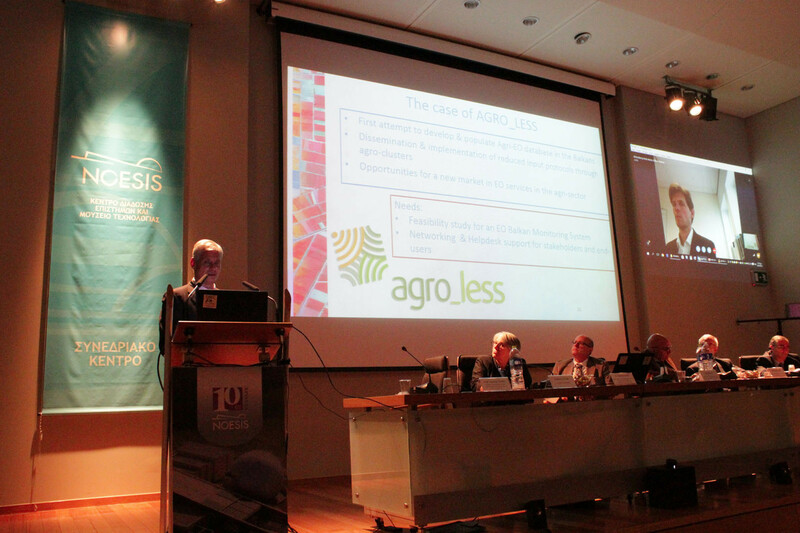 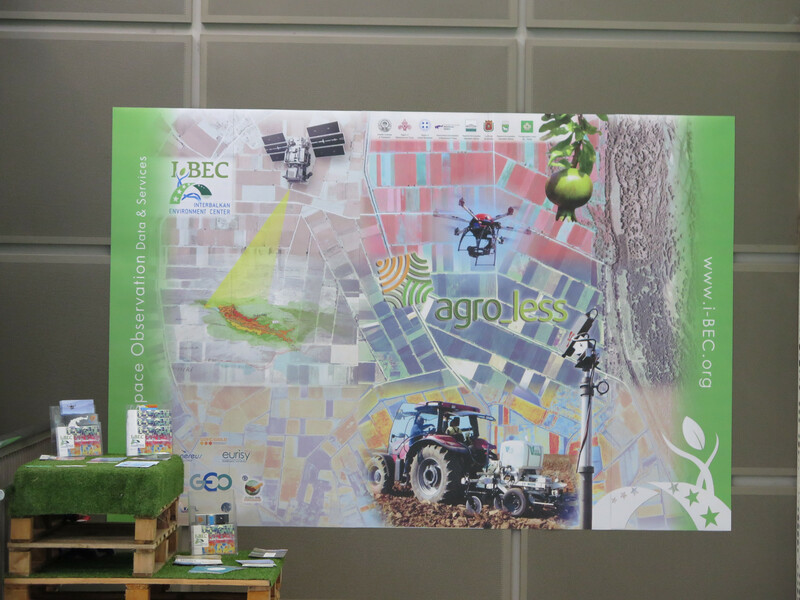 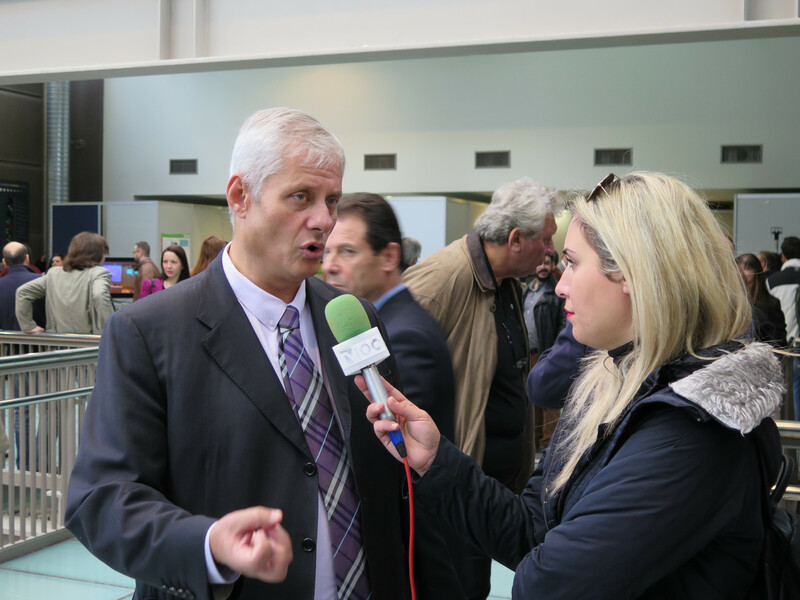 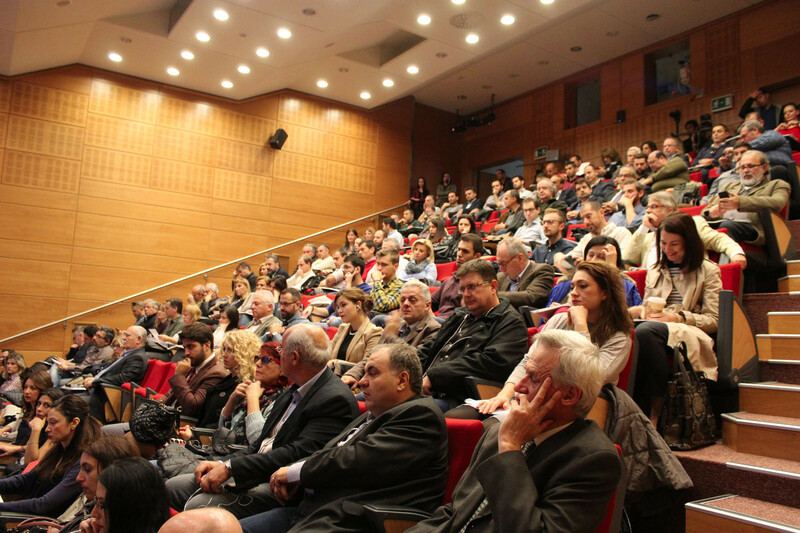 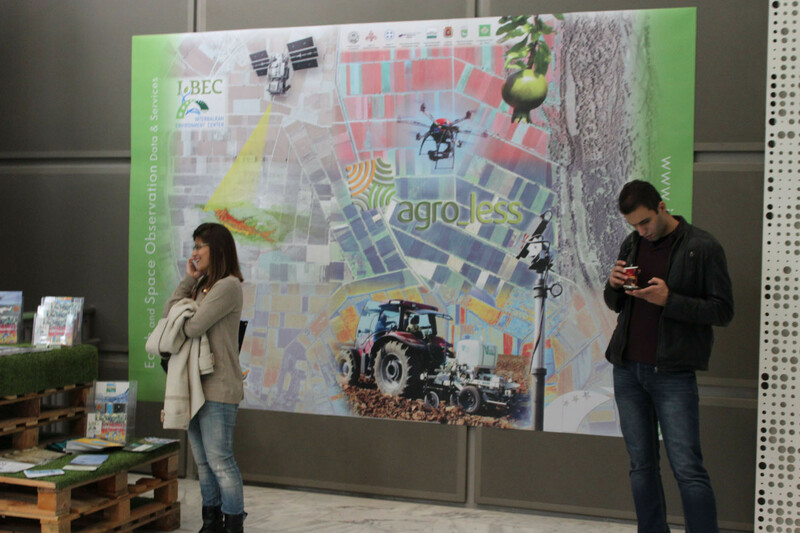 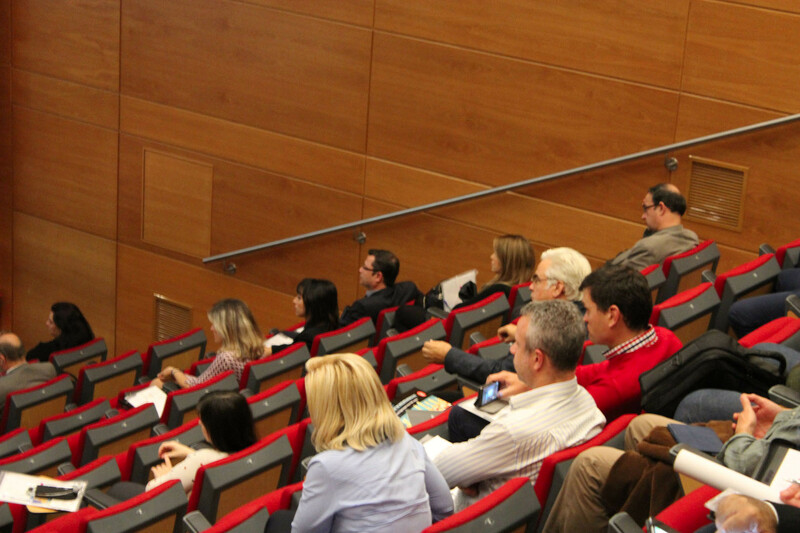 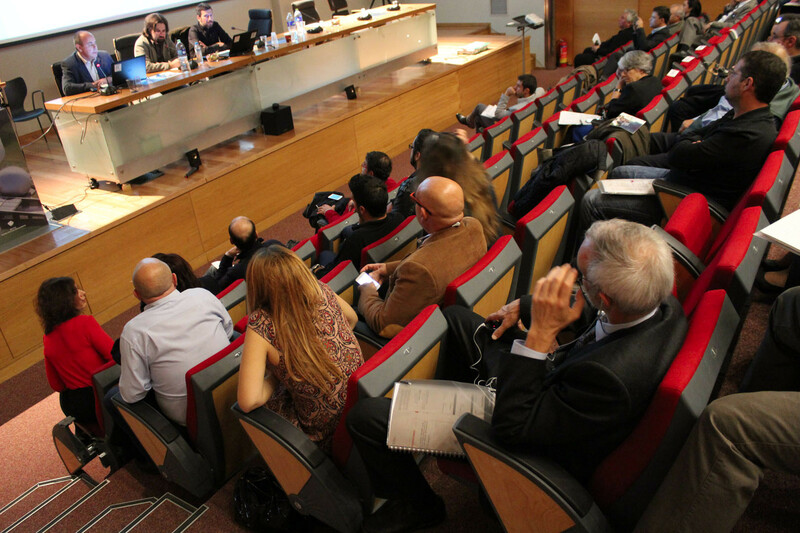 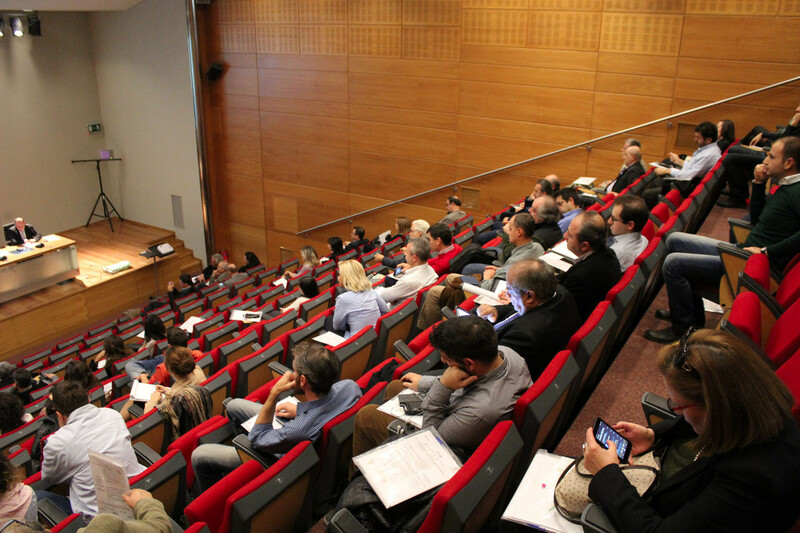 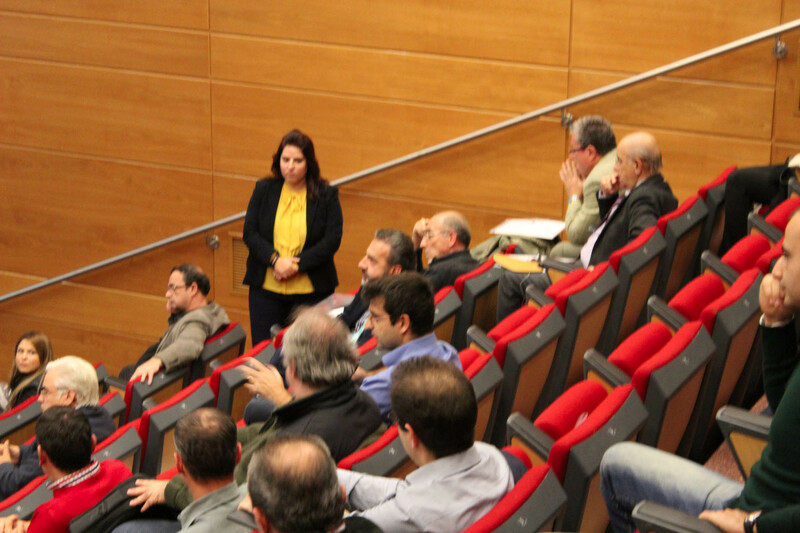 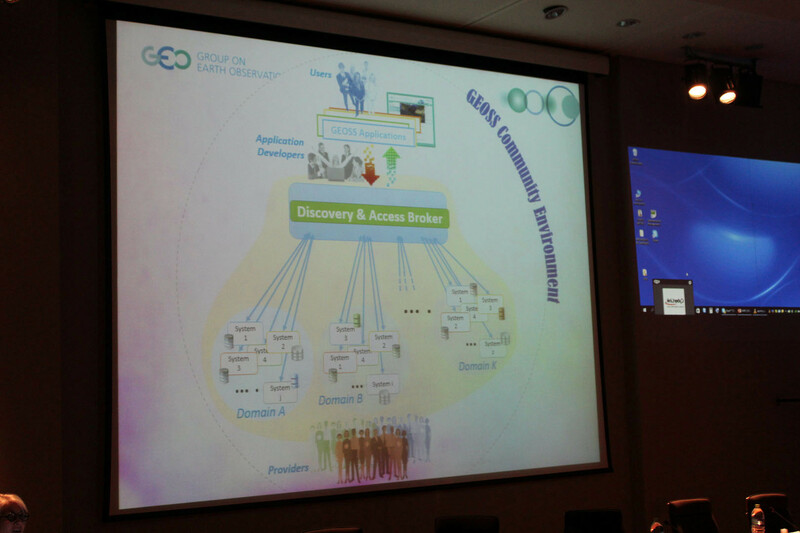 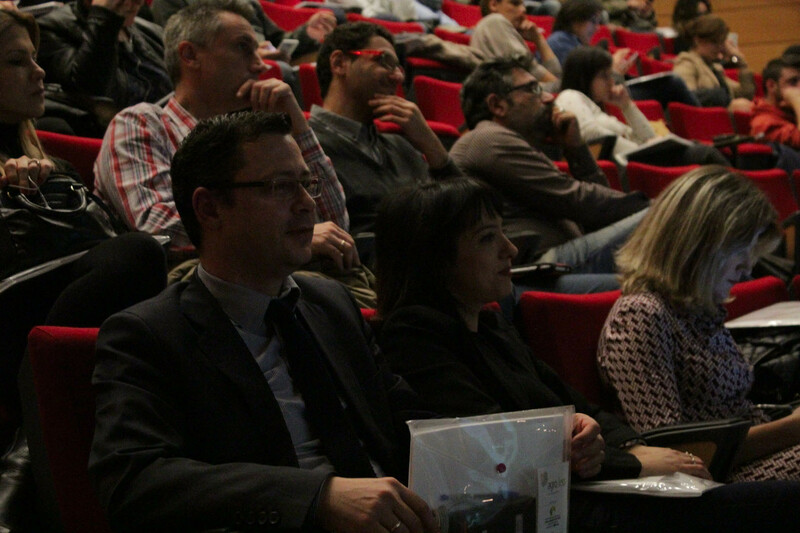 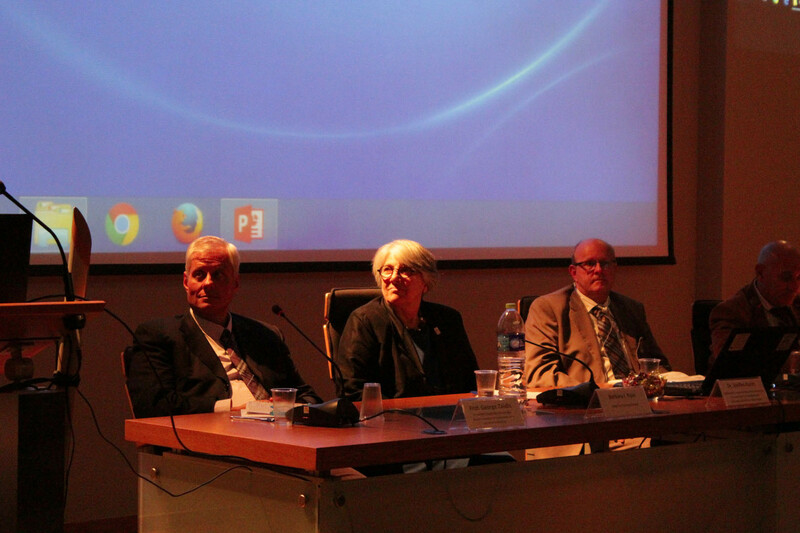 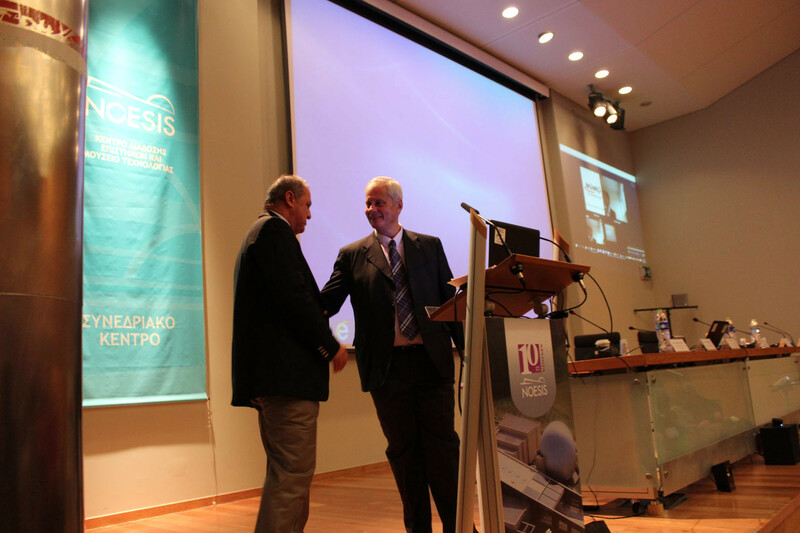 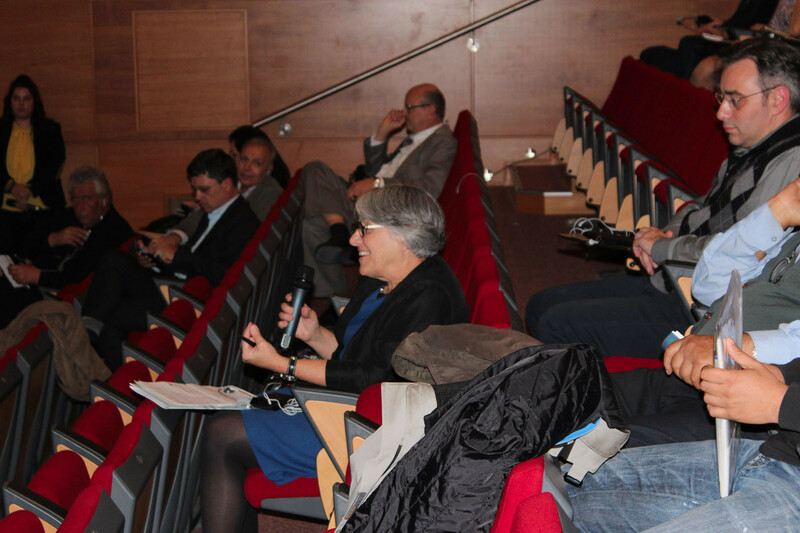 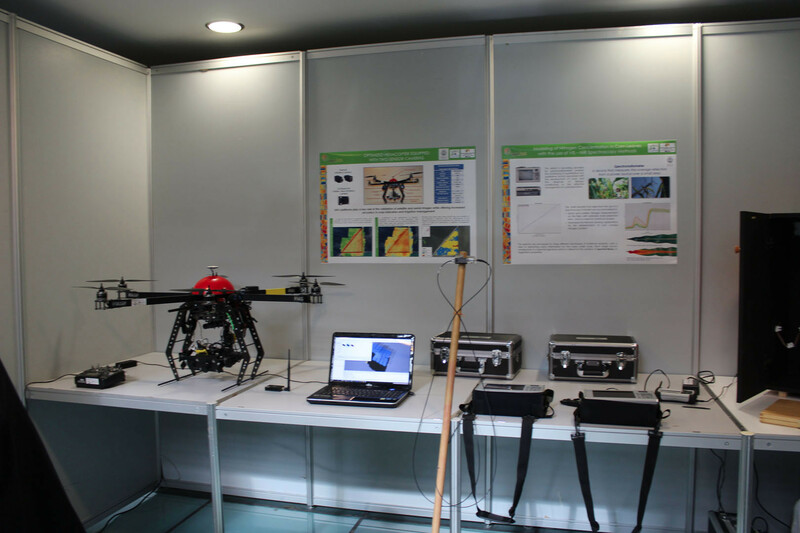 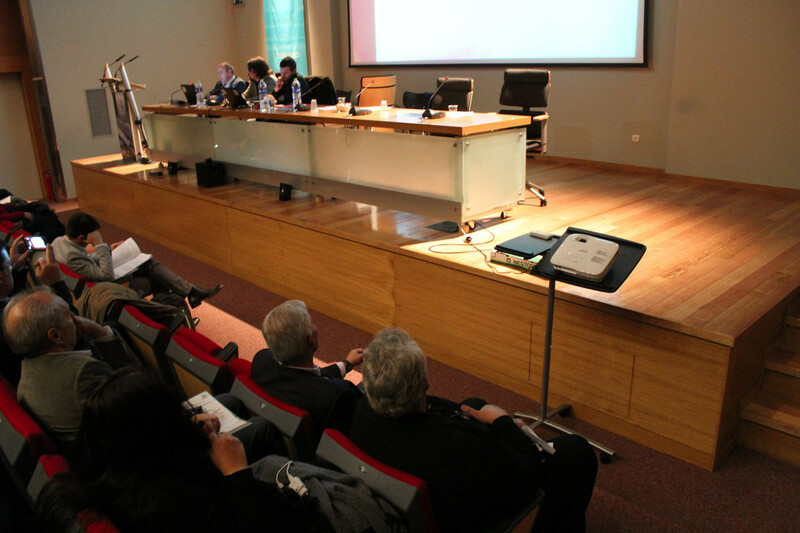 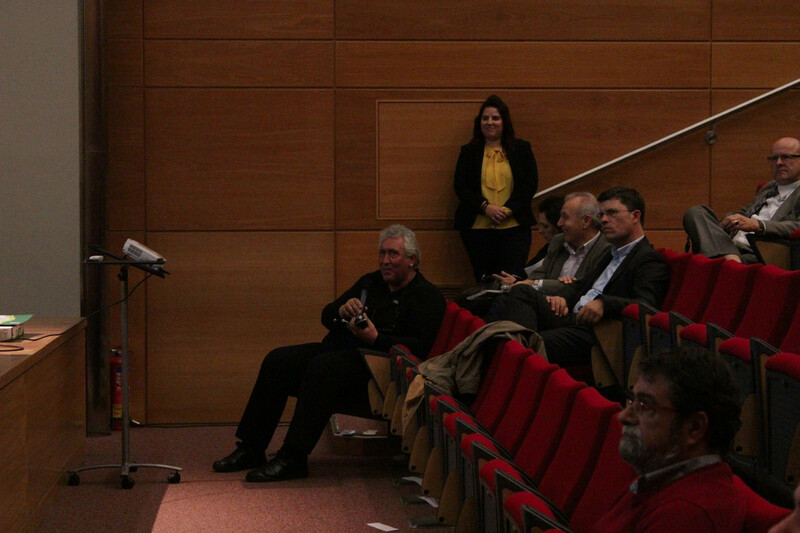 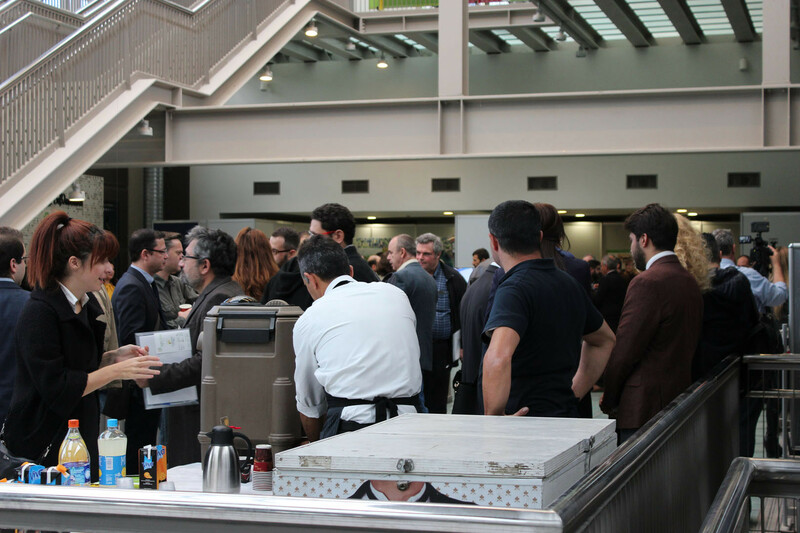 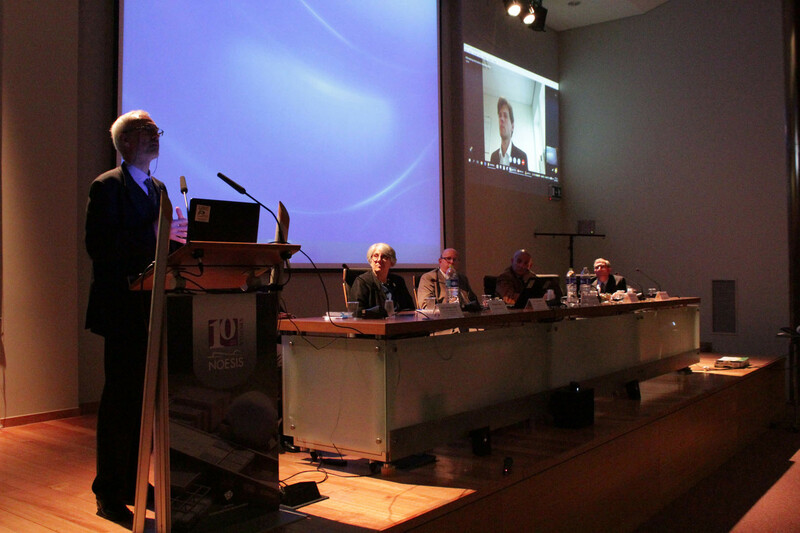 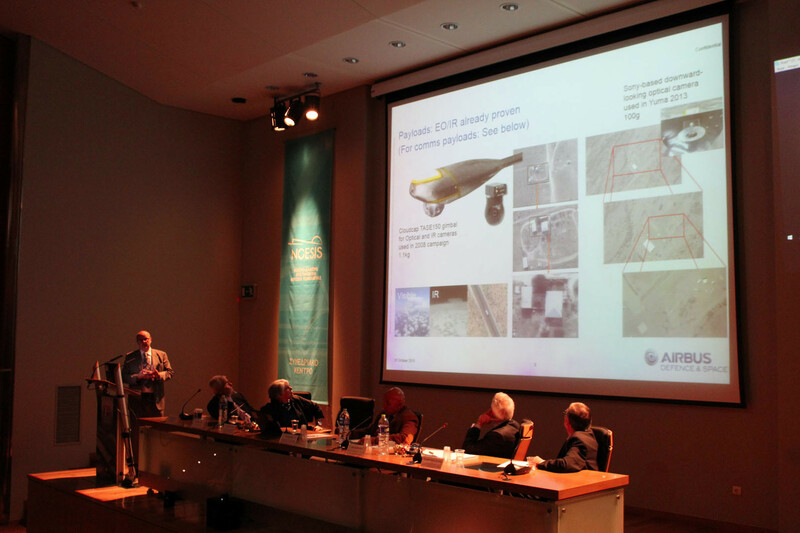 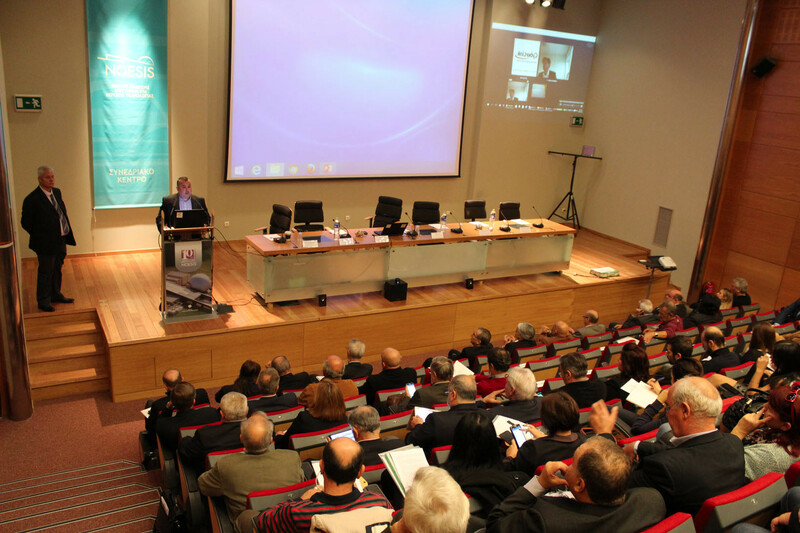 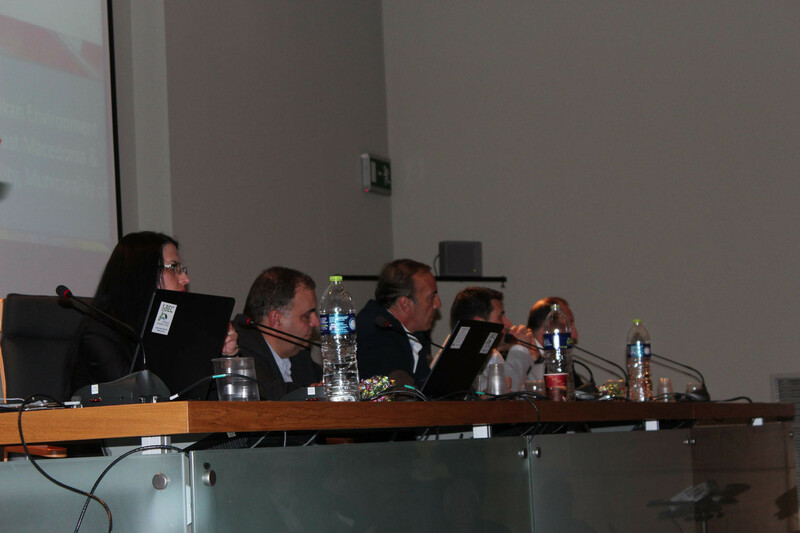 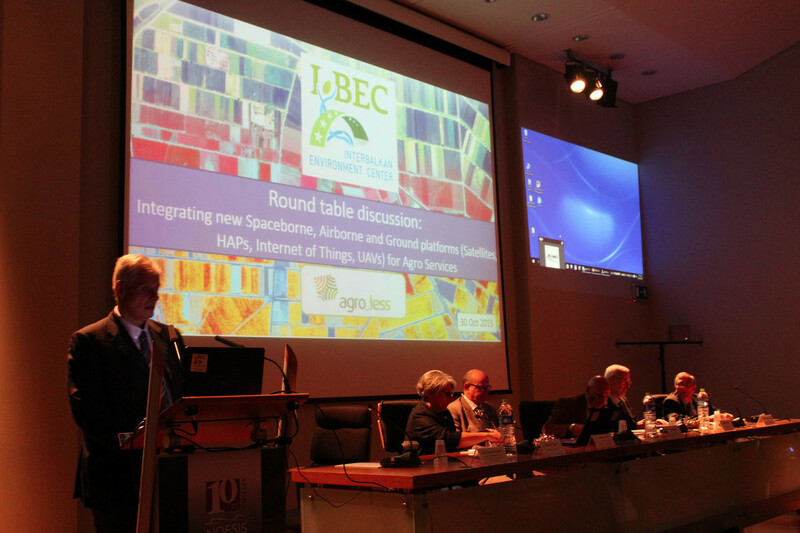 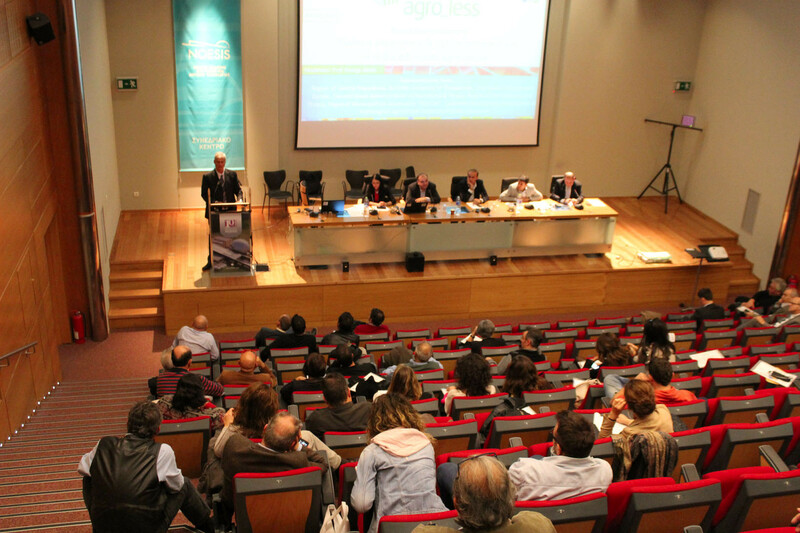 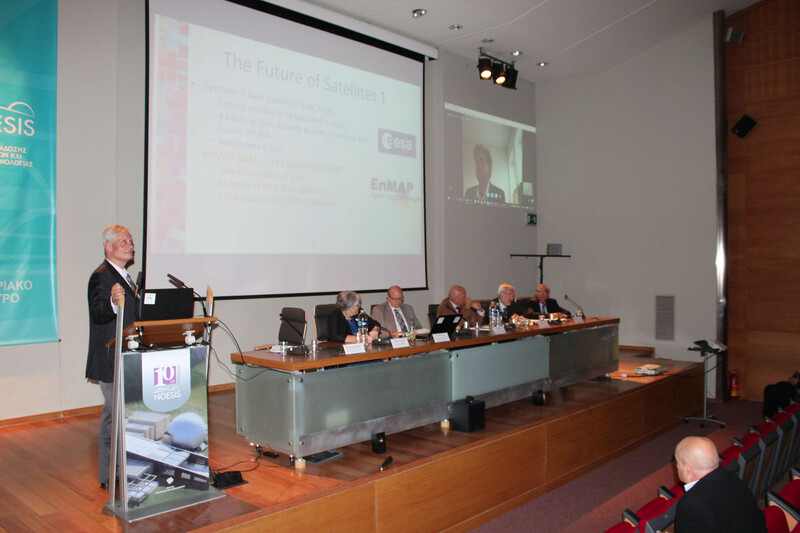 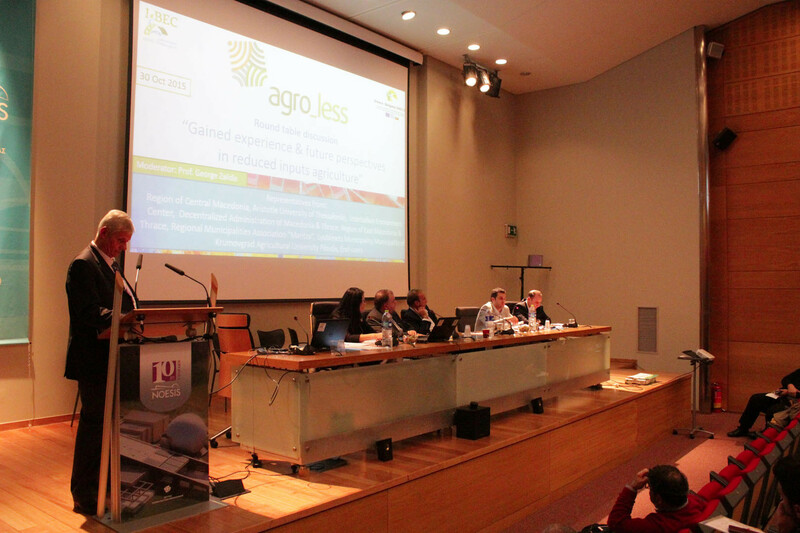 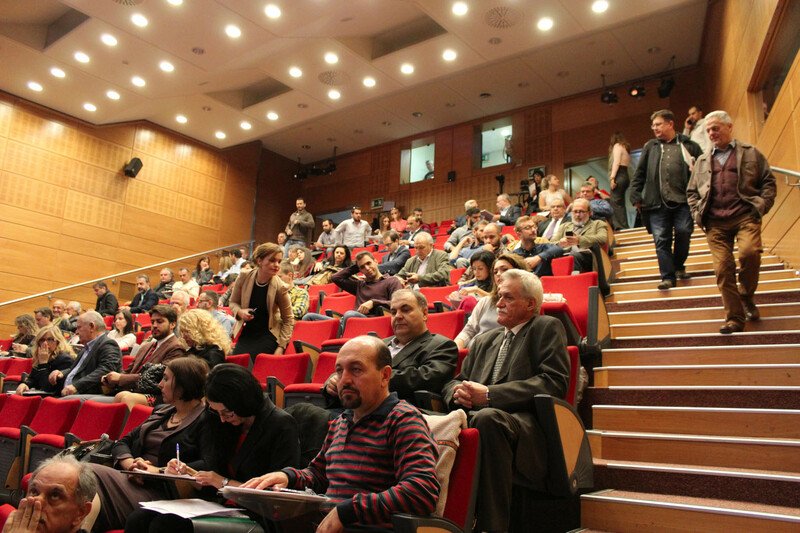 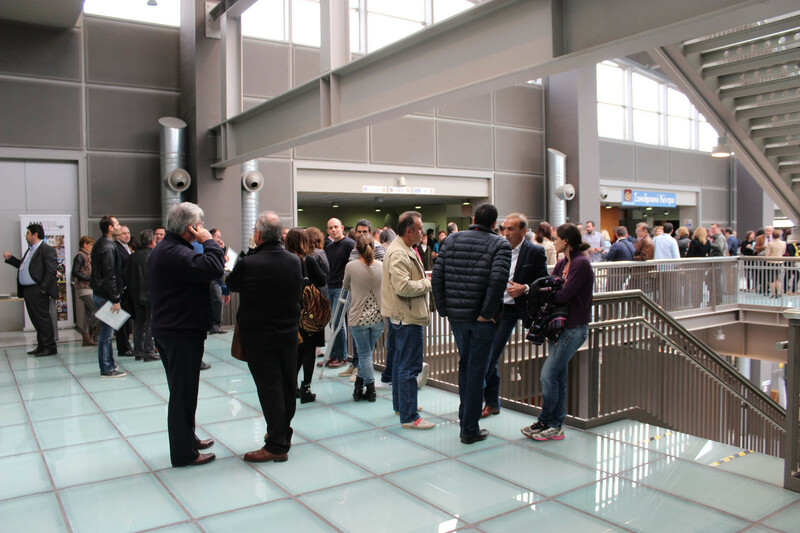 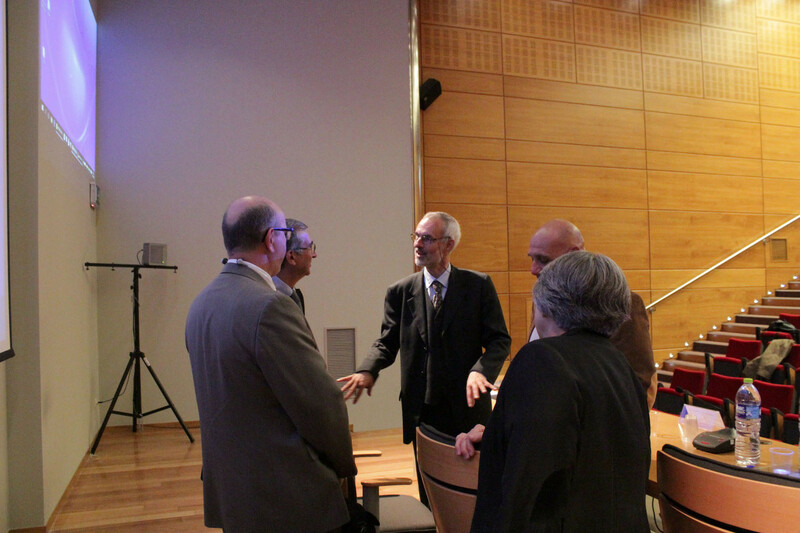 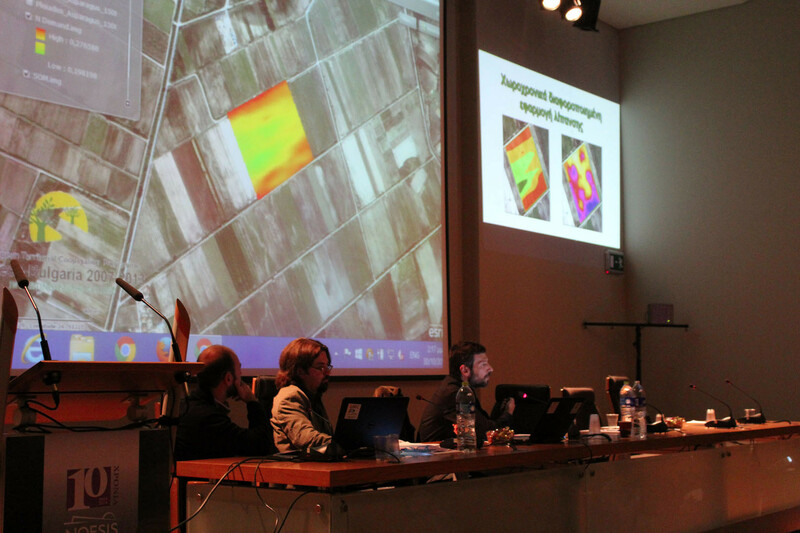 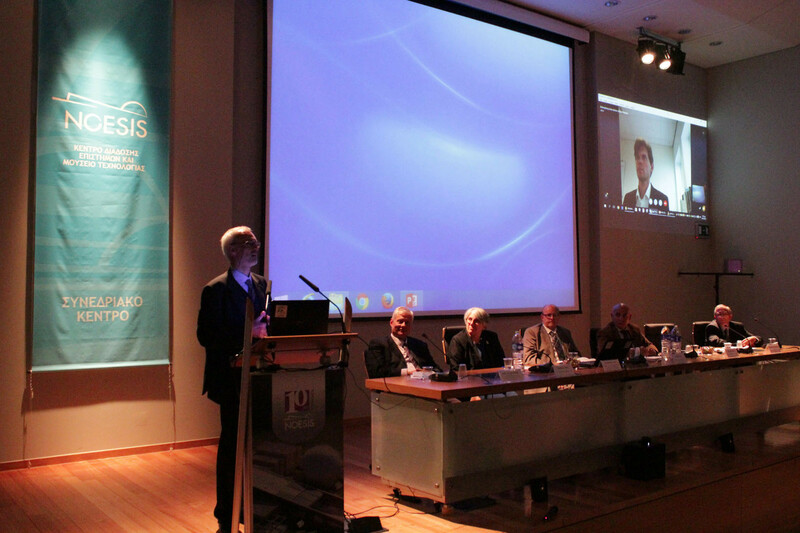 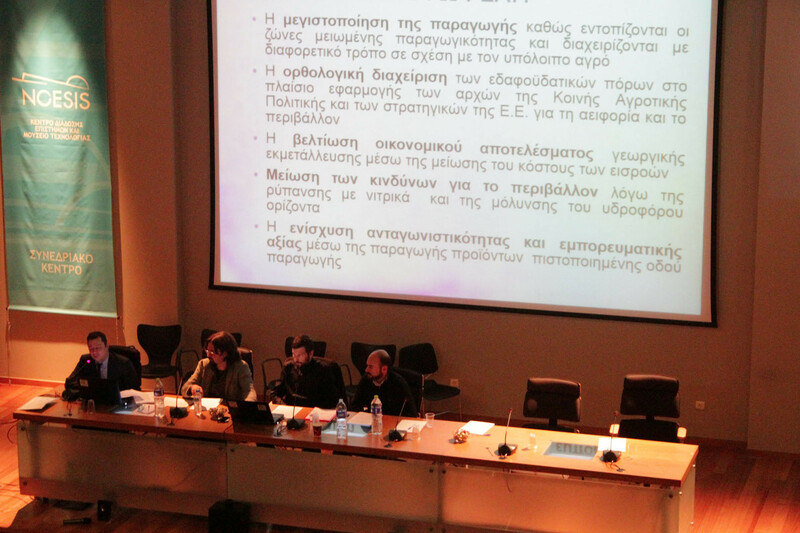 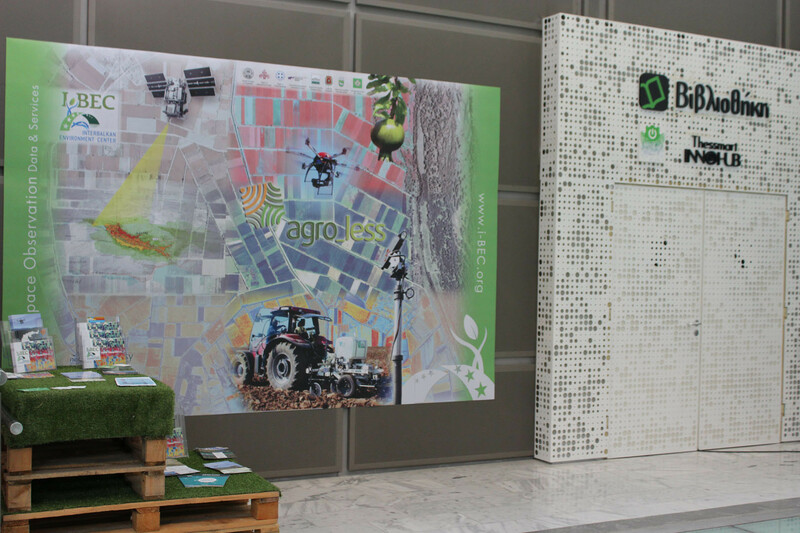 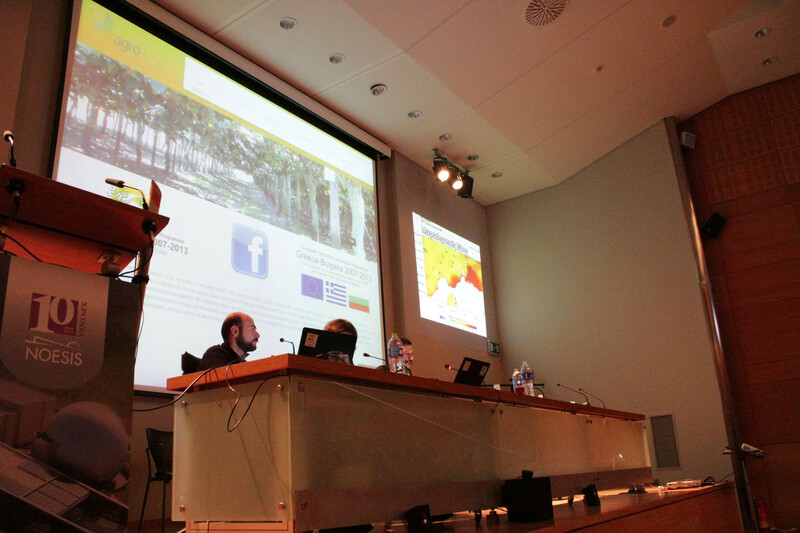 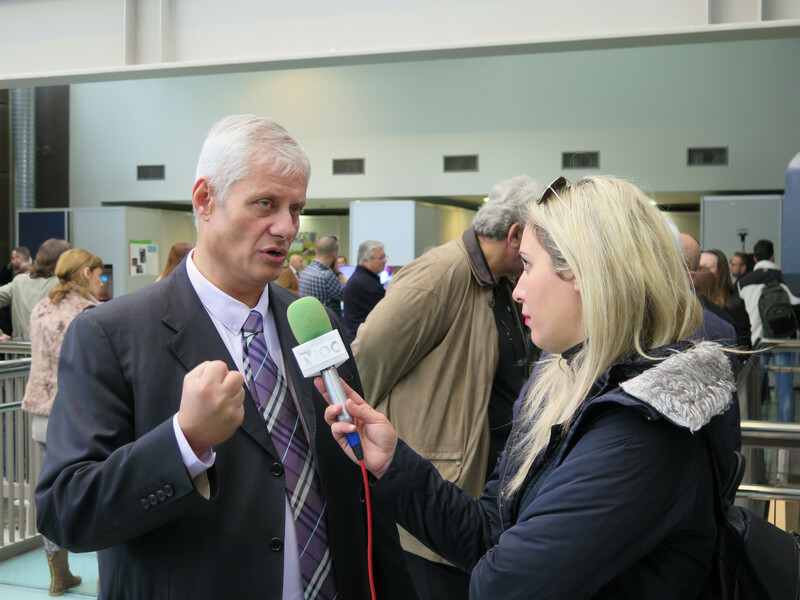 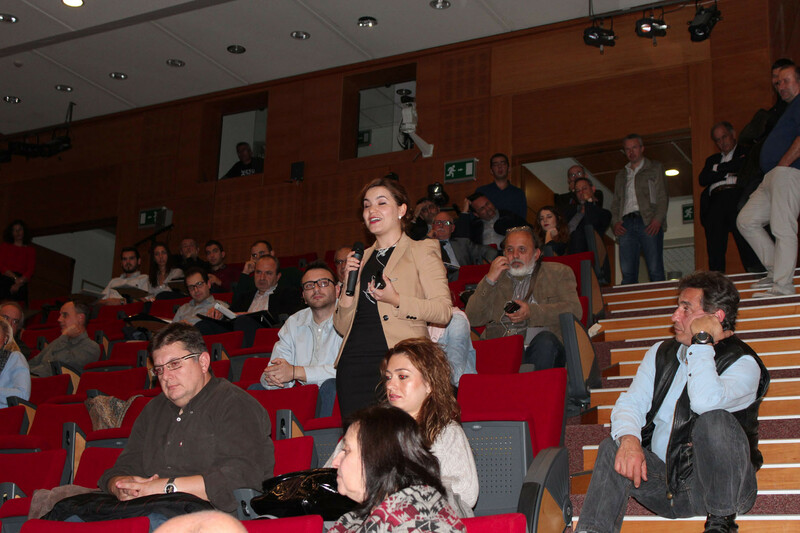 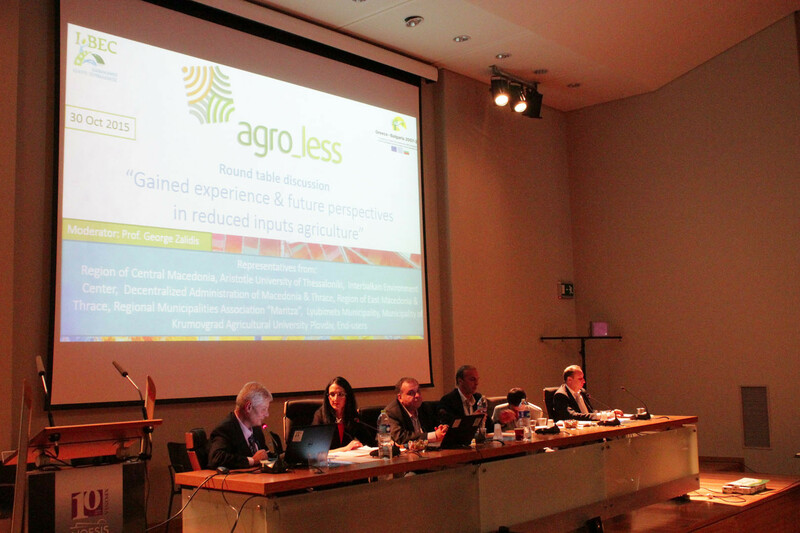 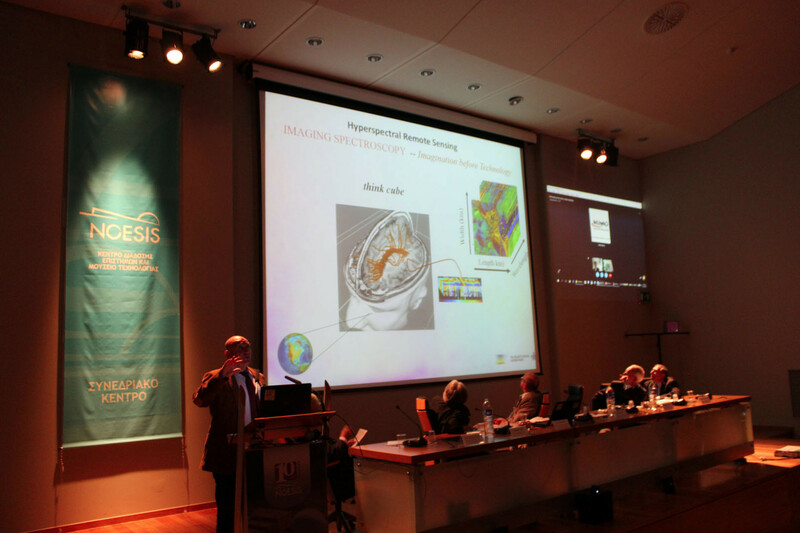 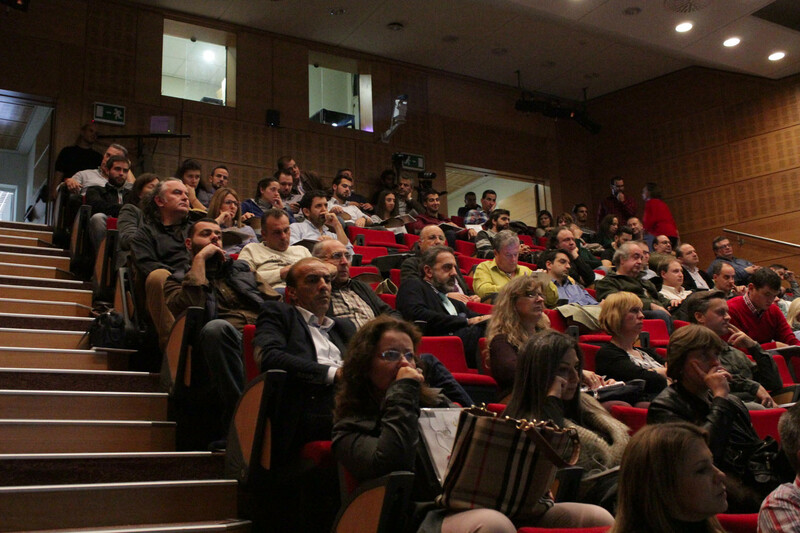 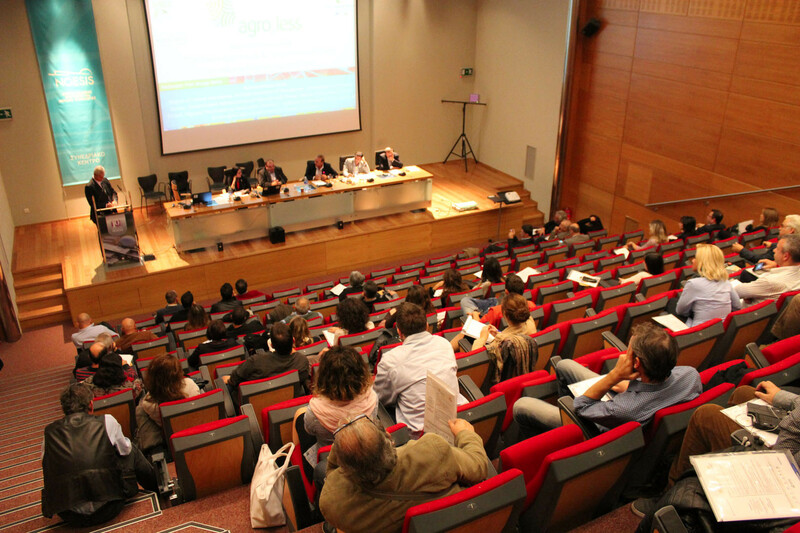 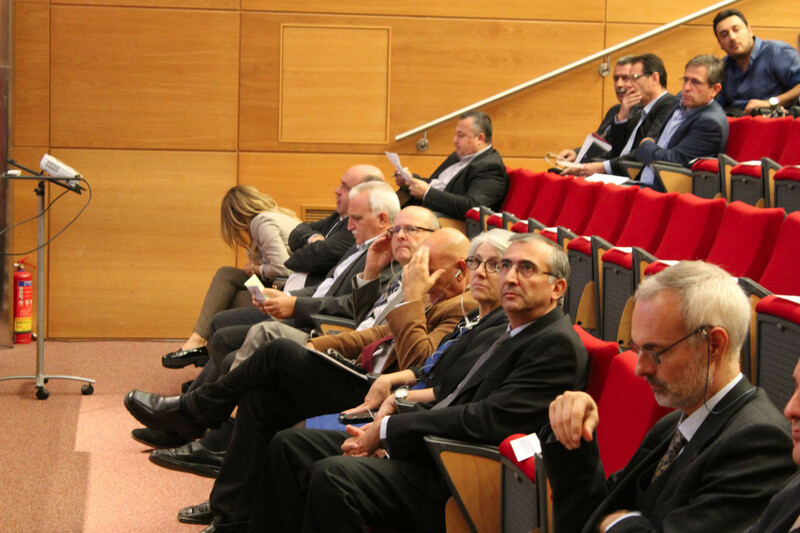 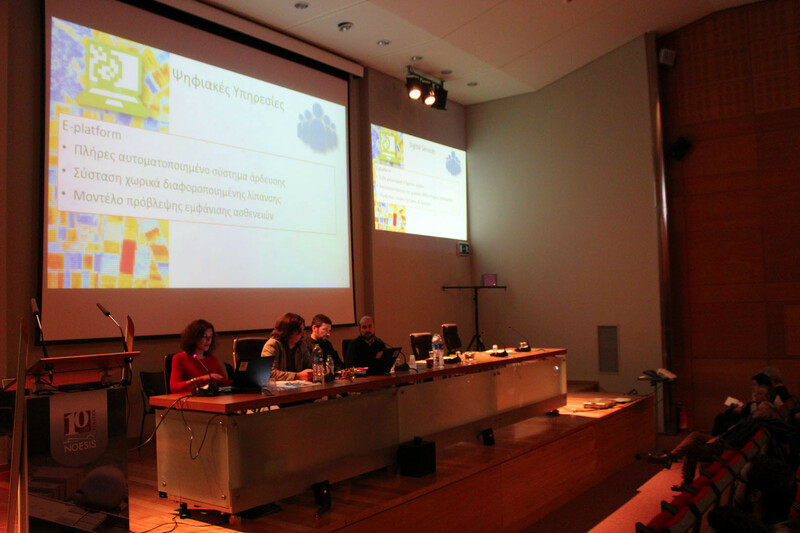 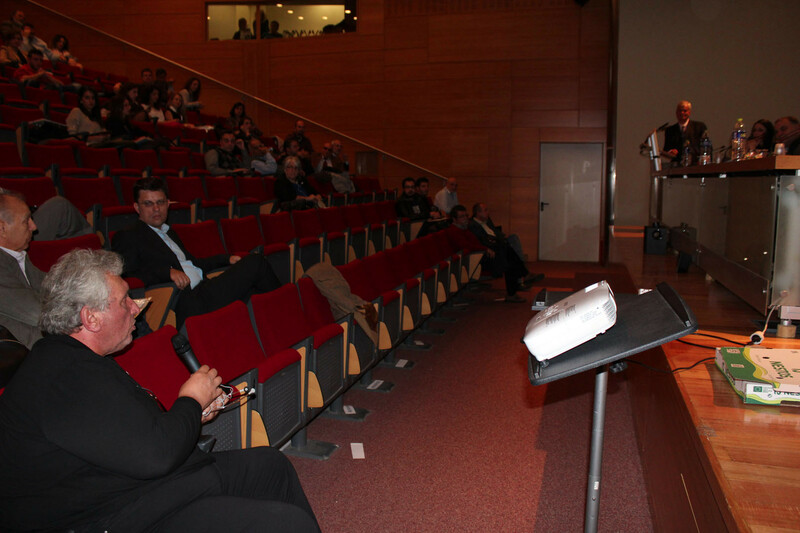 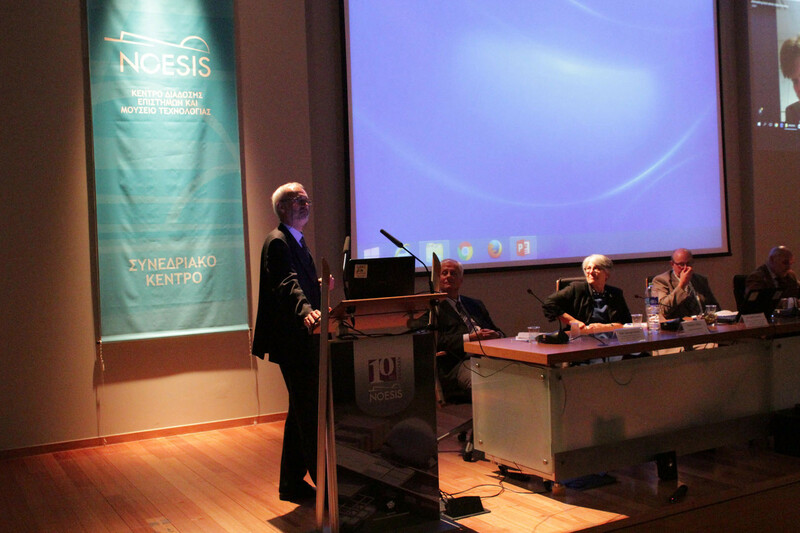 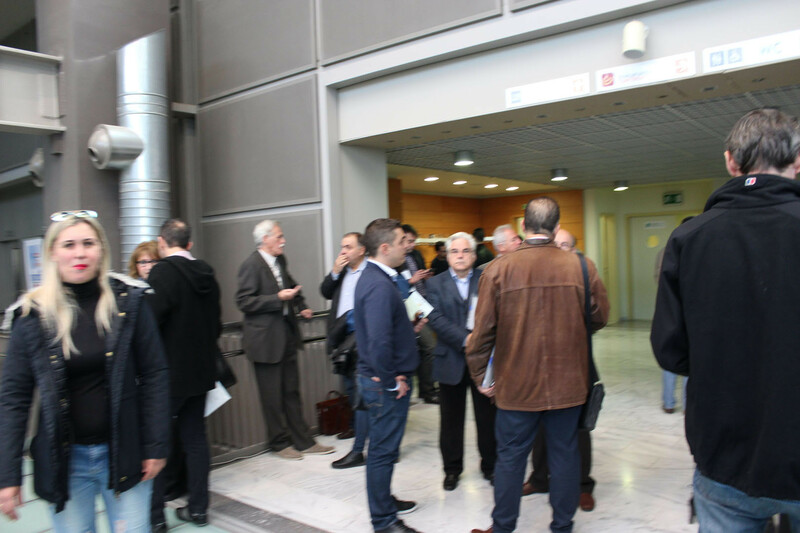 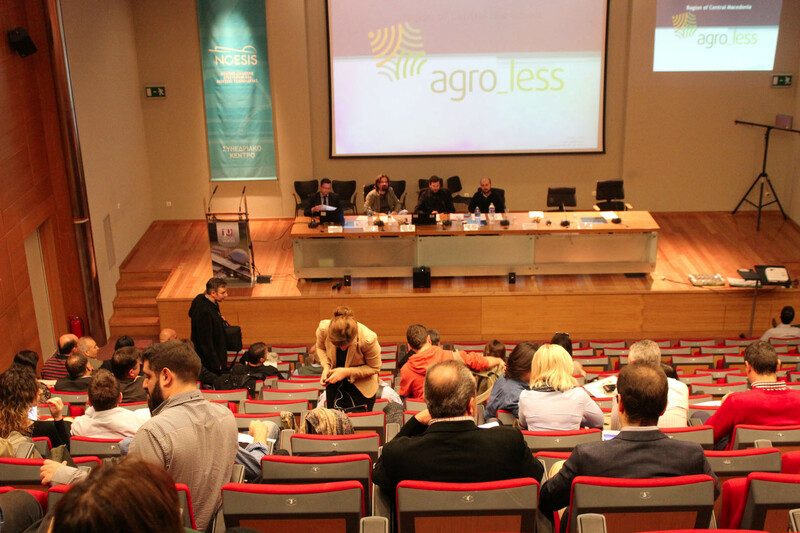 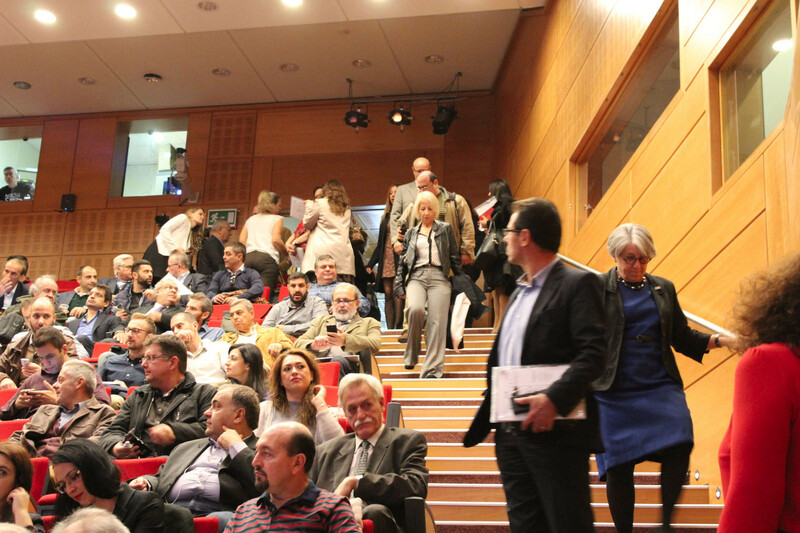 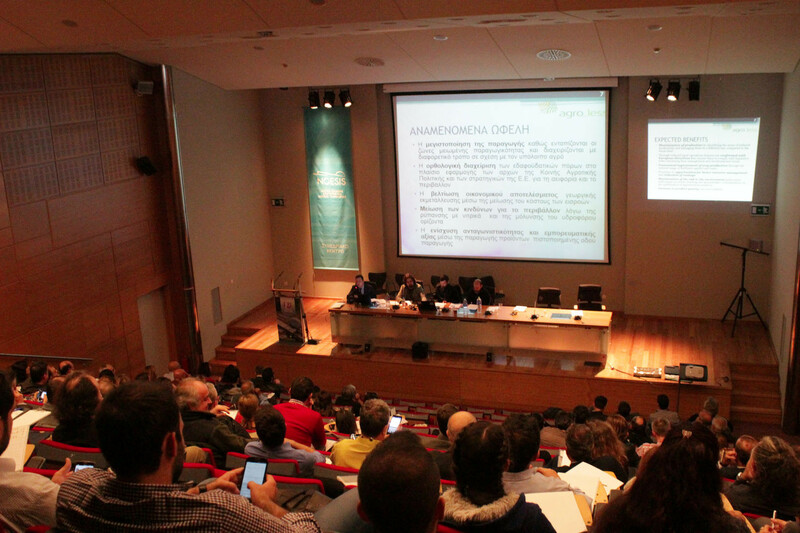 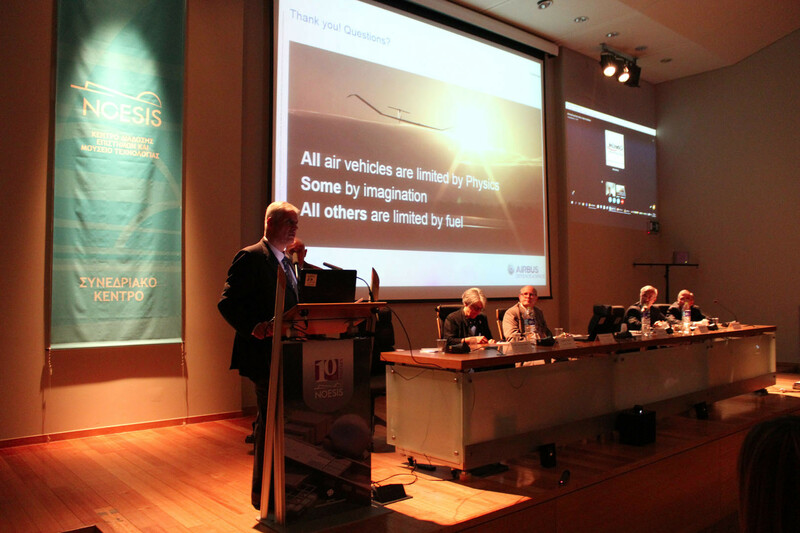 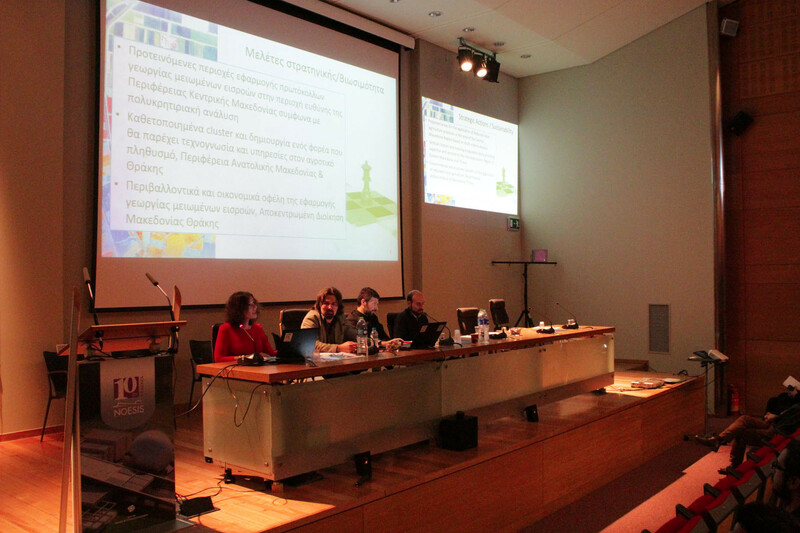 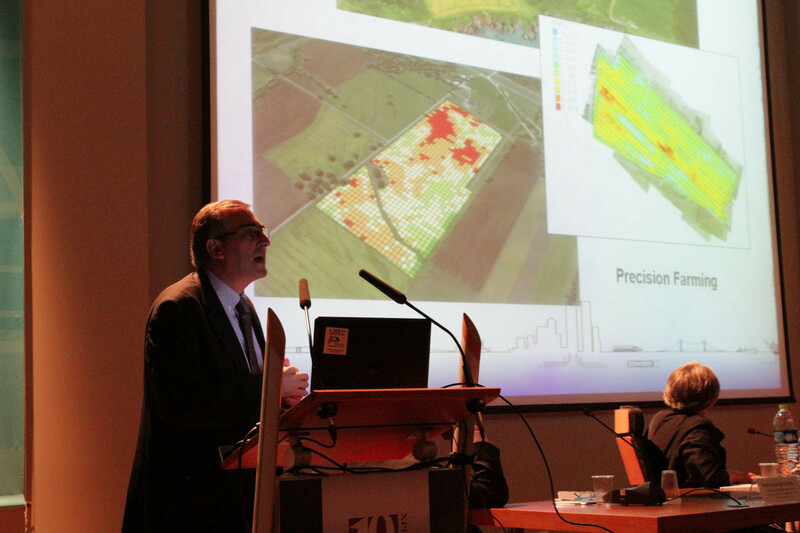 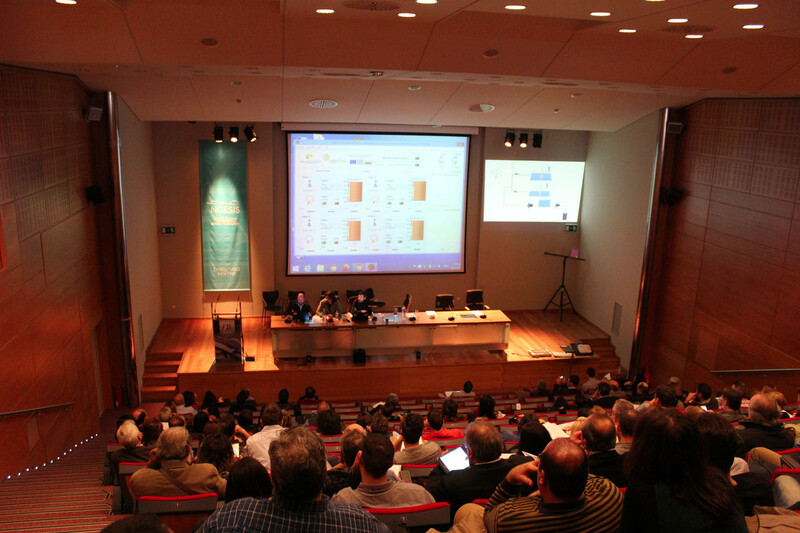 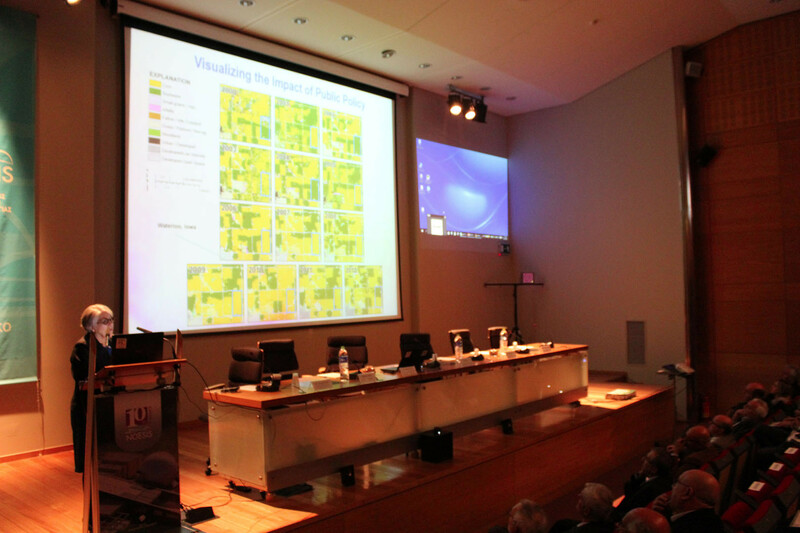 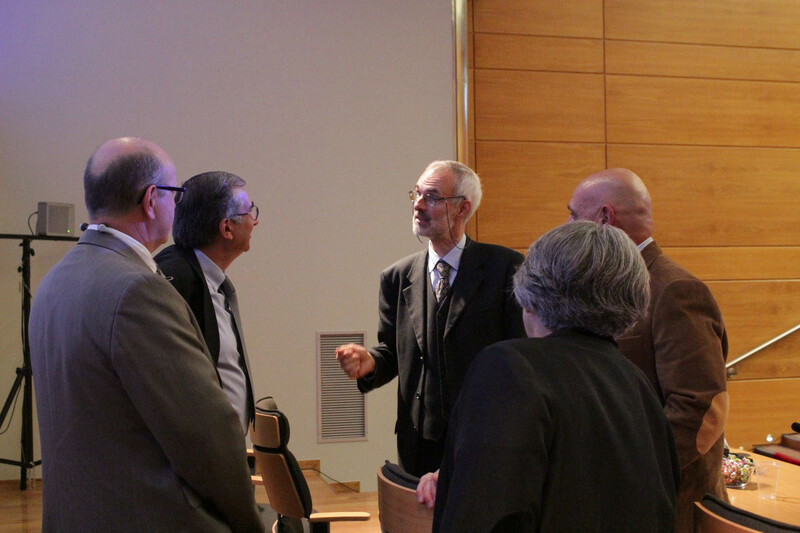 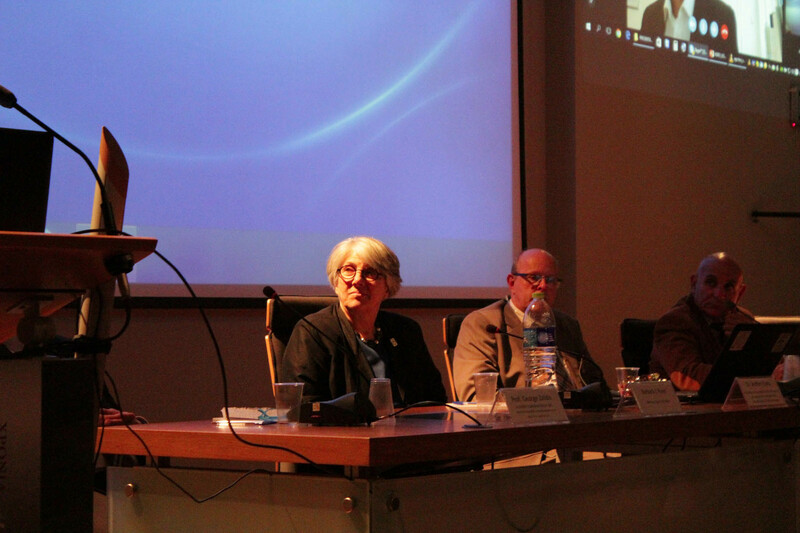 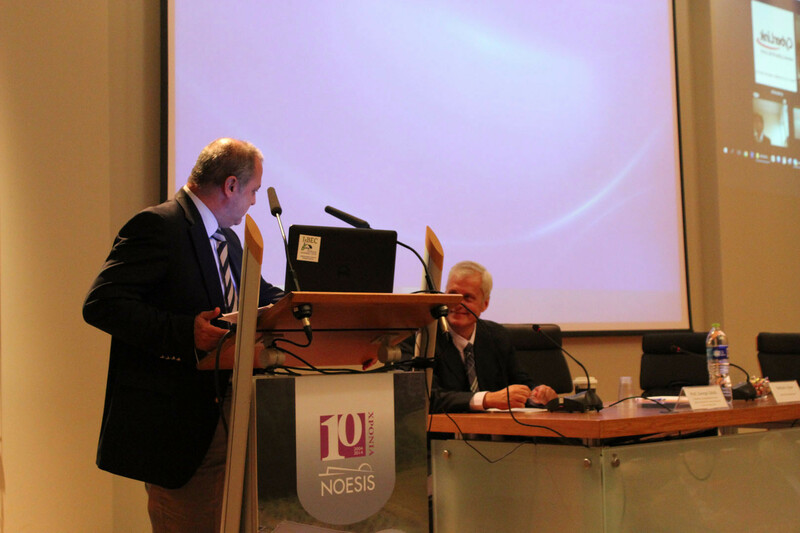 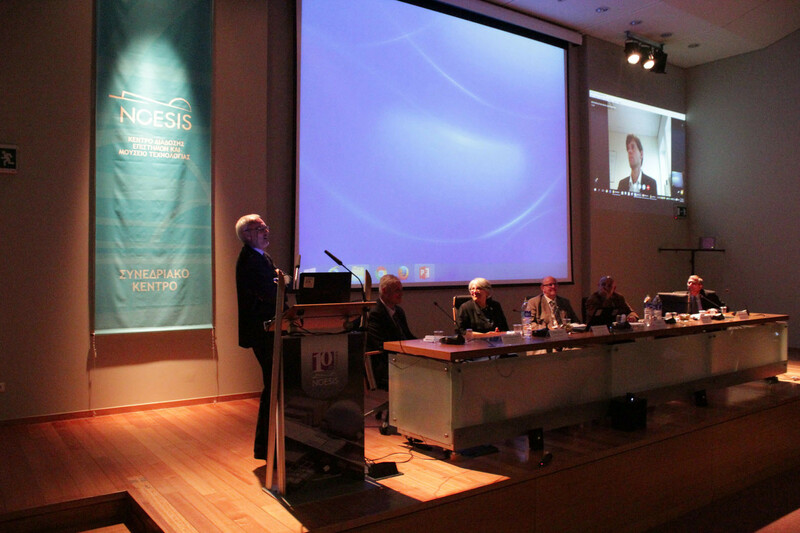 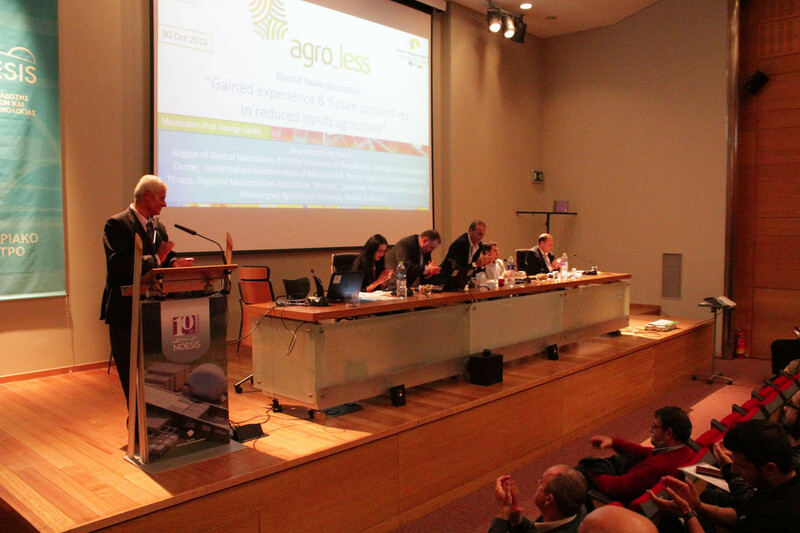 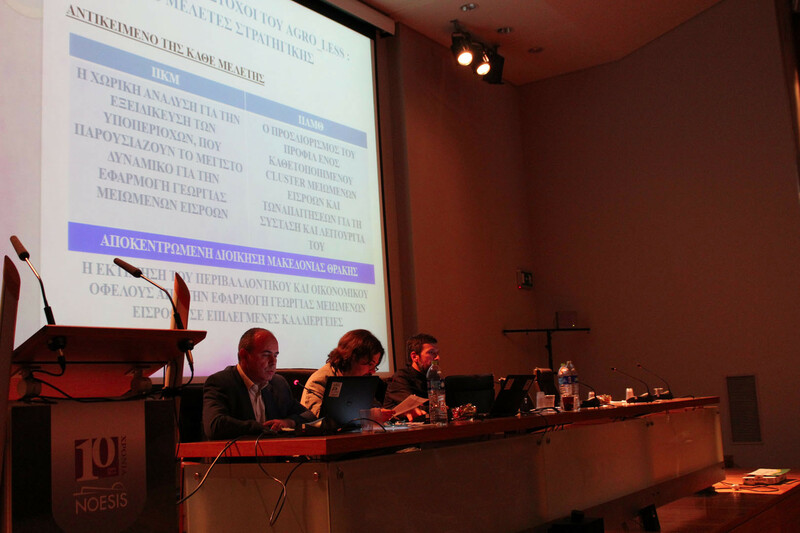 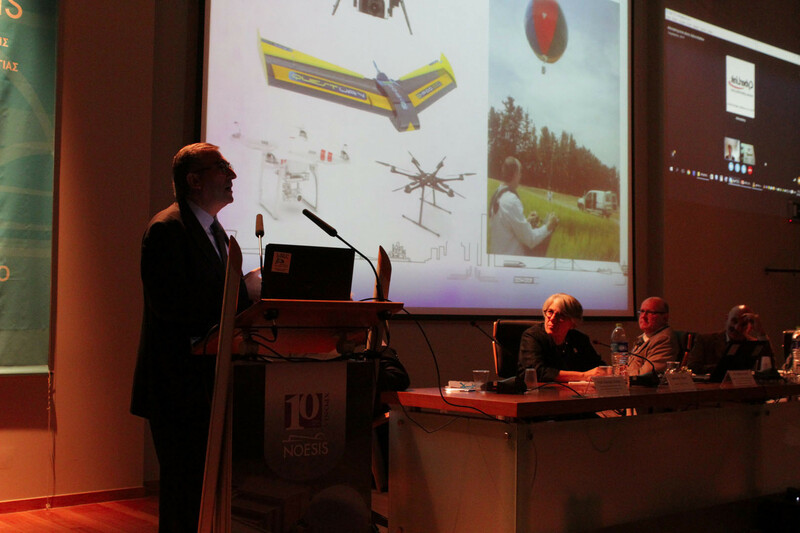 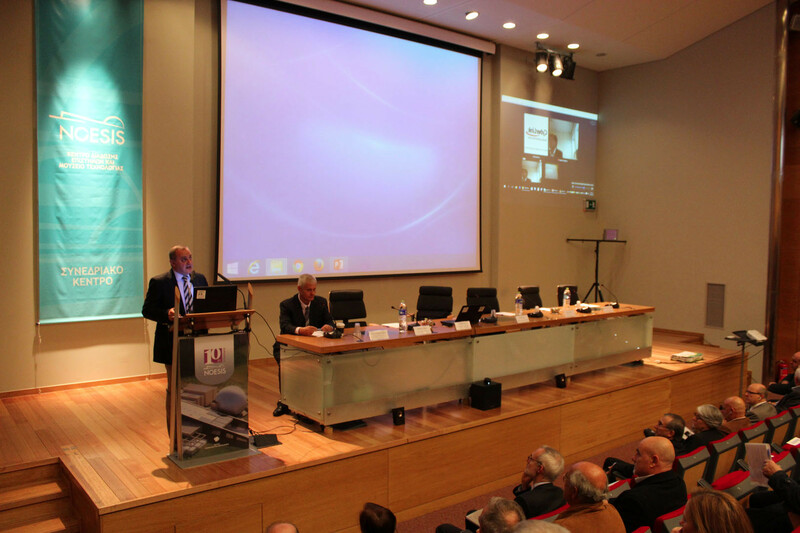 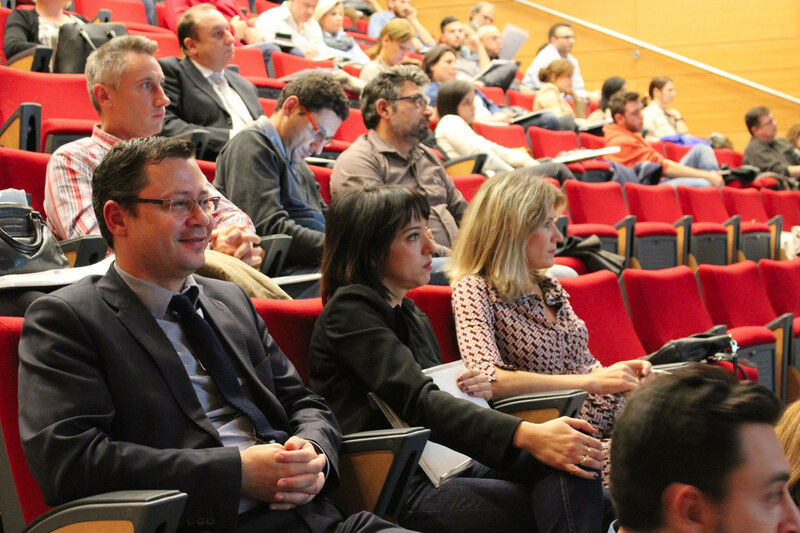 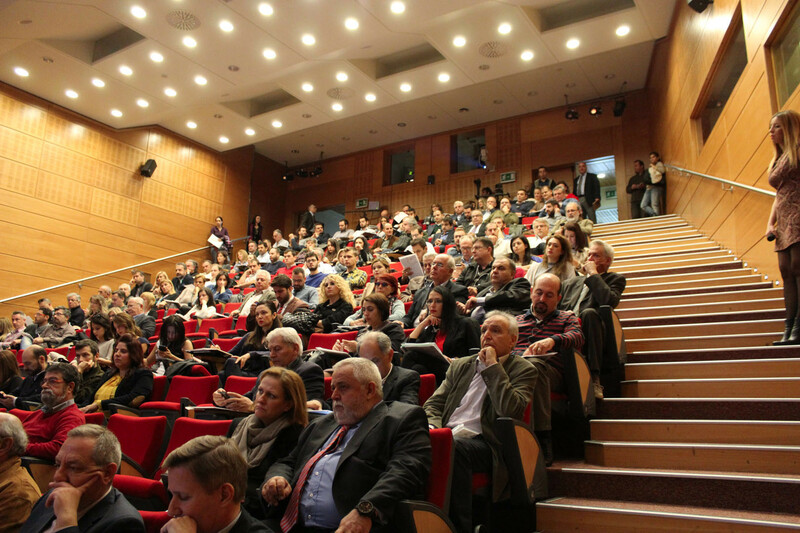 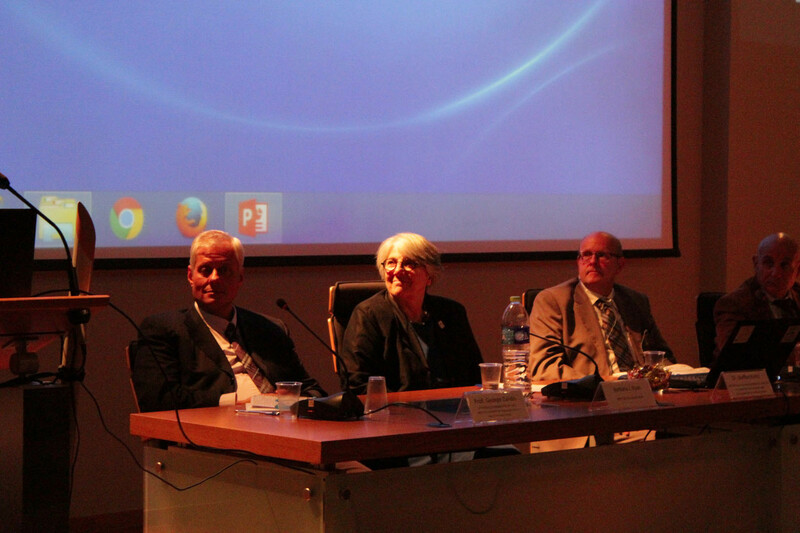 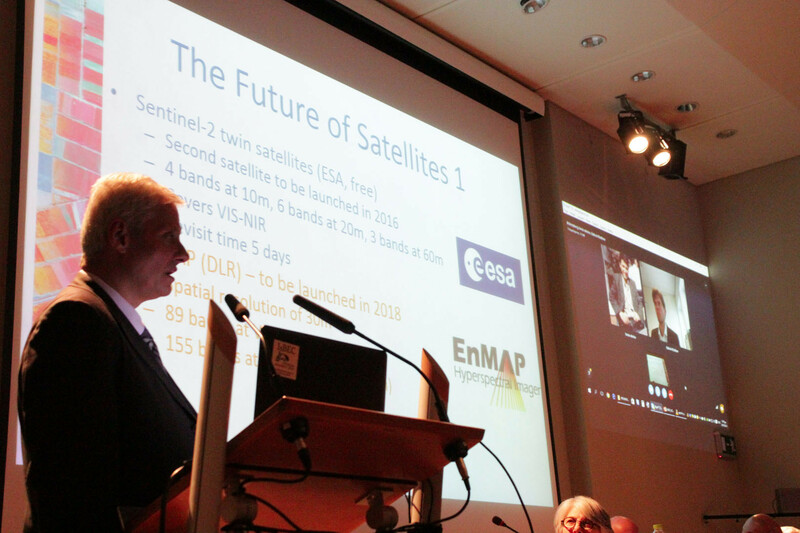 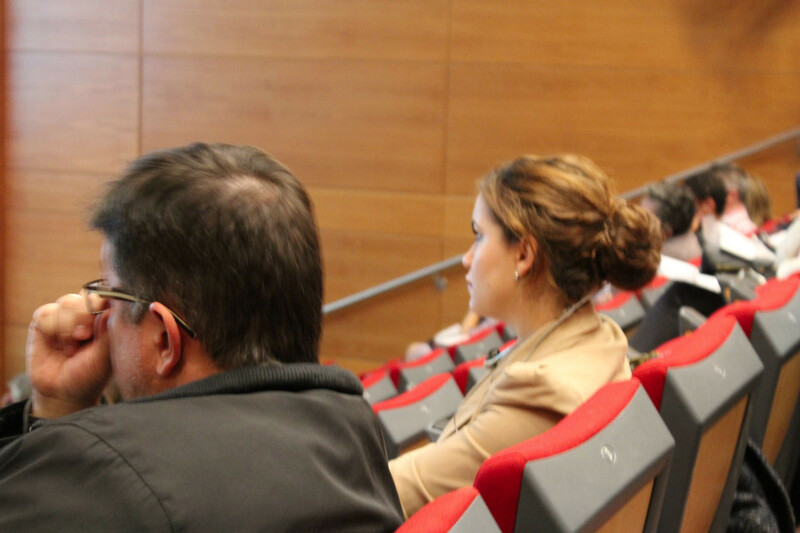 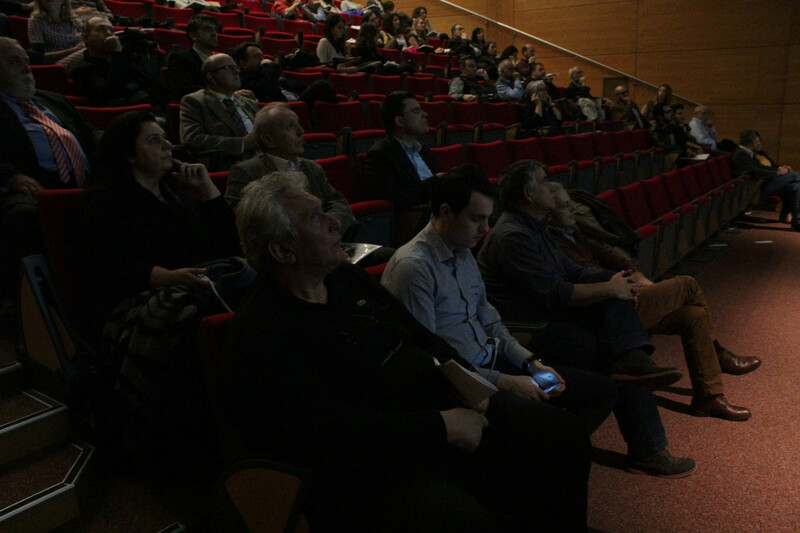 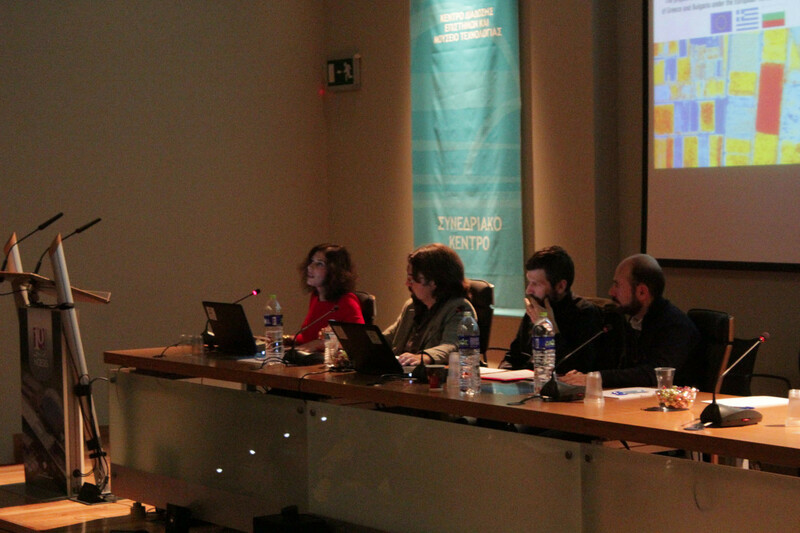 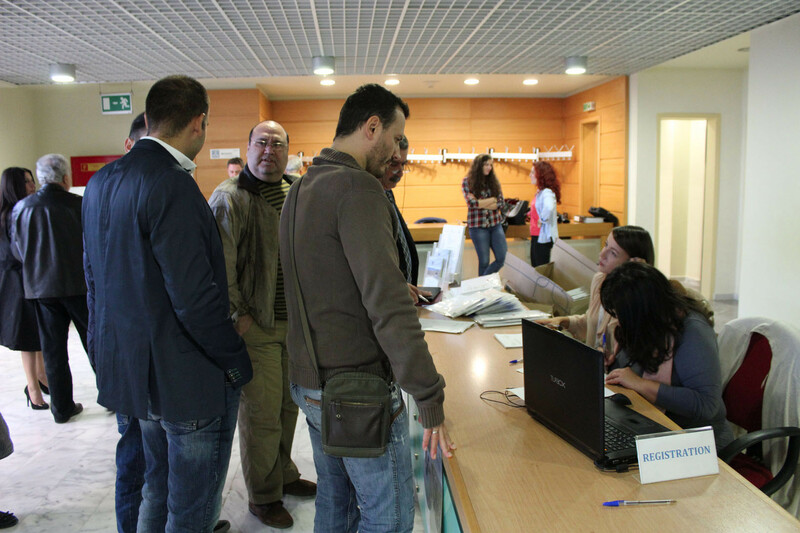 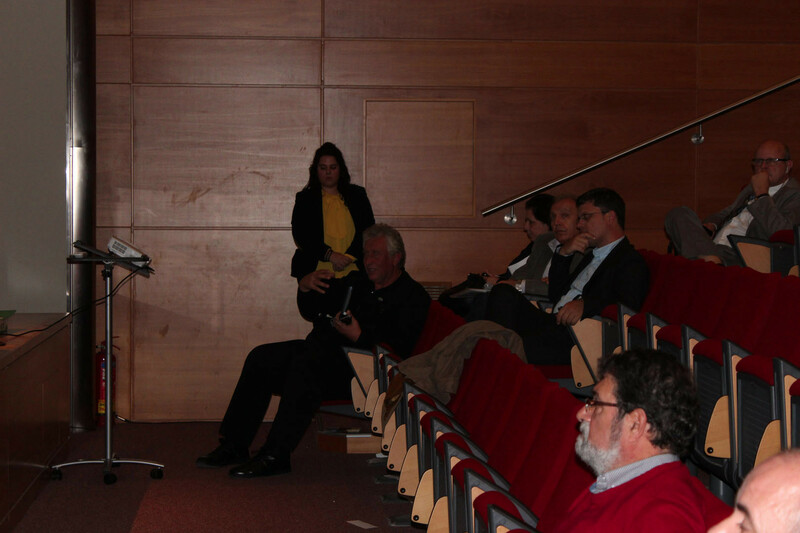 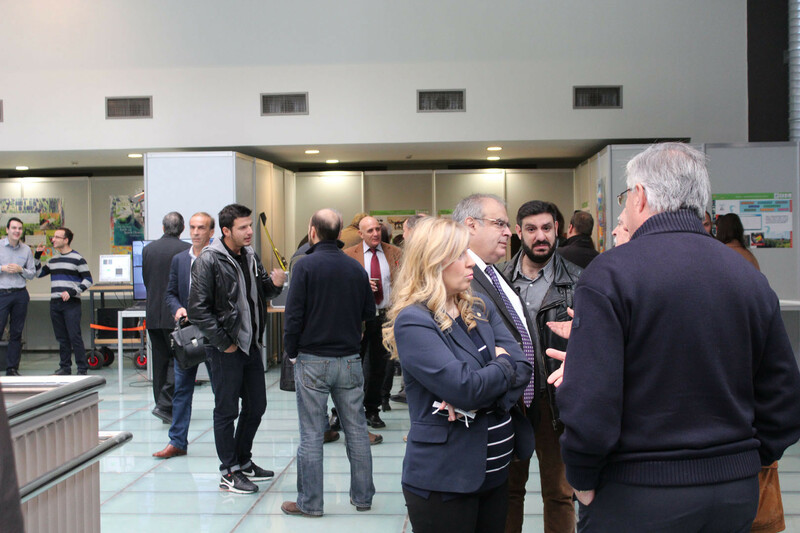 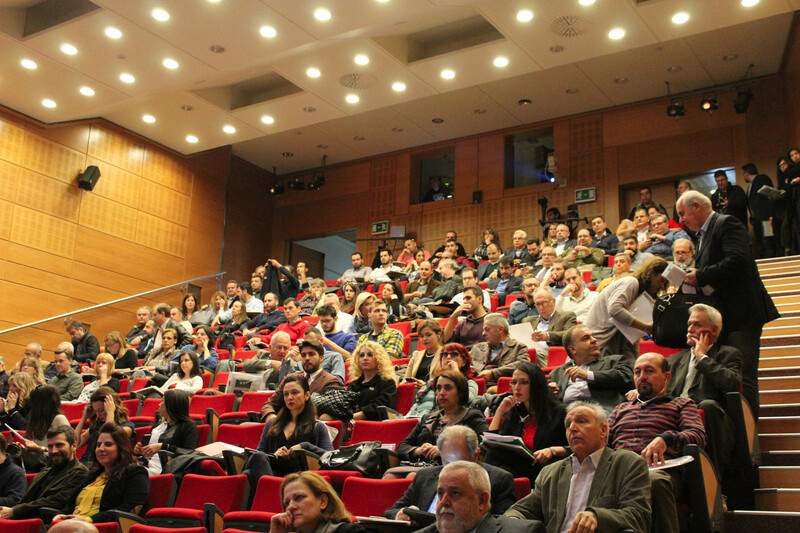 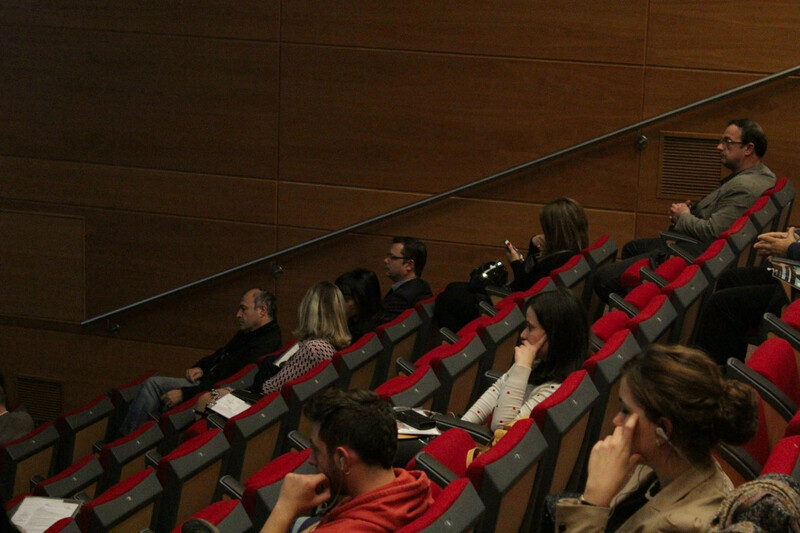 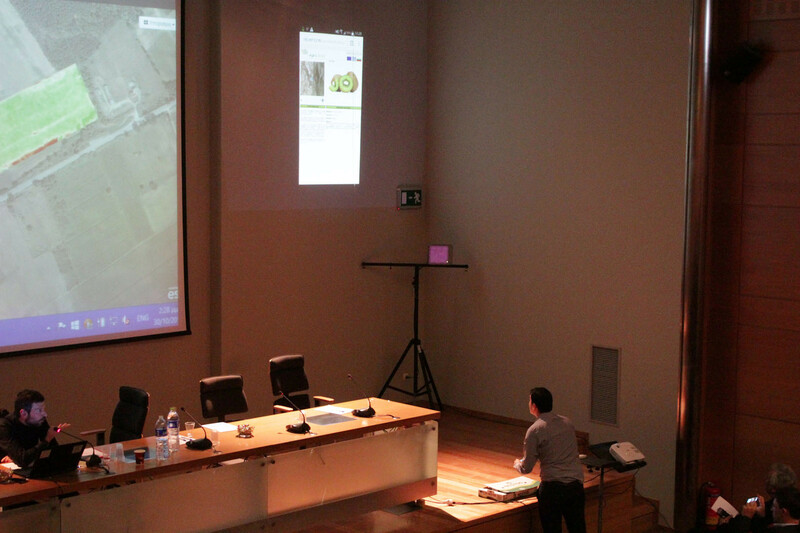 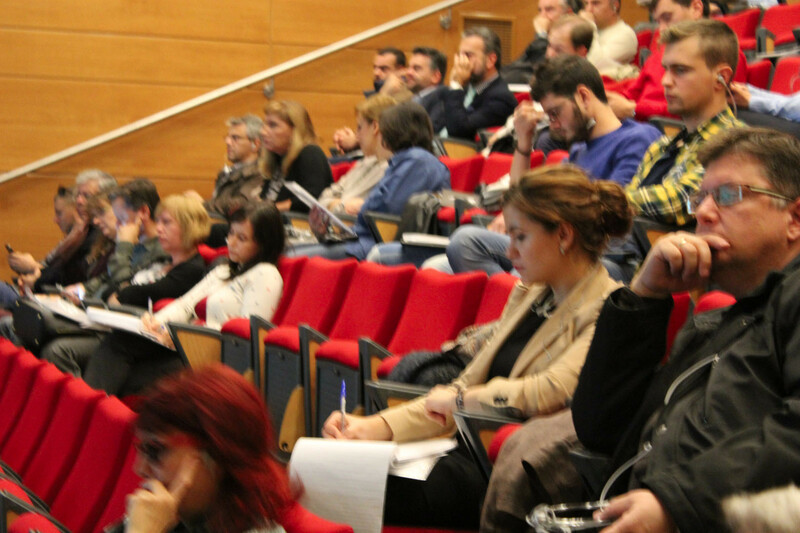 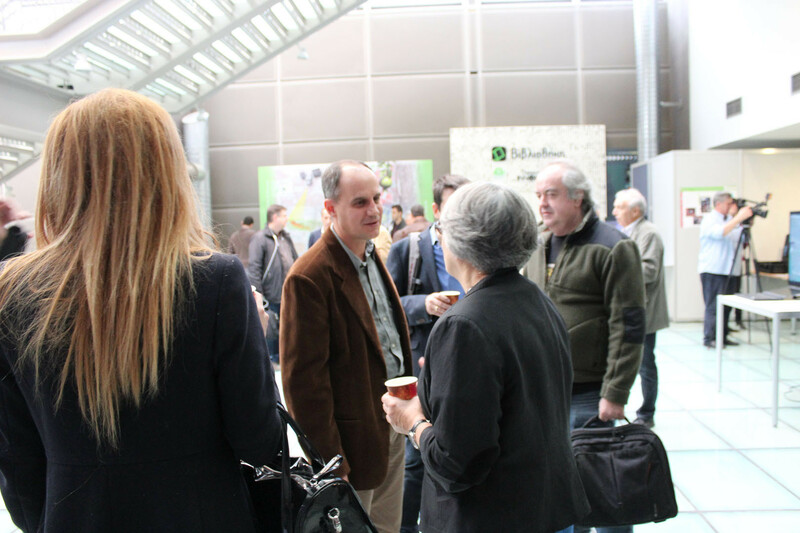 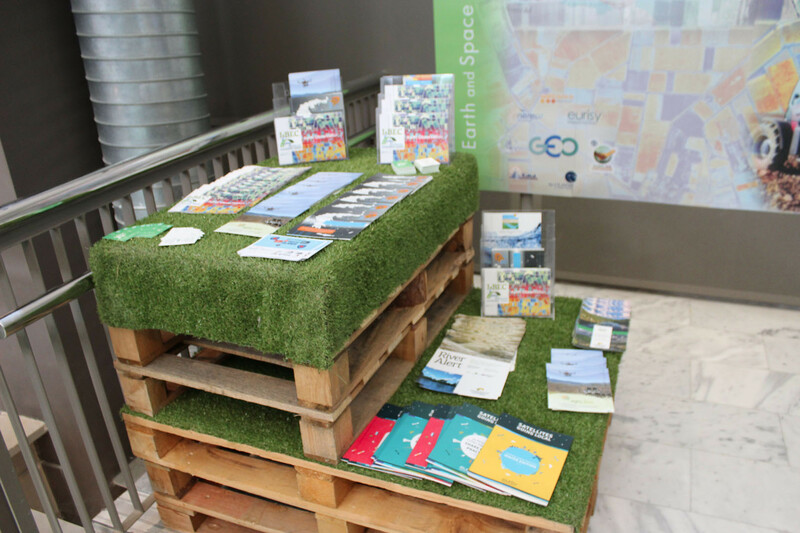 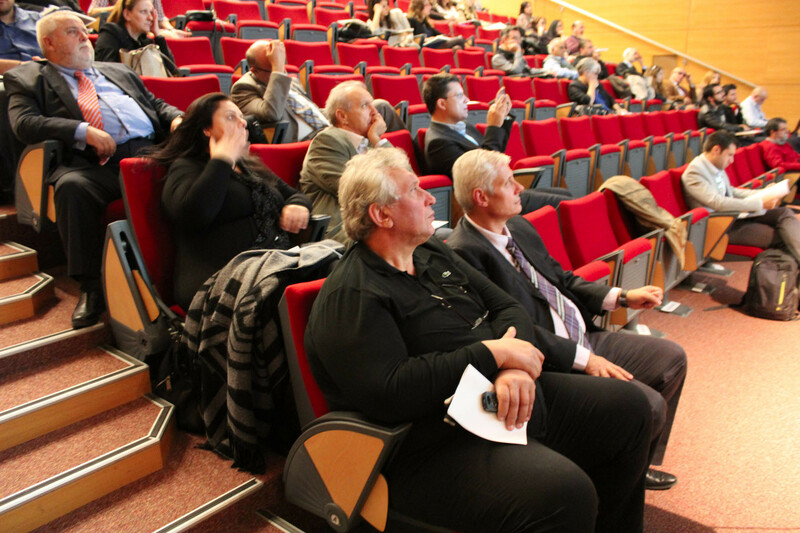 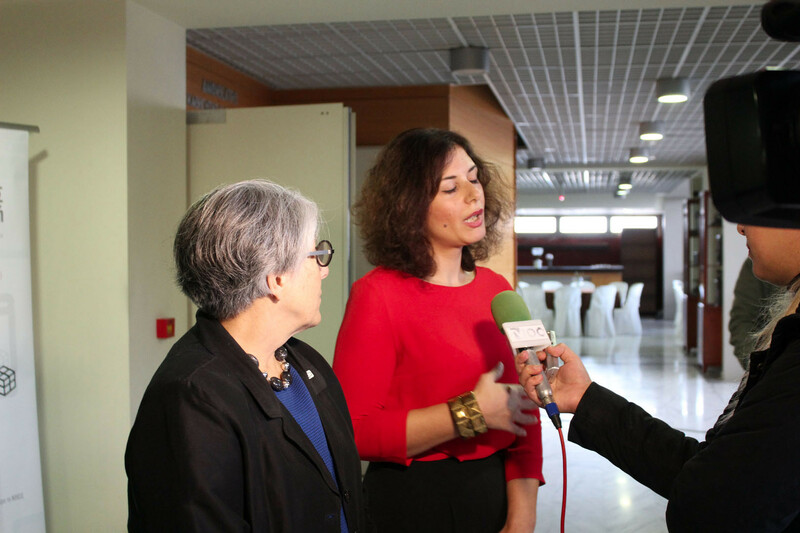 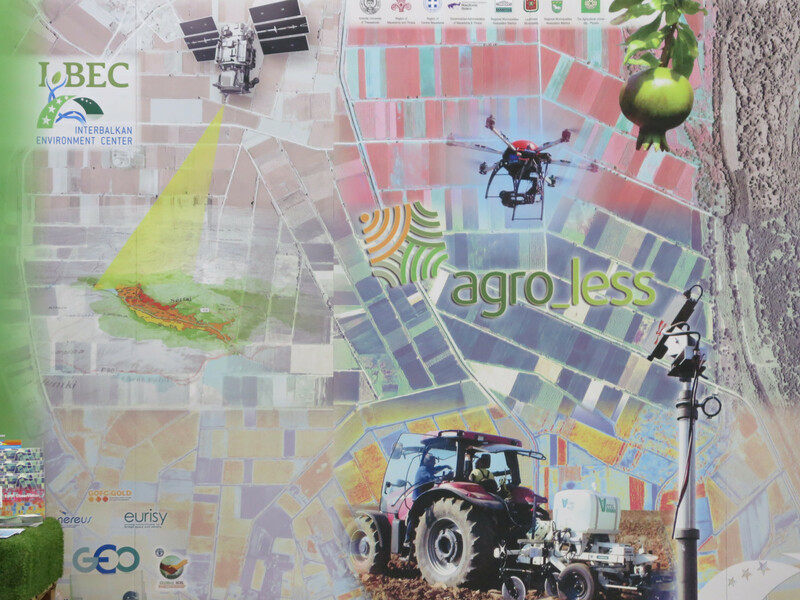 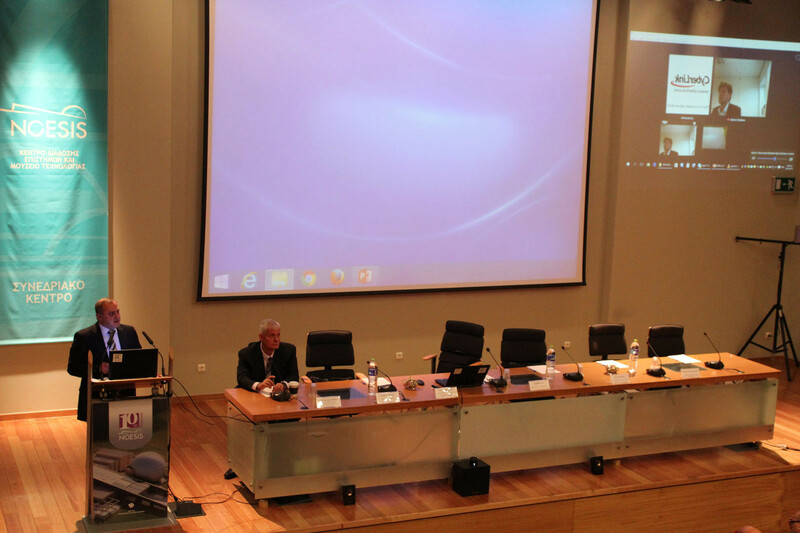 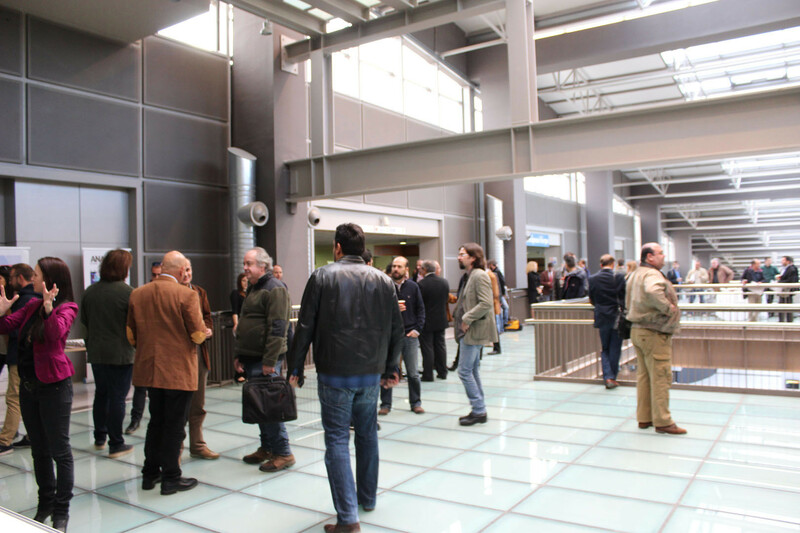 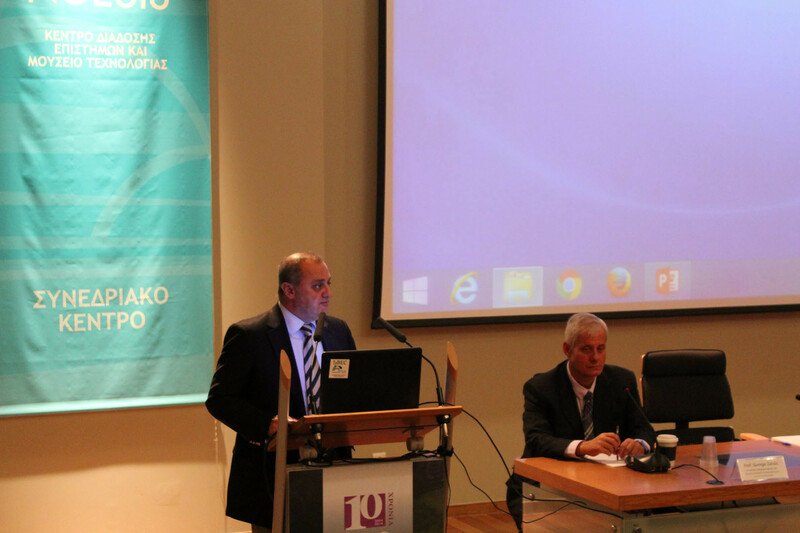 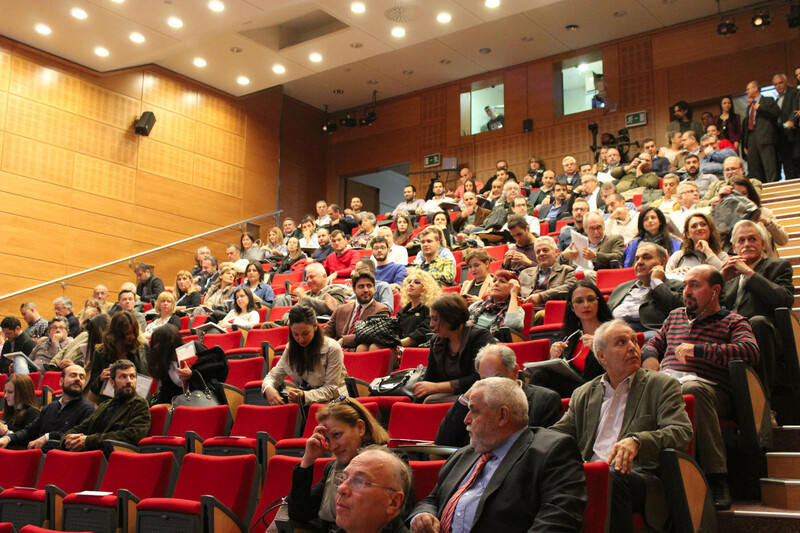 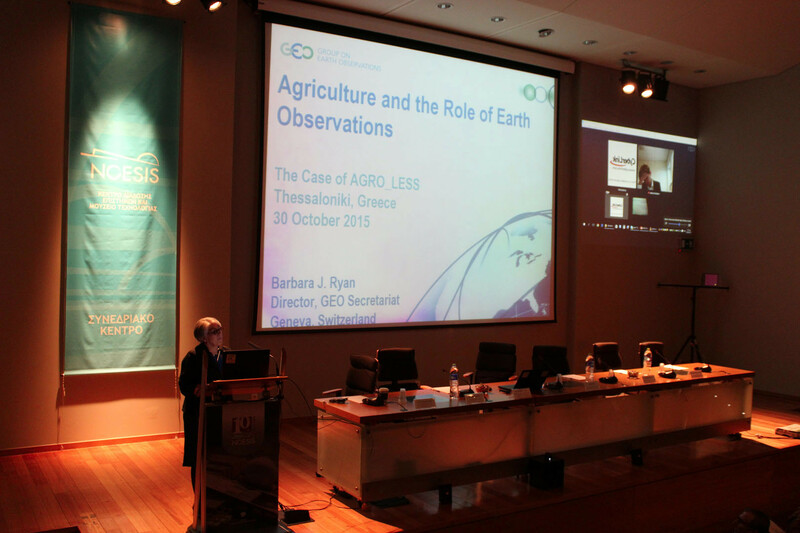 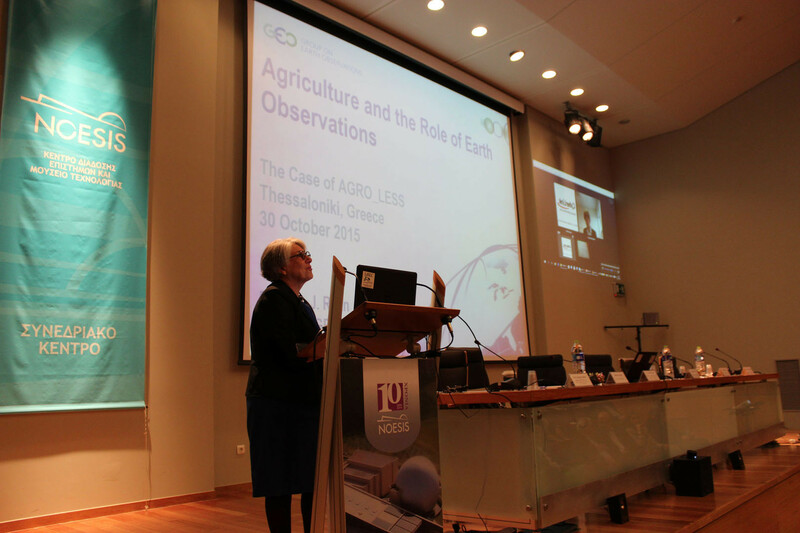 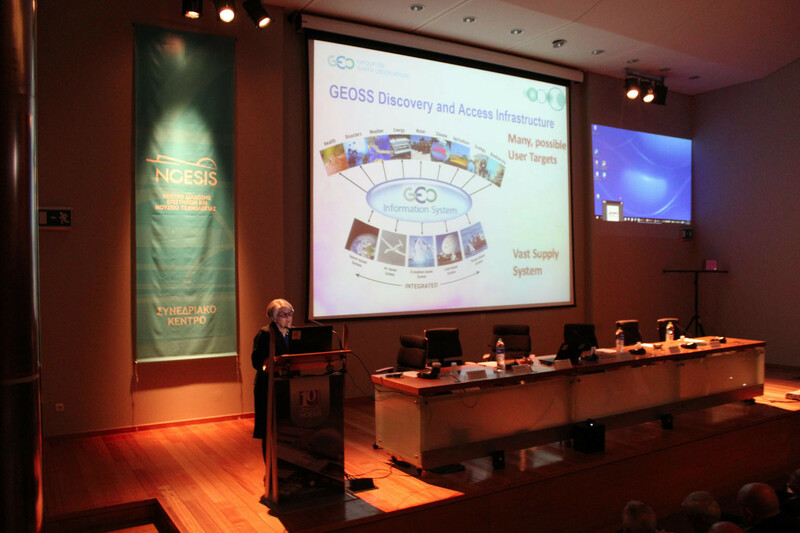 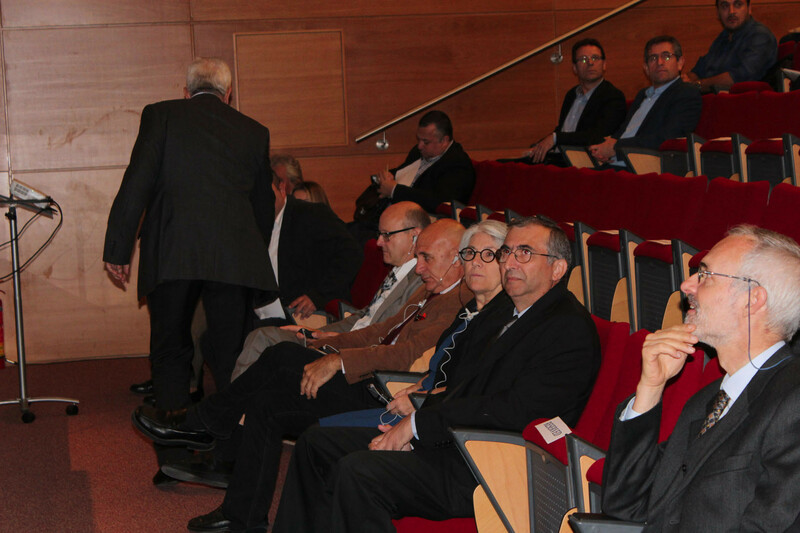 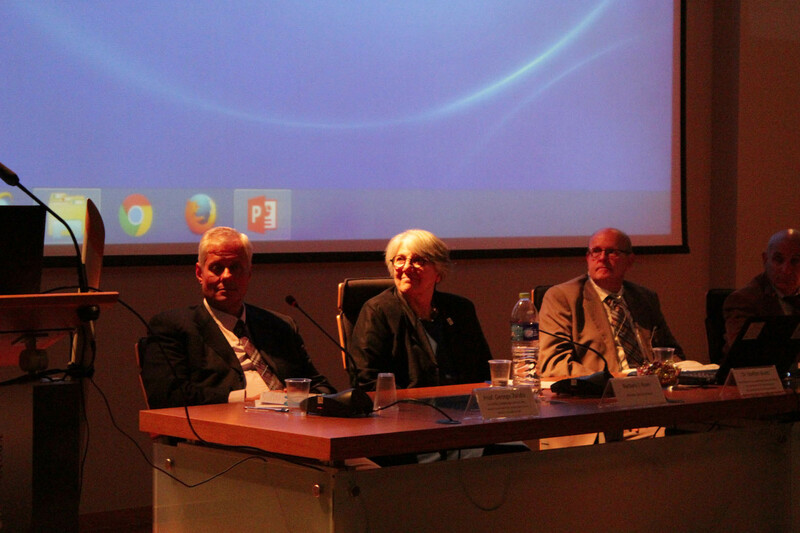 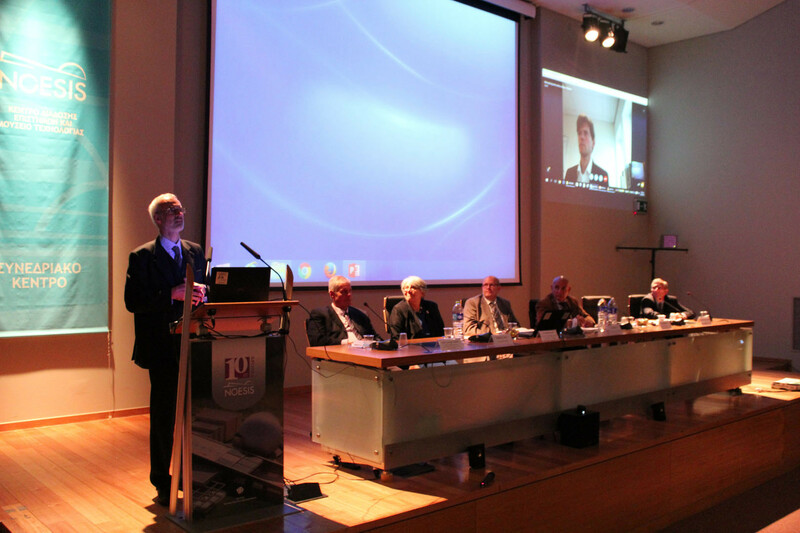 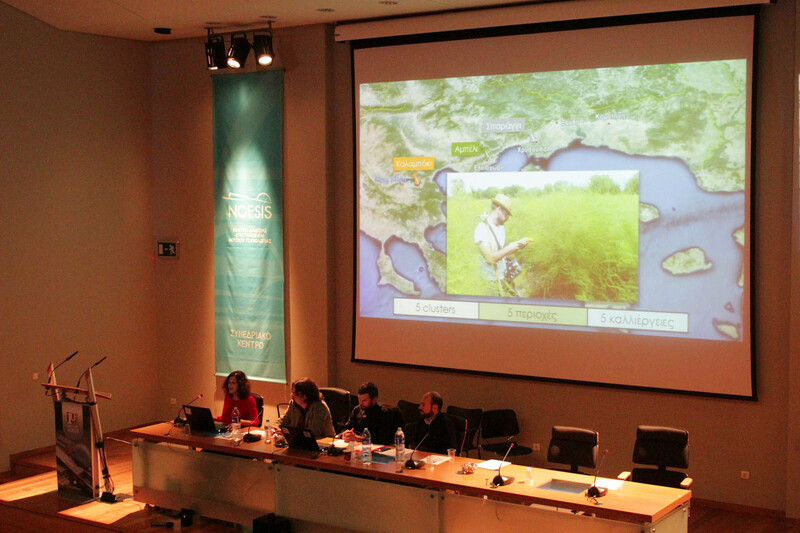 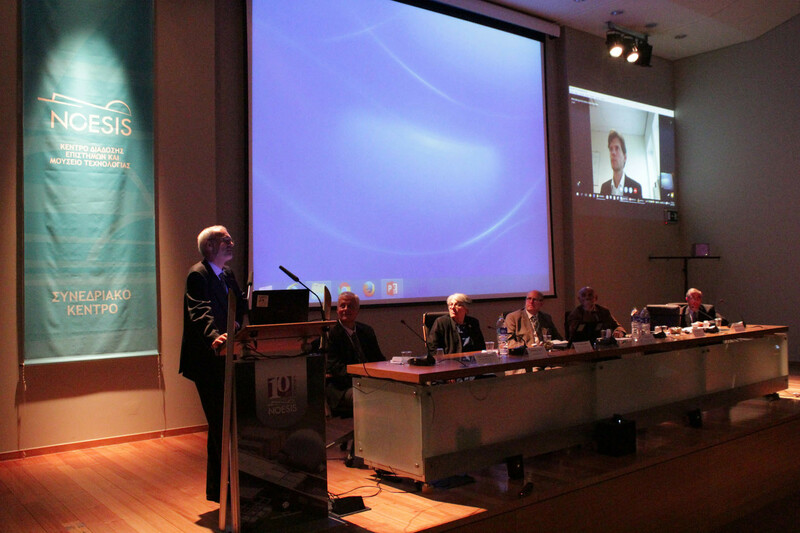 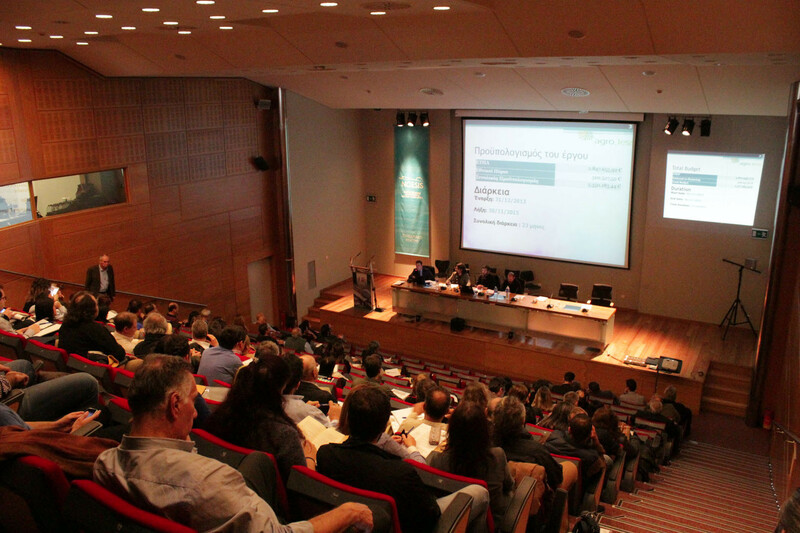 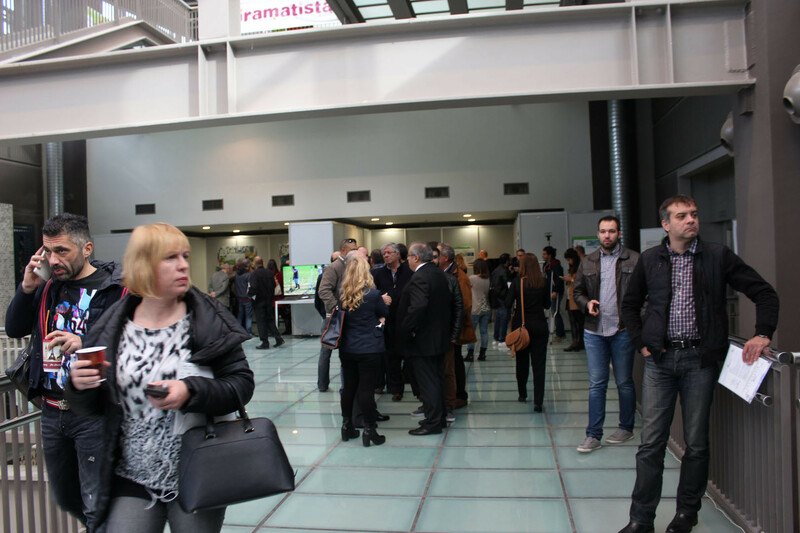 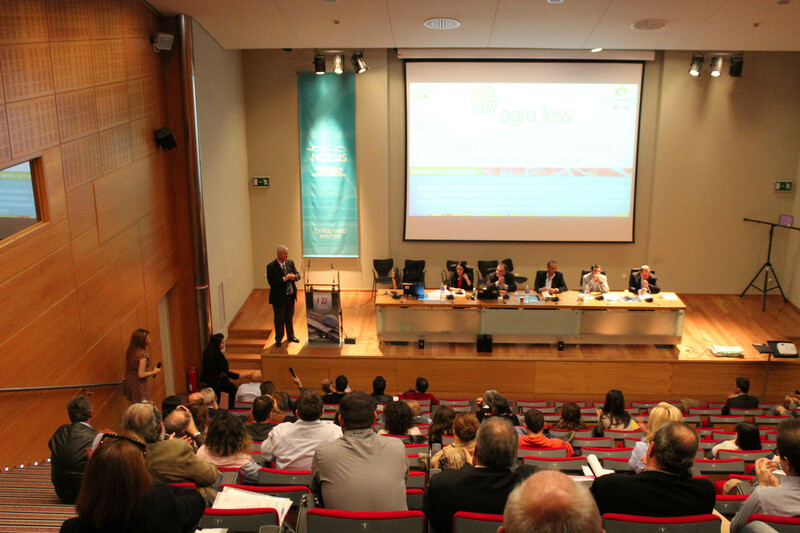 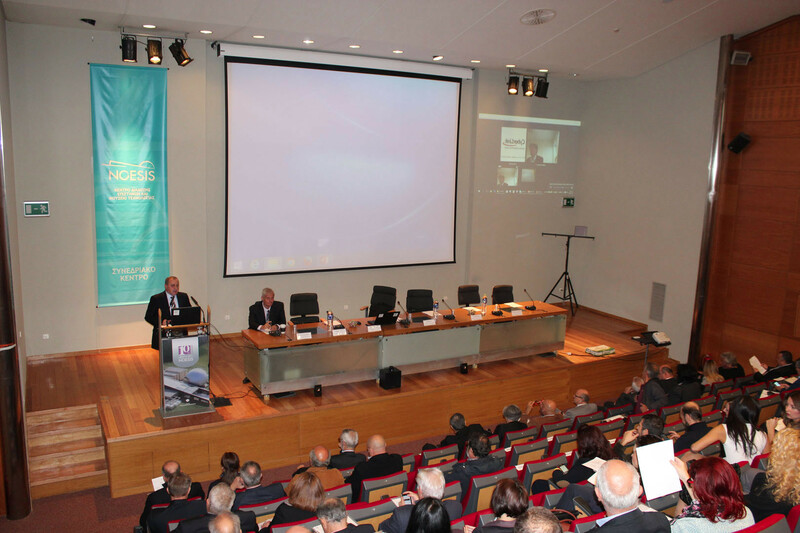 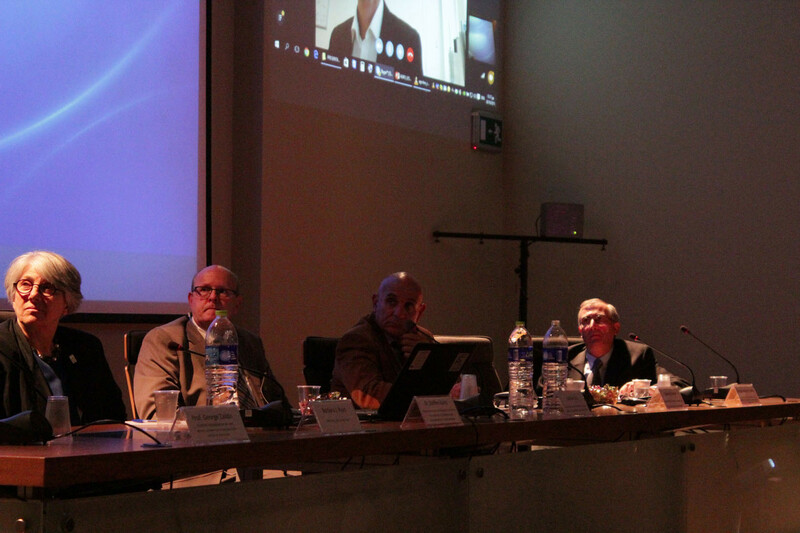 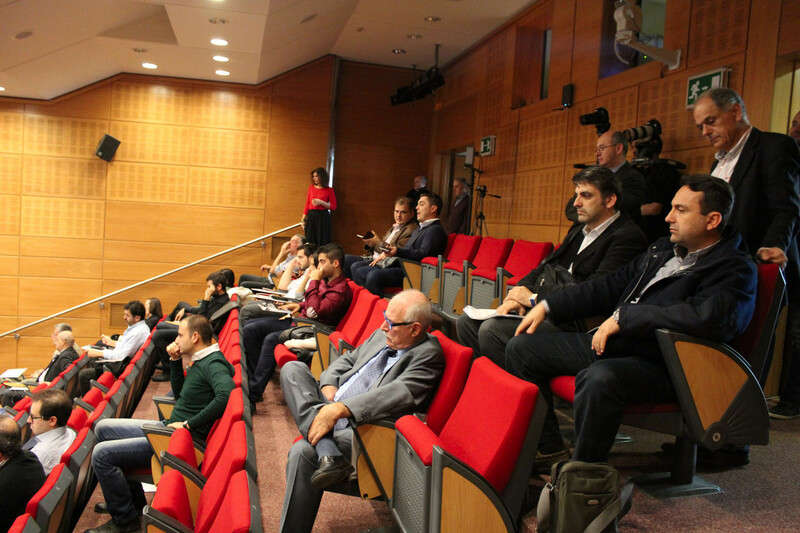 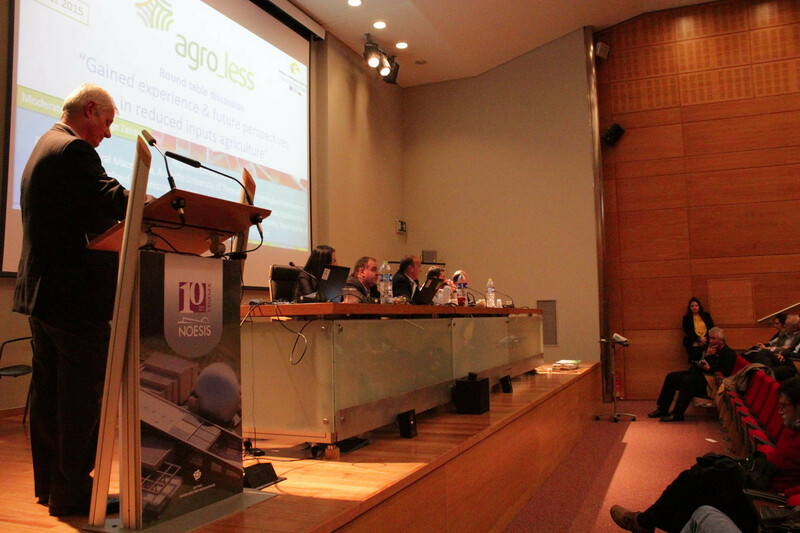 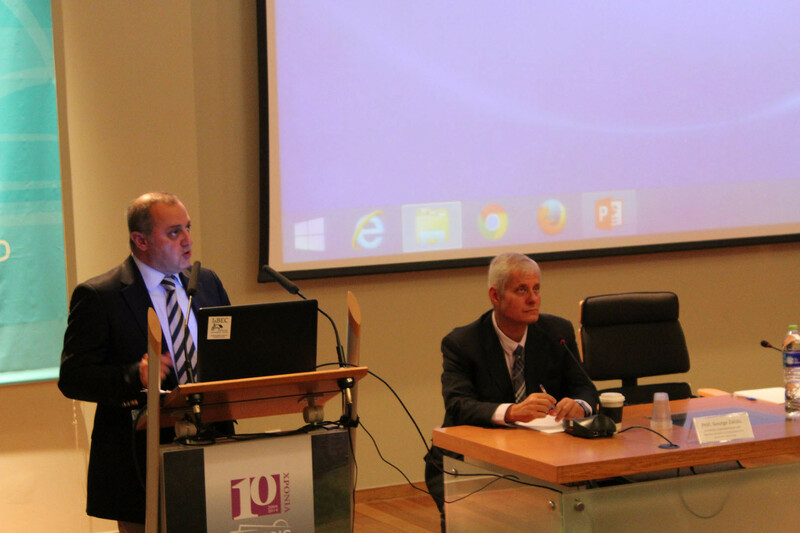 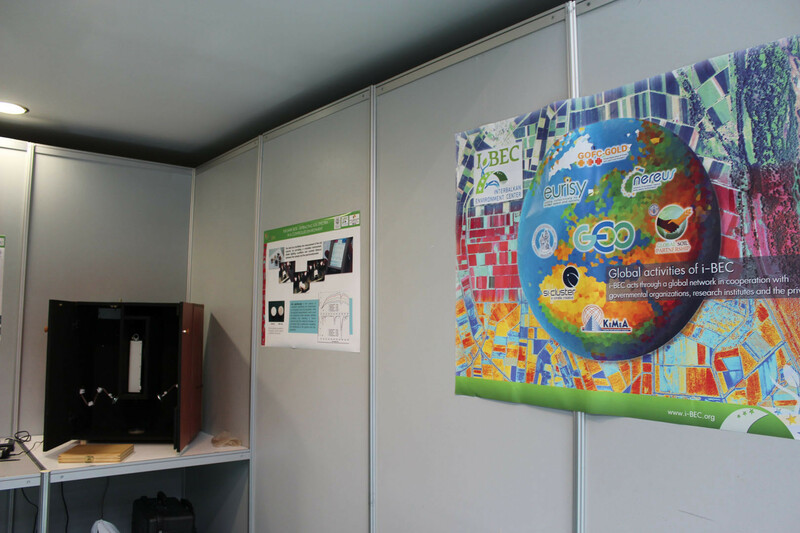 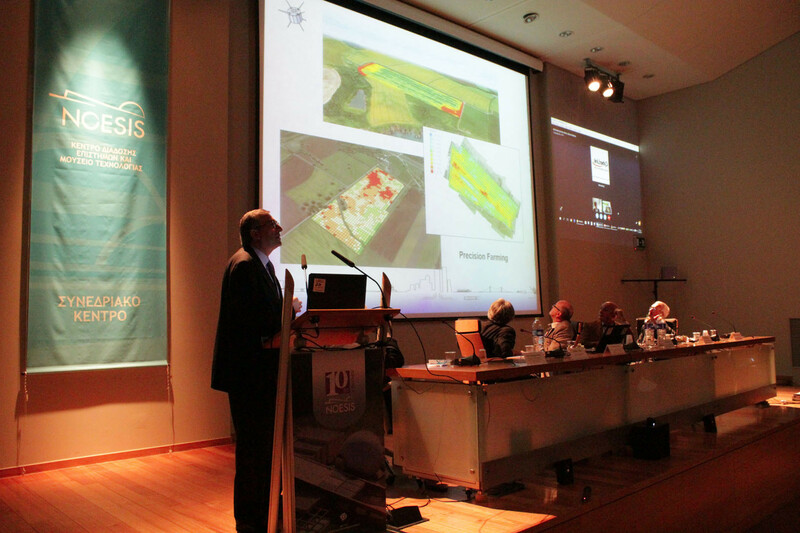 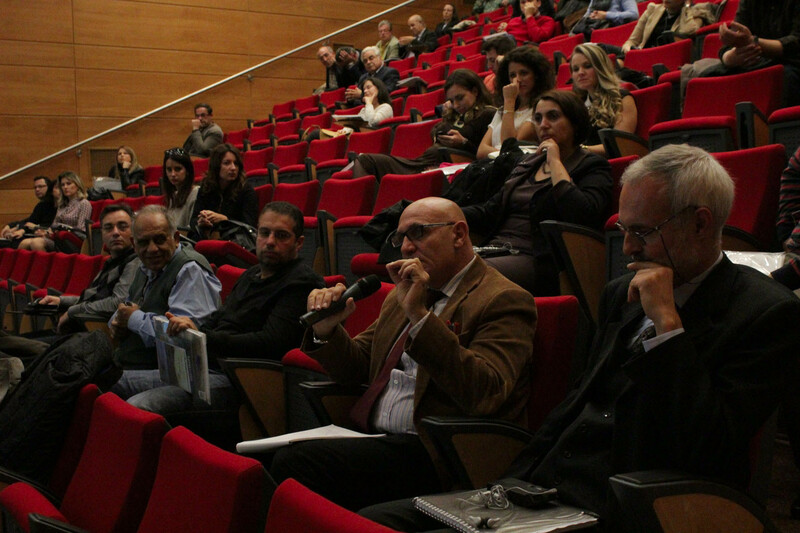 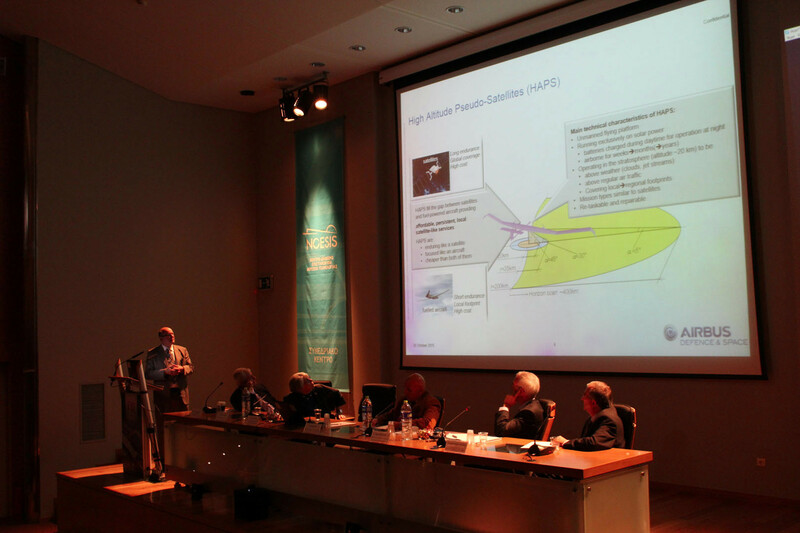 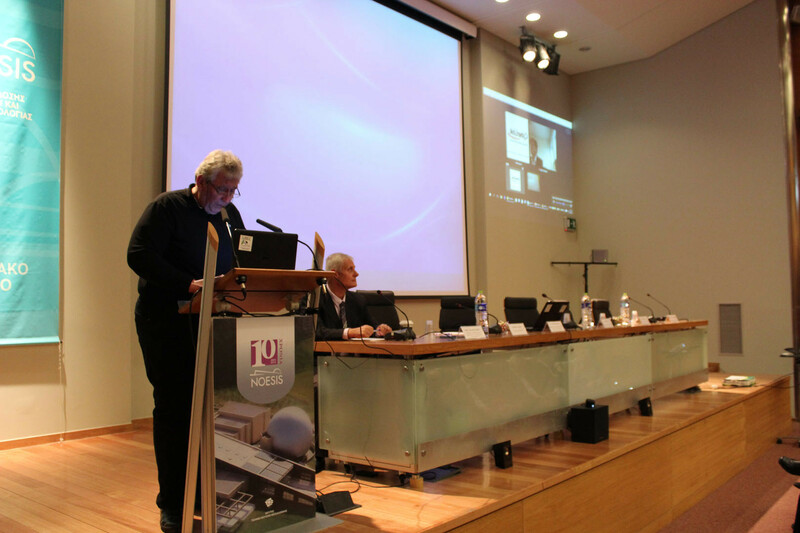 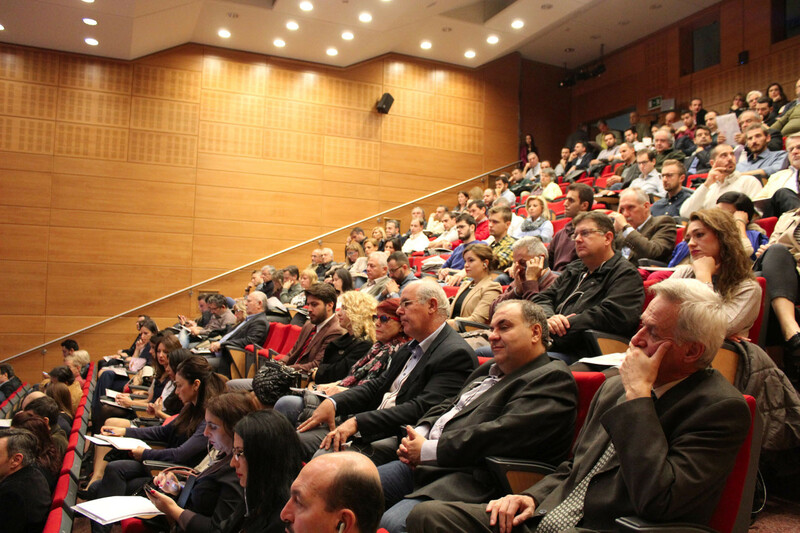 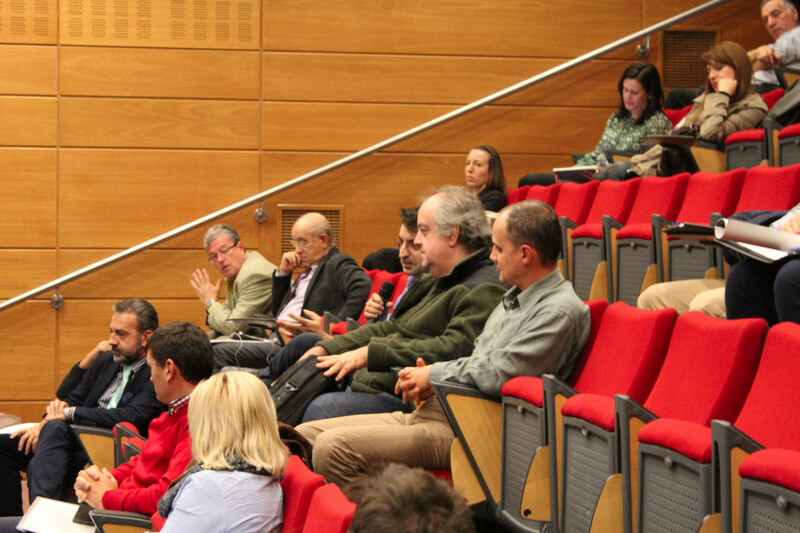 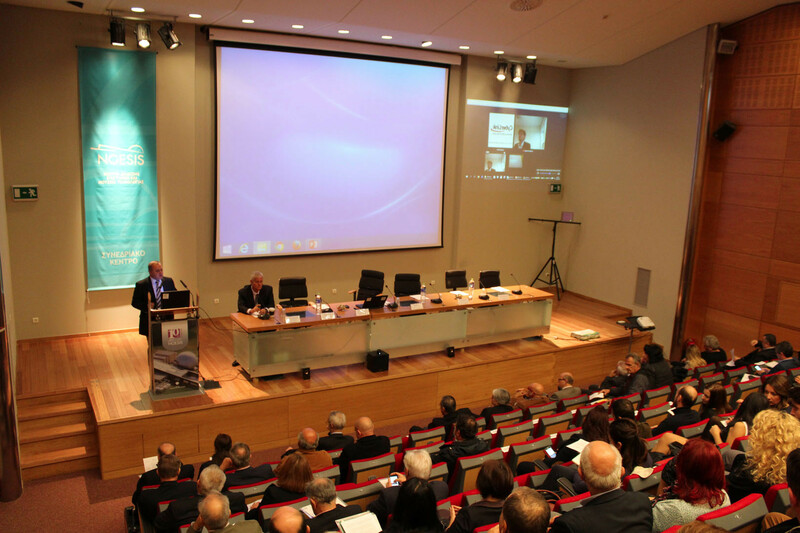 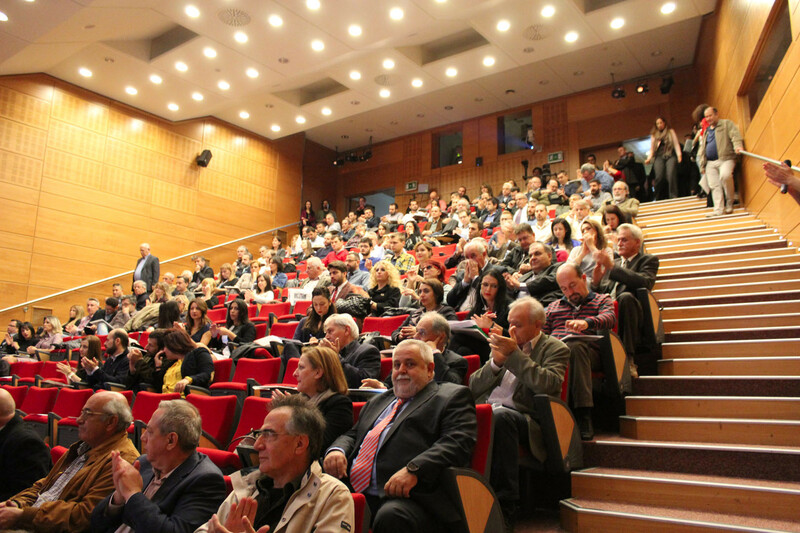 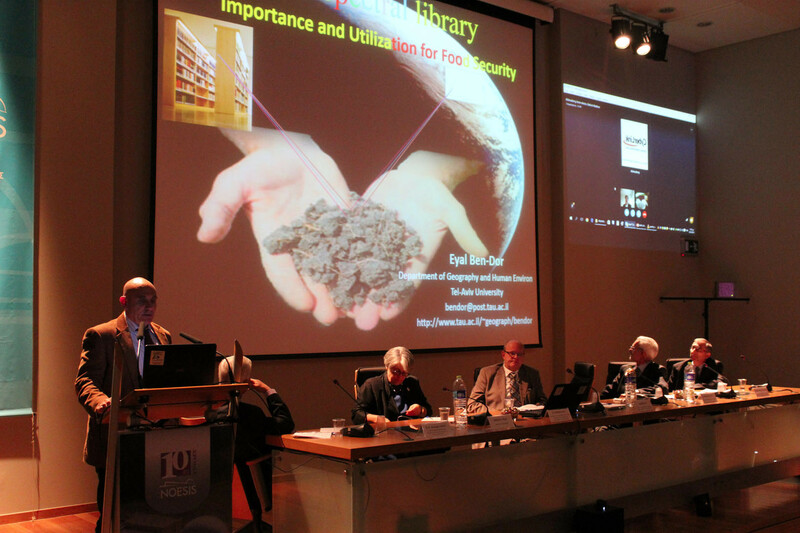 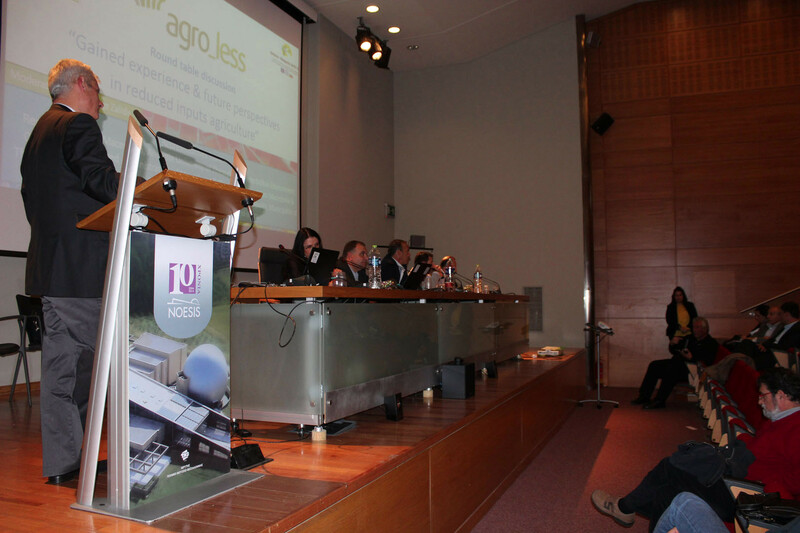 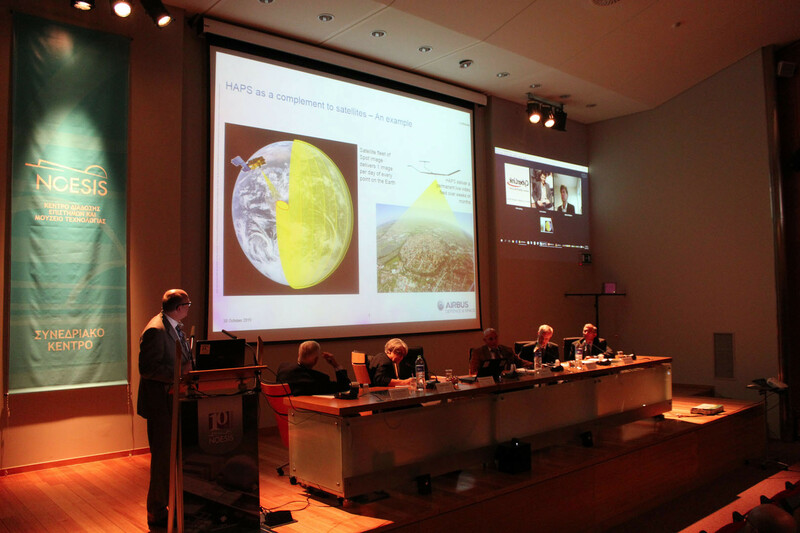 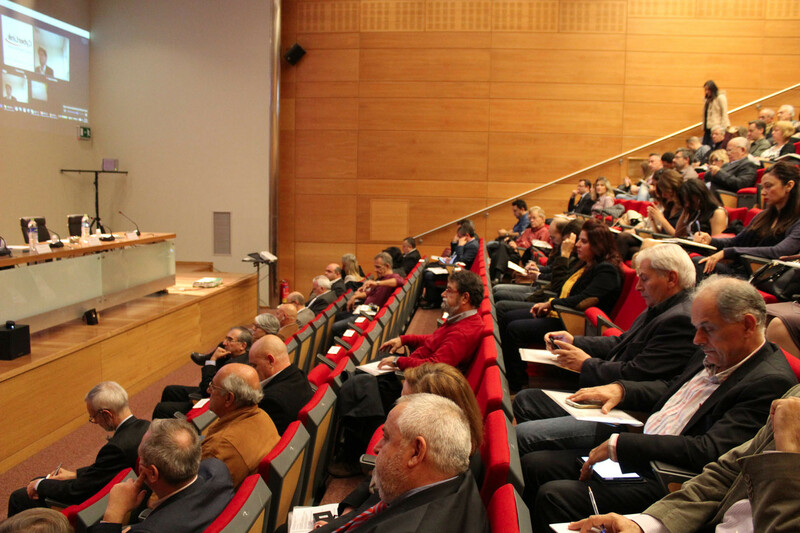 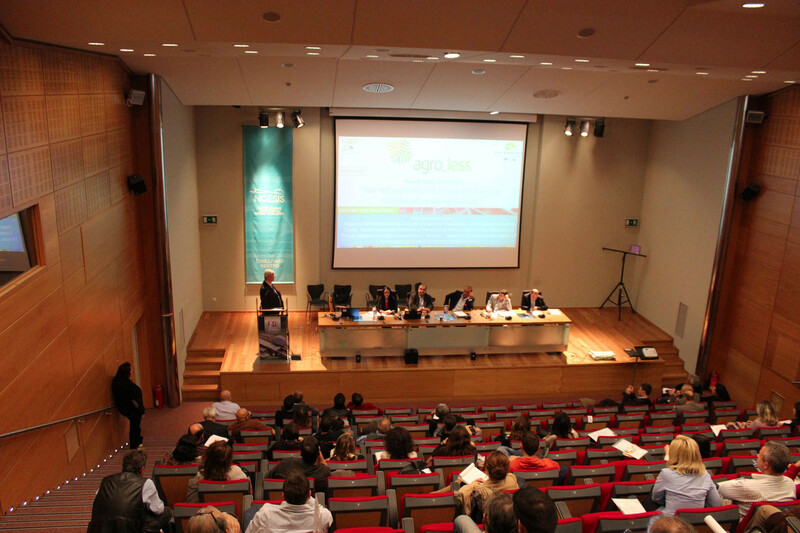 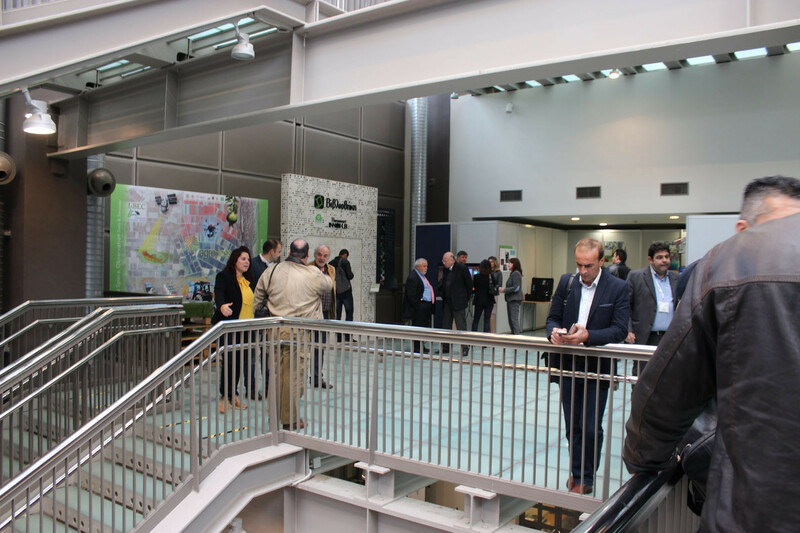 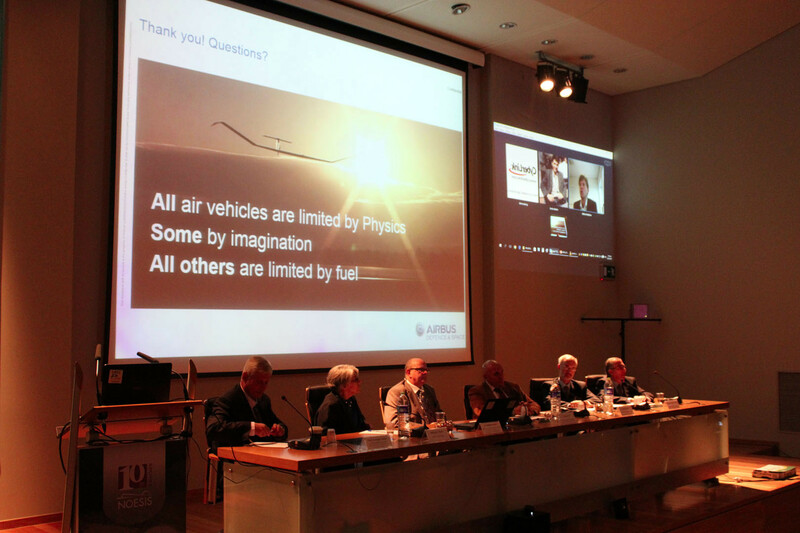 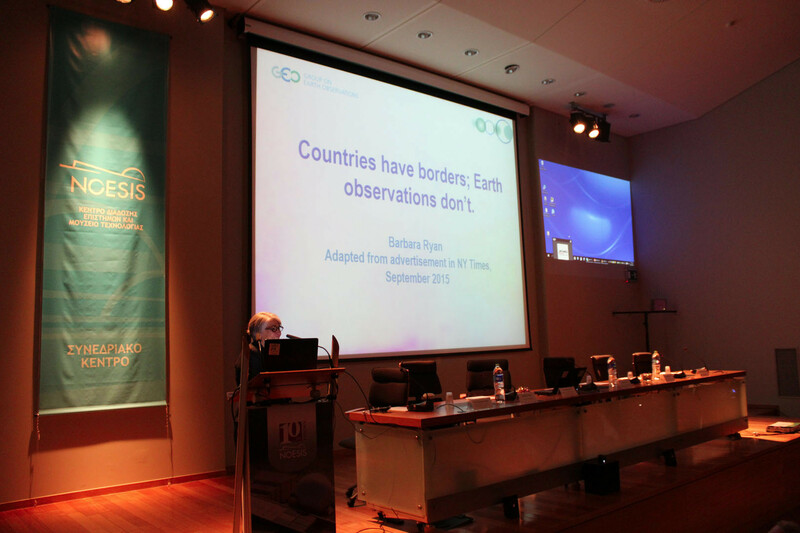 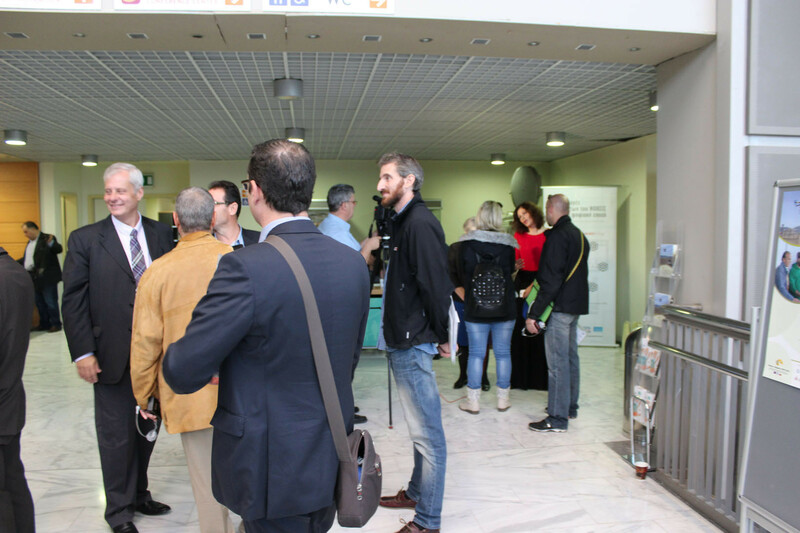 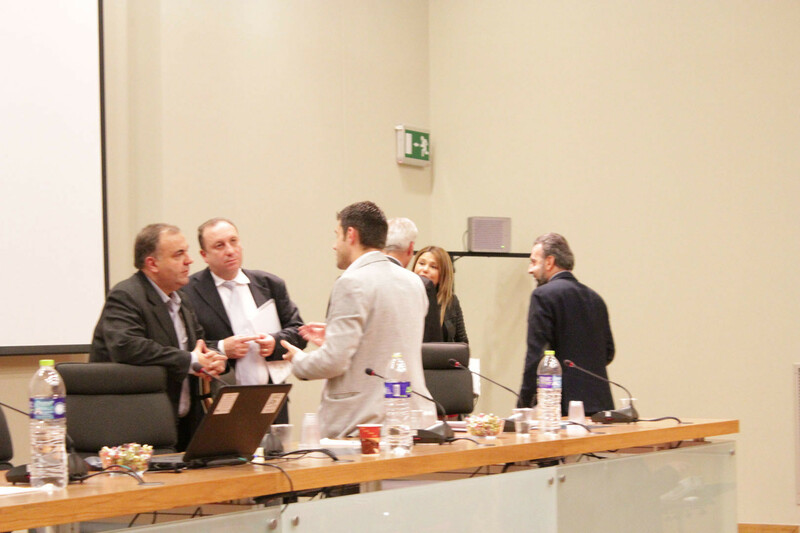 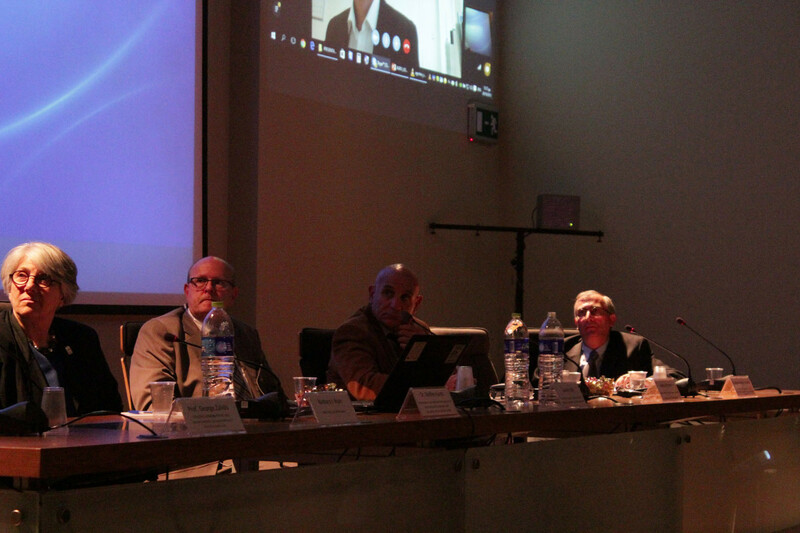 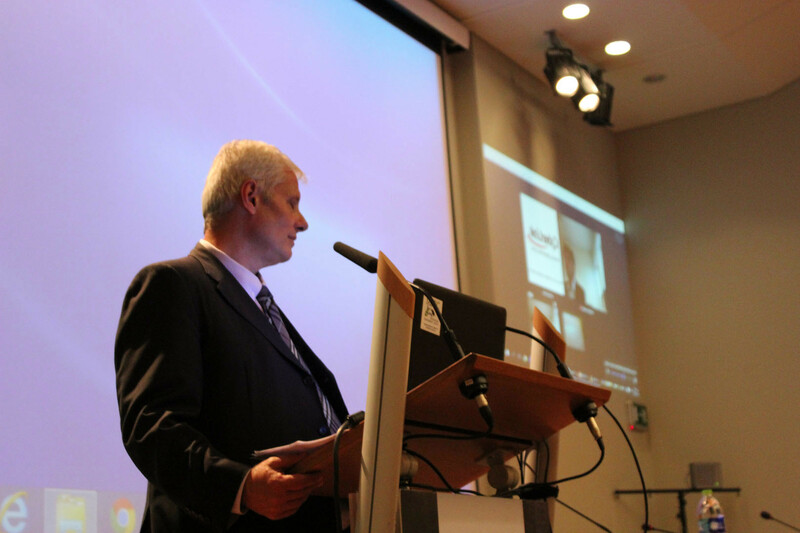 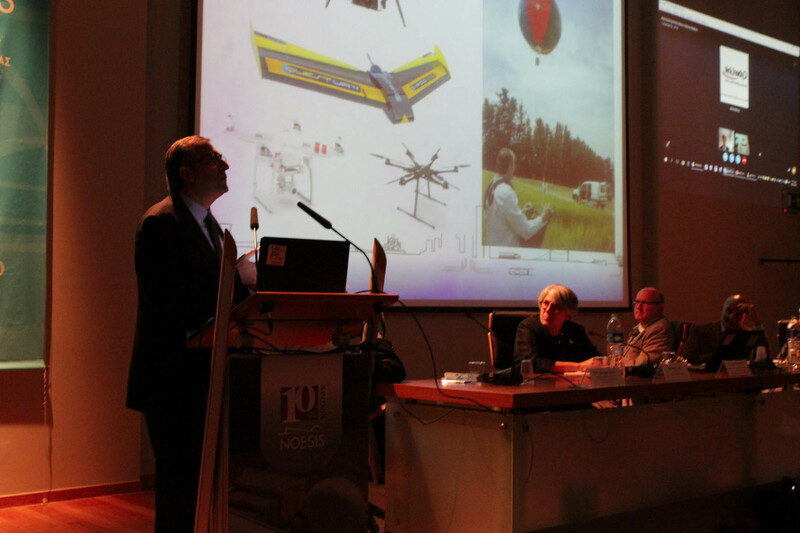 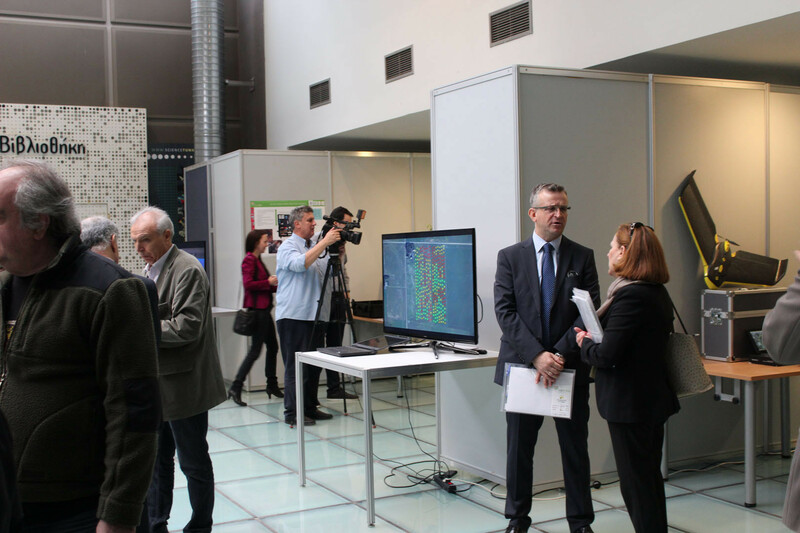 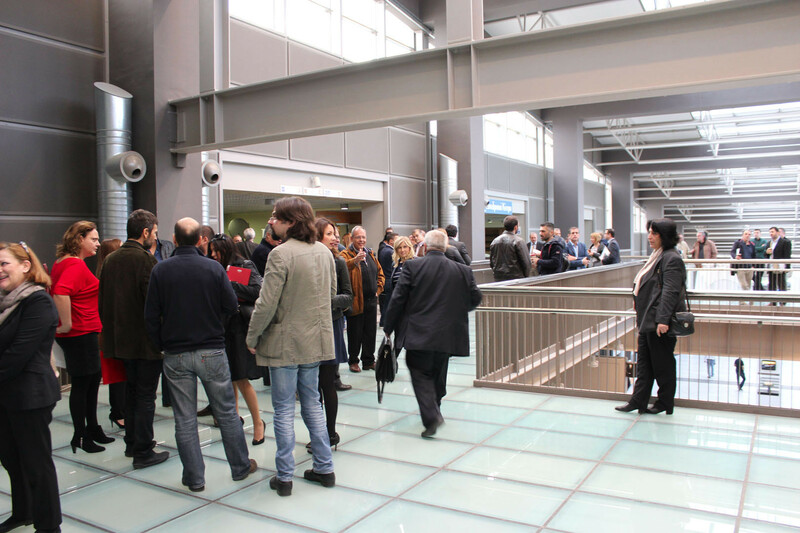 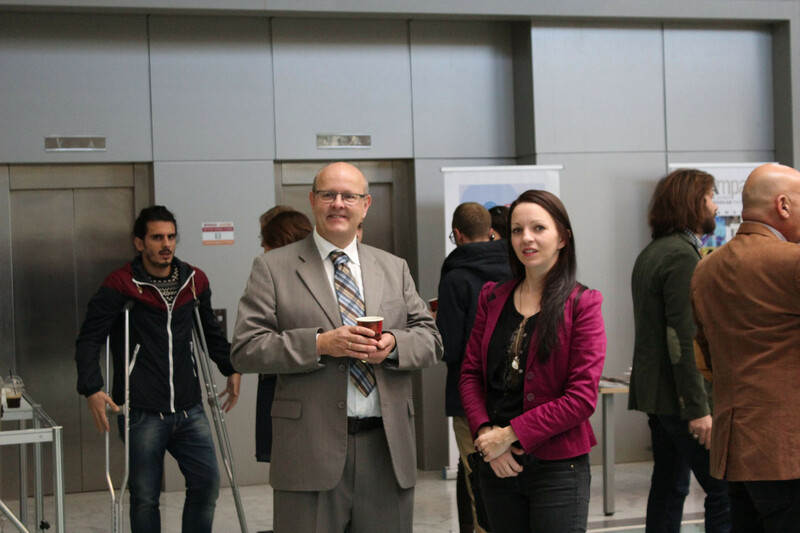 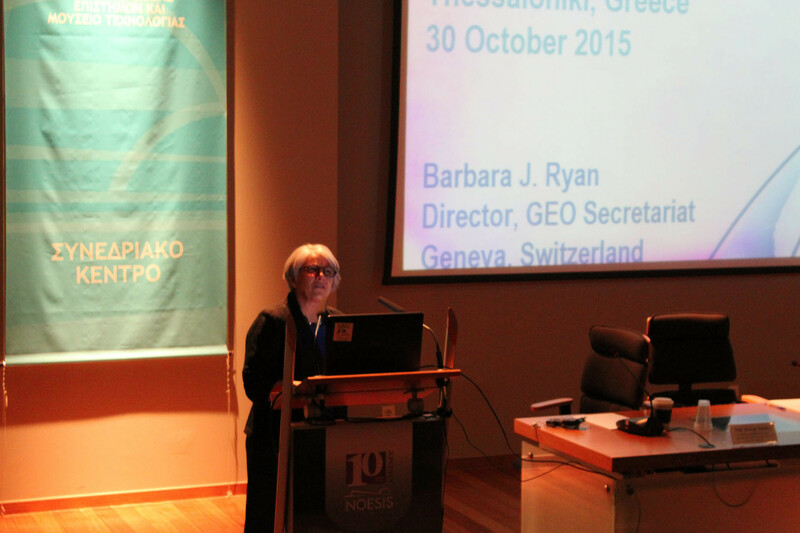 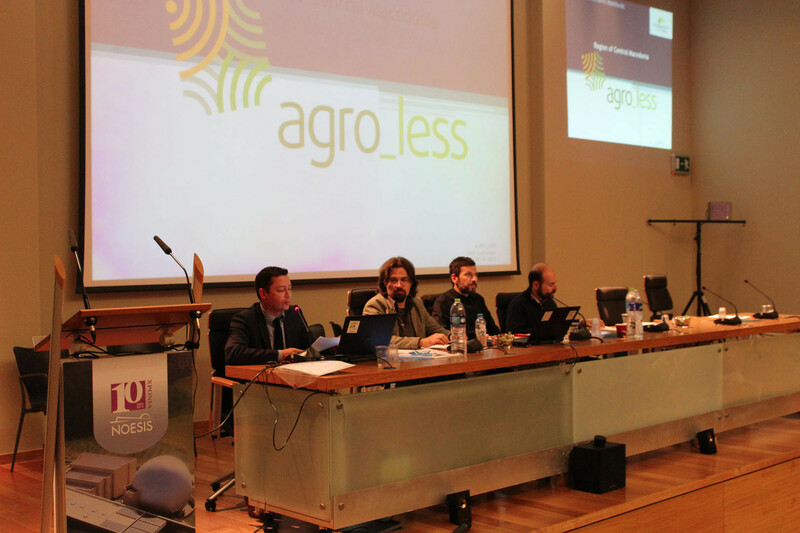 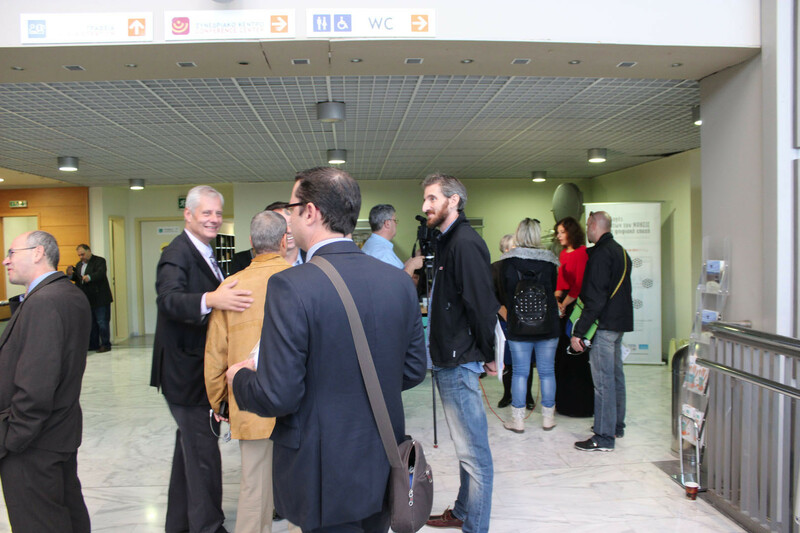 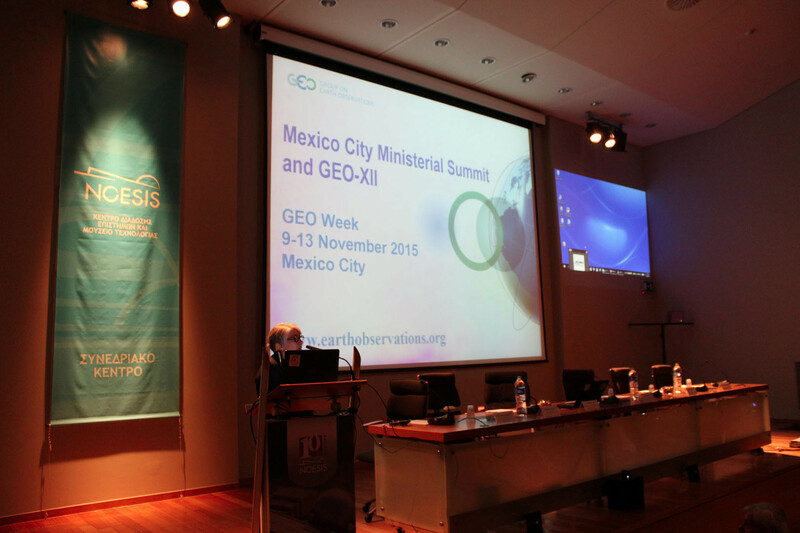 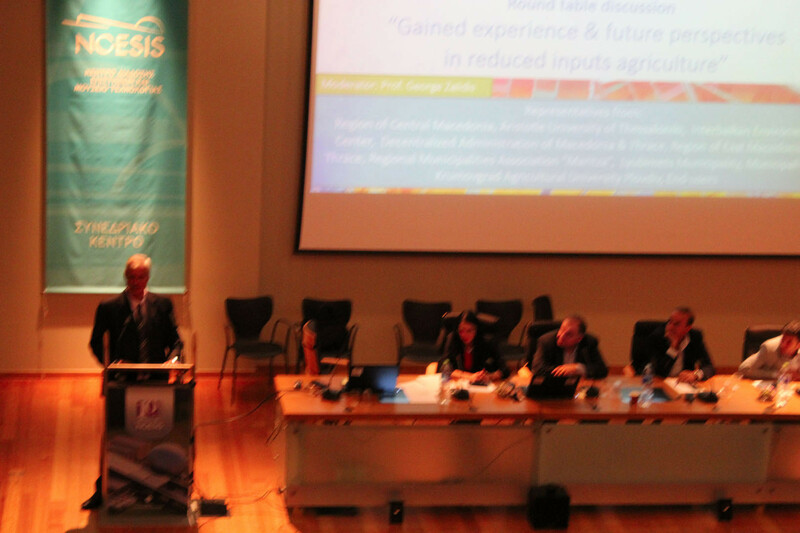 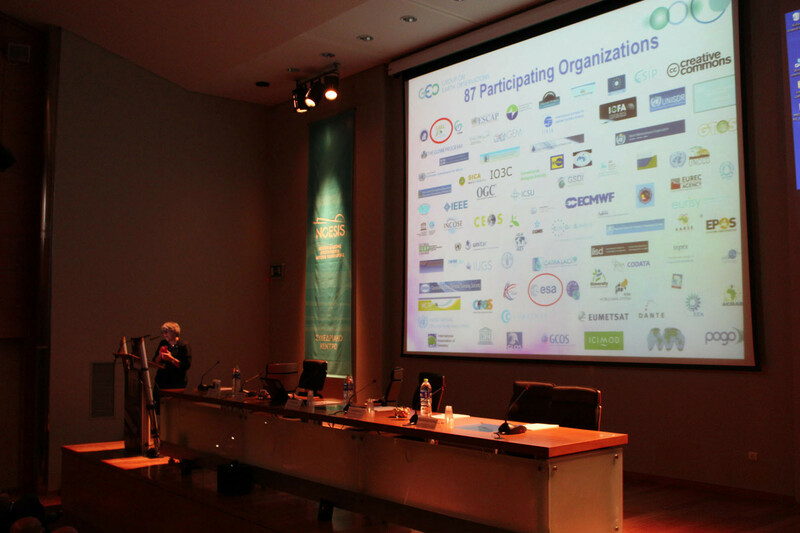 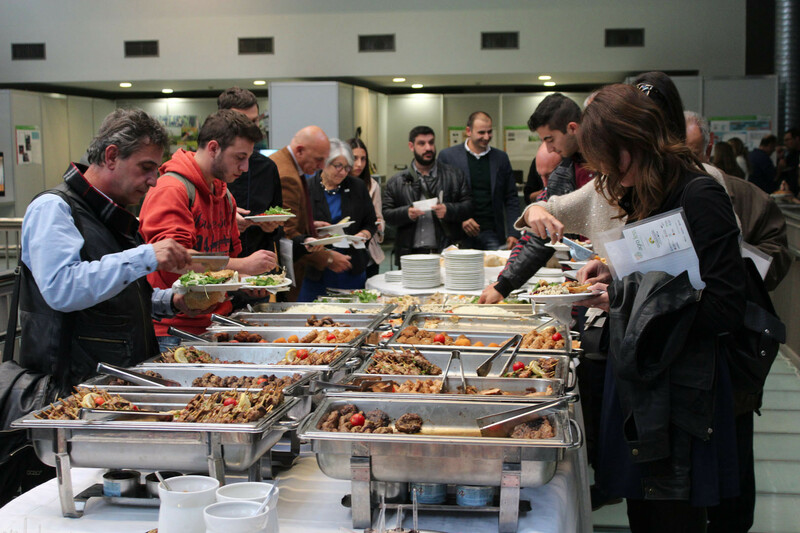 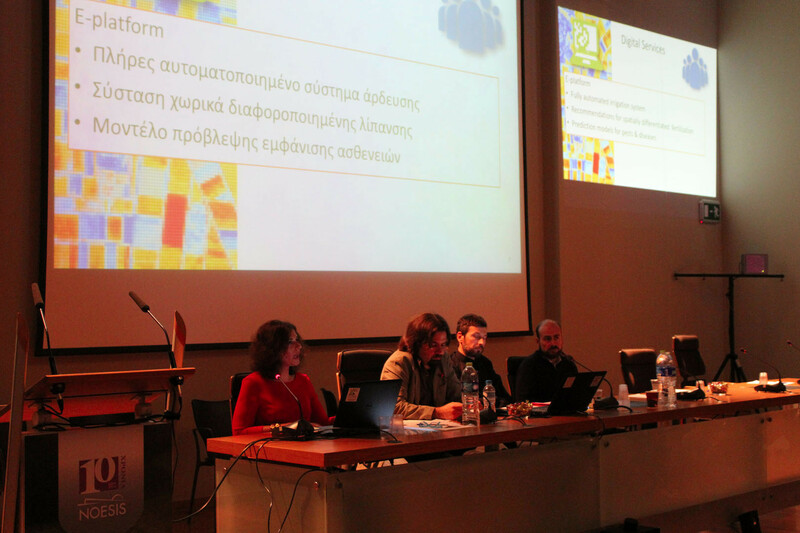 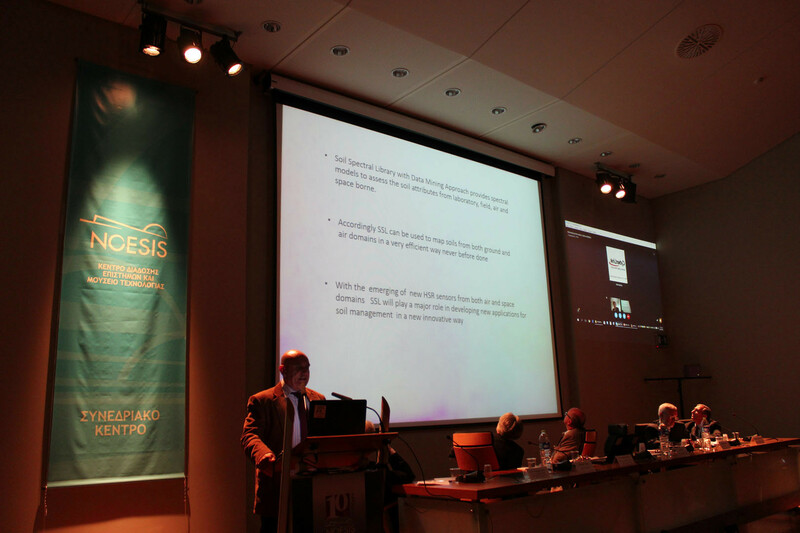 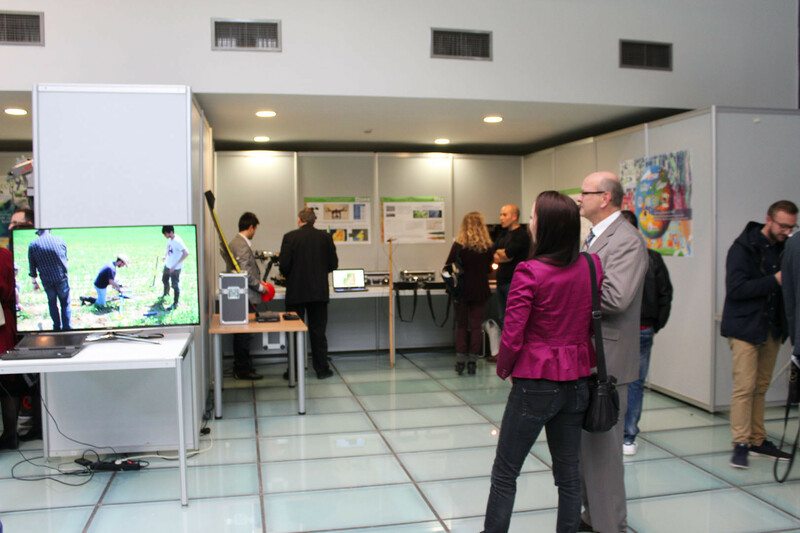 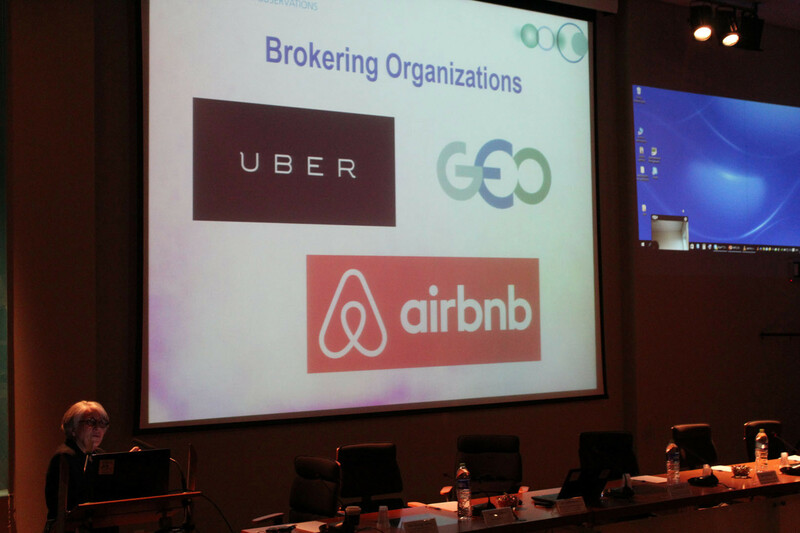 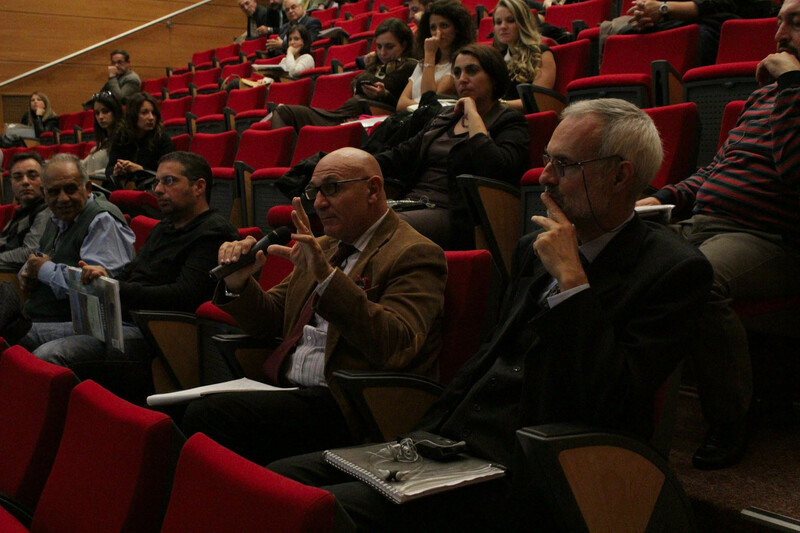 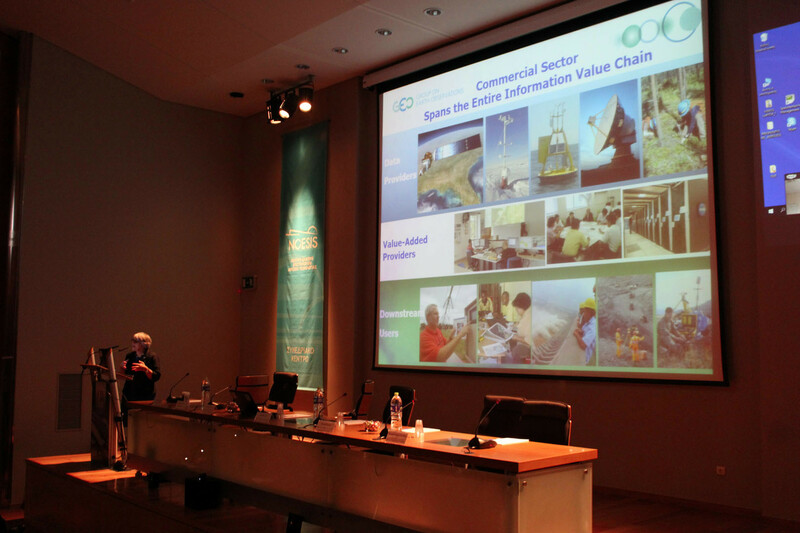 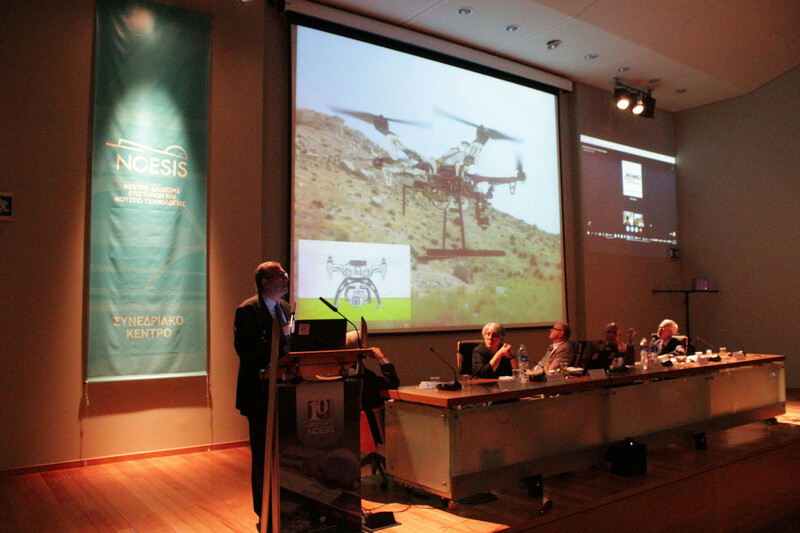 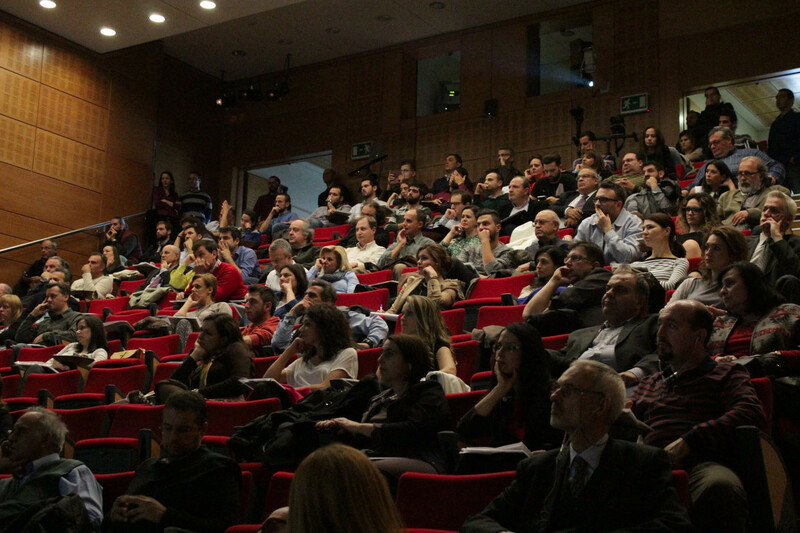 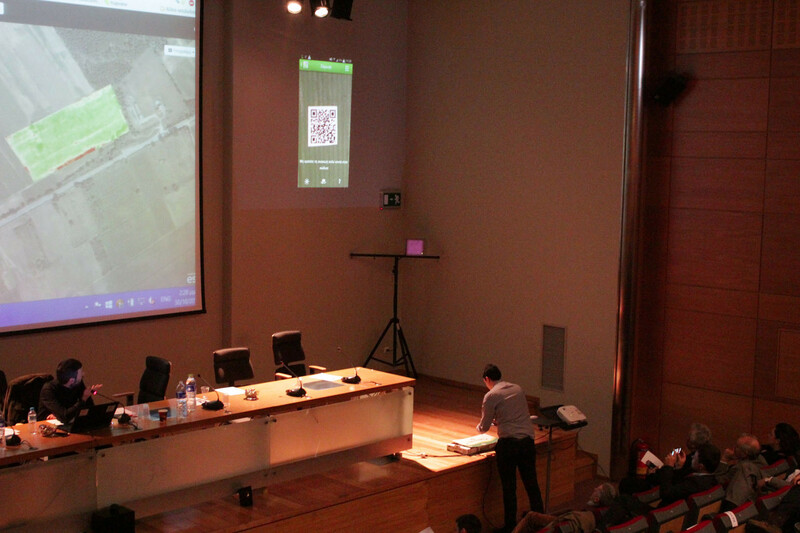 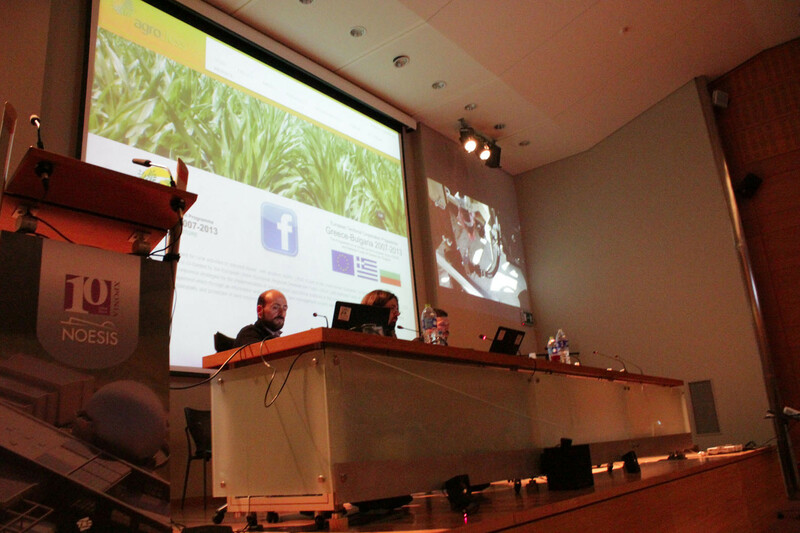 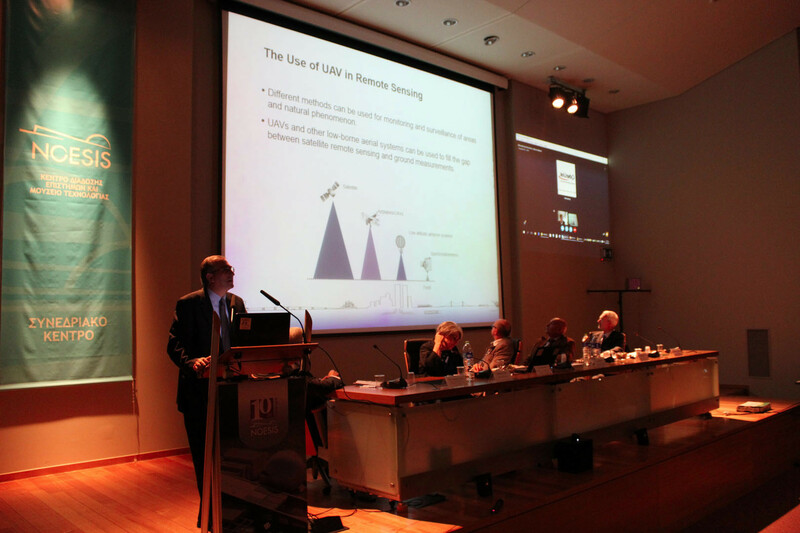 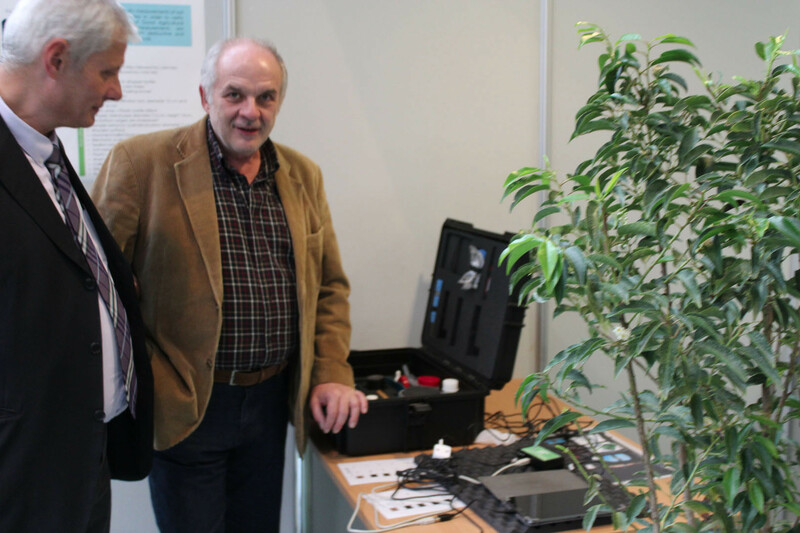 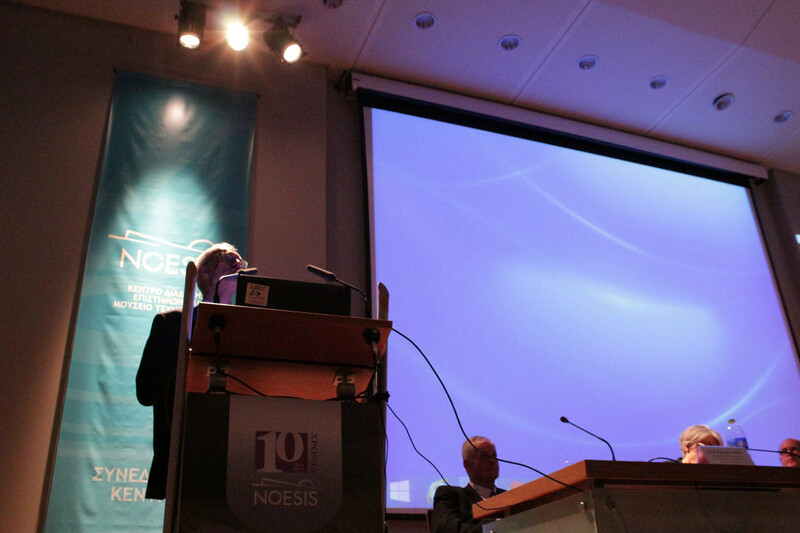 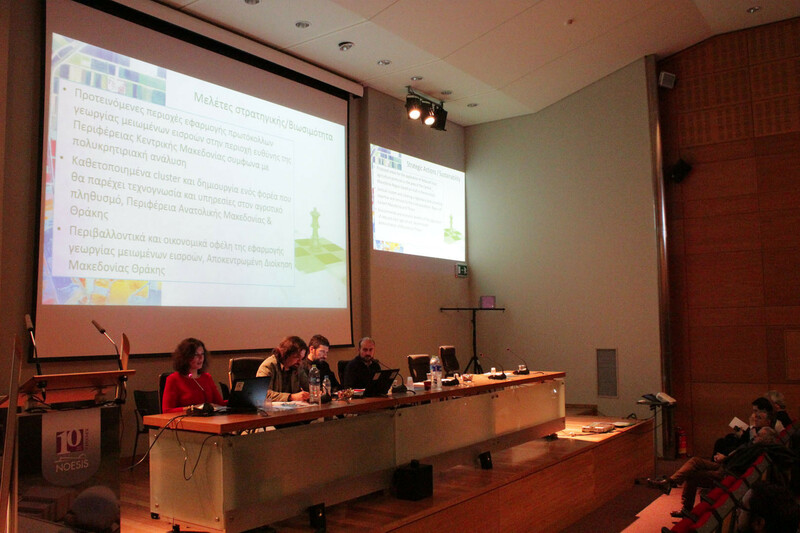 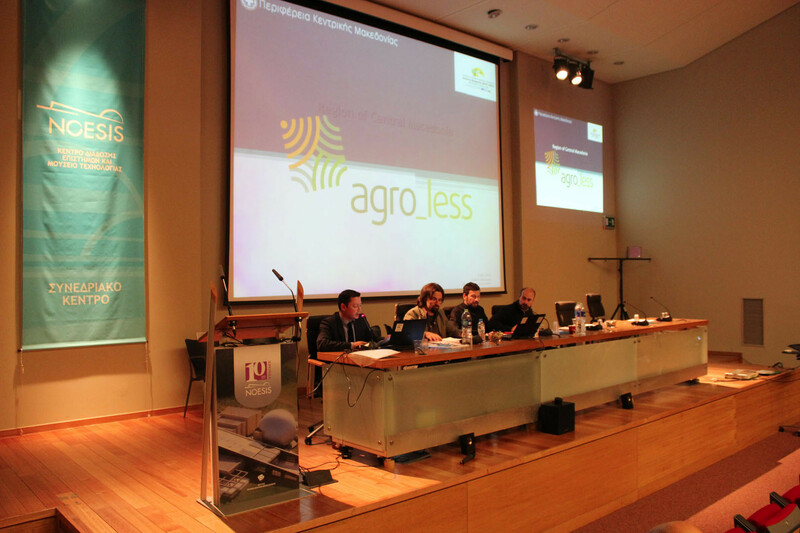 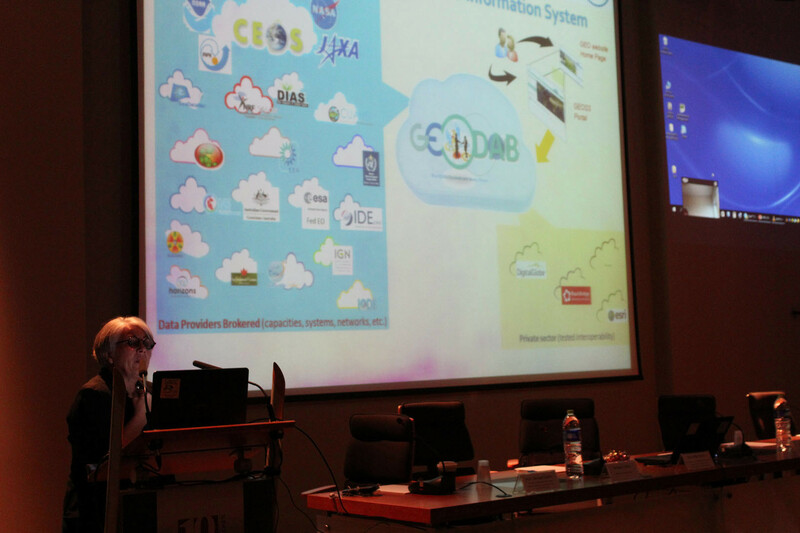 The conference entitled “The role of Earth Observation in Agriculture: towards creating reliable data and new services for a competitive Agri-Sector; The case of AGRO_LESS “, concluded with great success on Friday, October 30, 2015 at the Thessaloniki Science Center and Technology Museum, NOESIS in Thessaloniki. 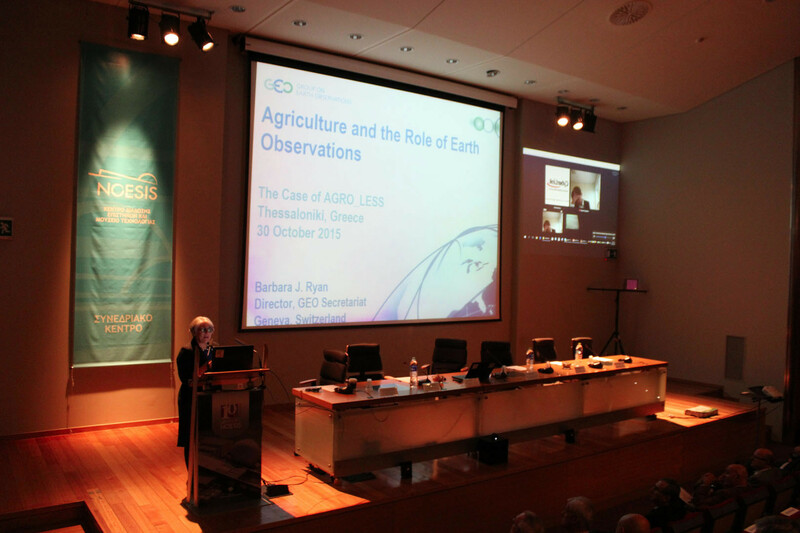 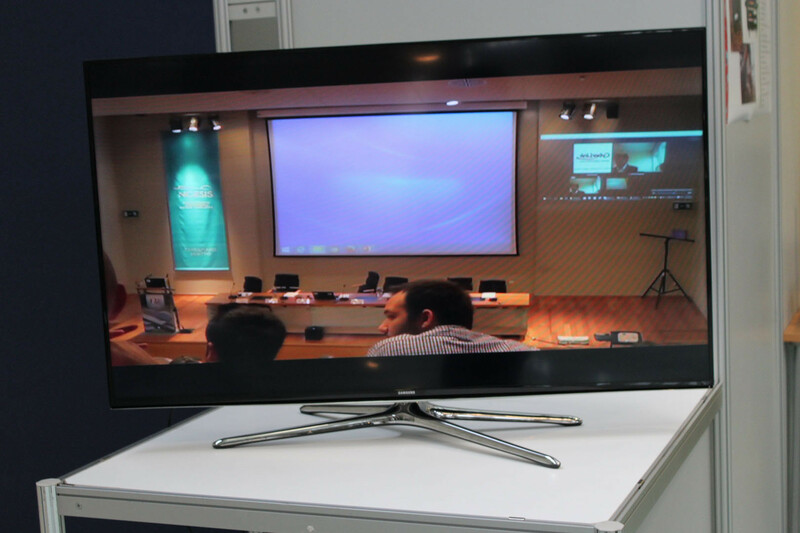 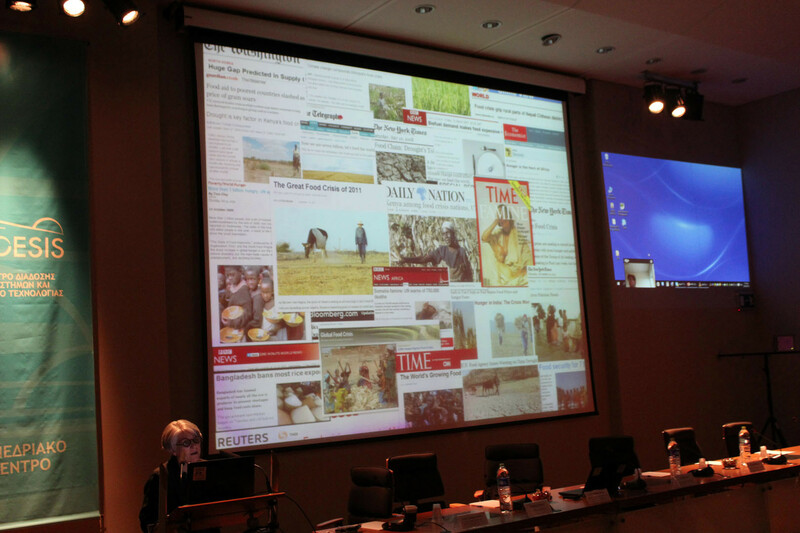 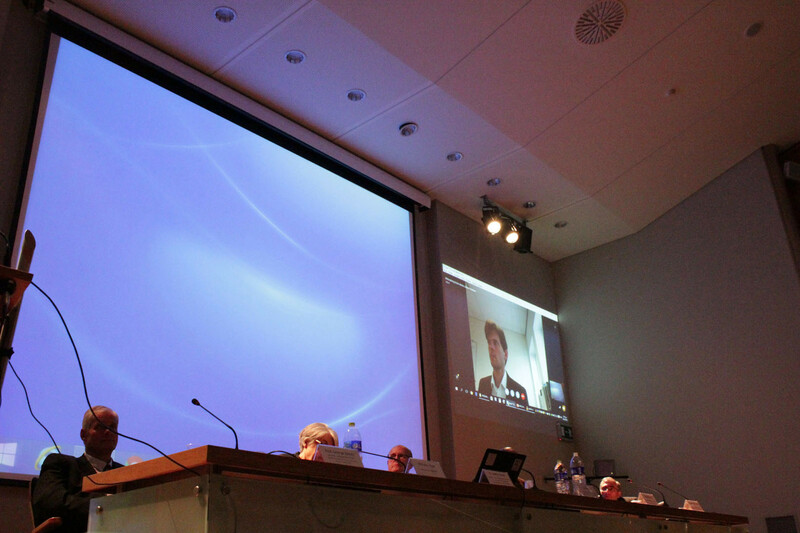 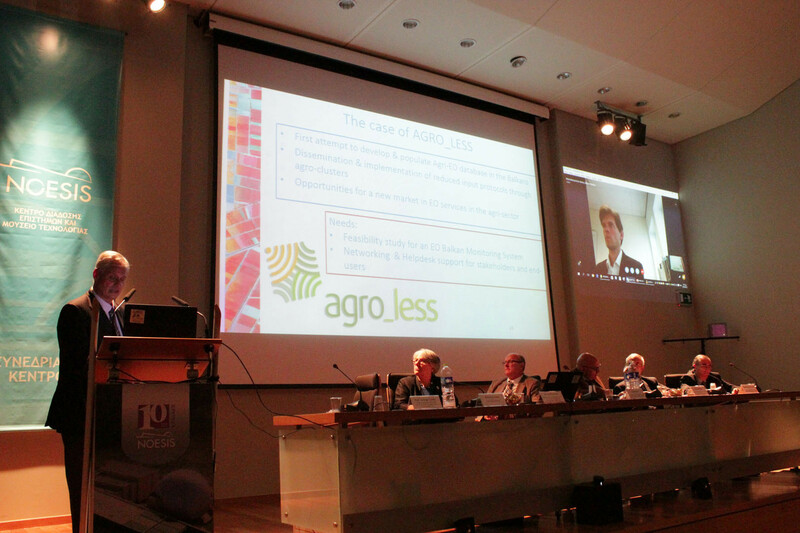 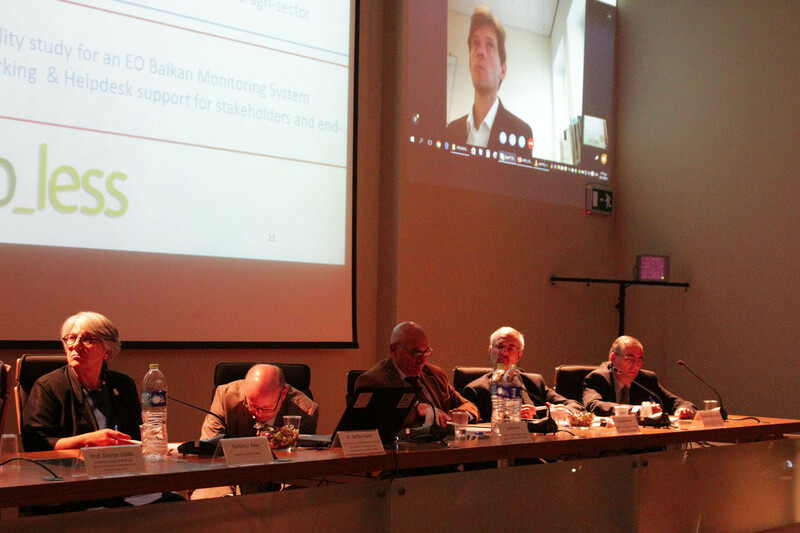 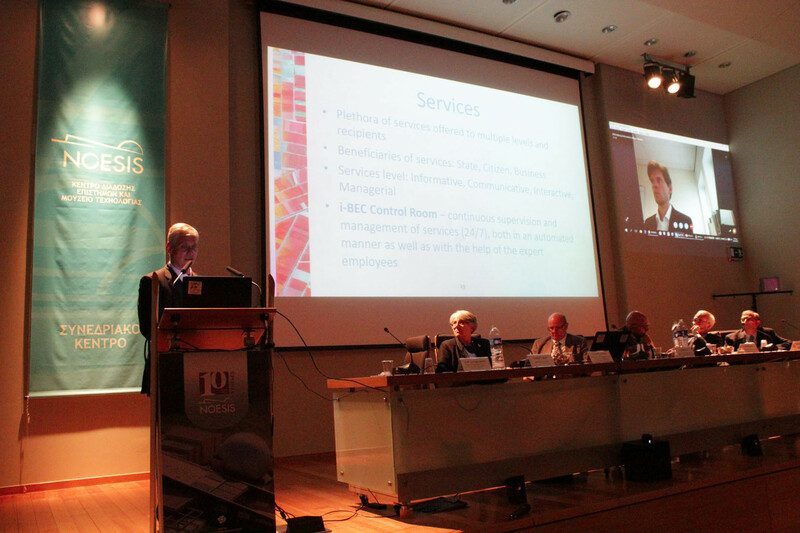 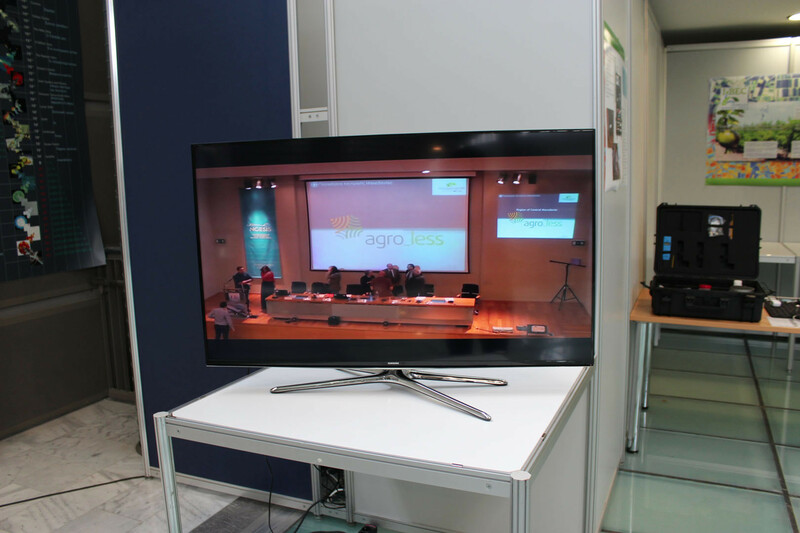 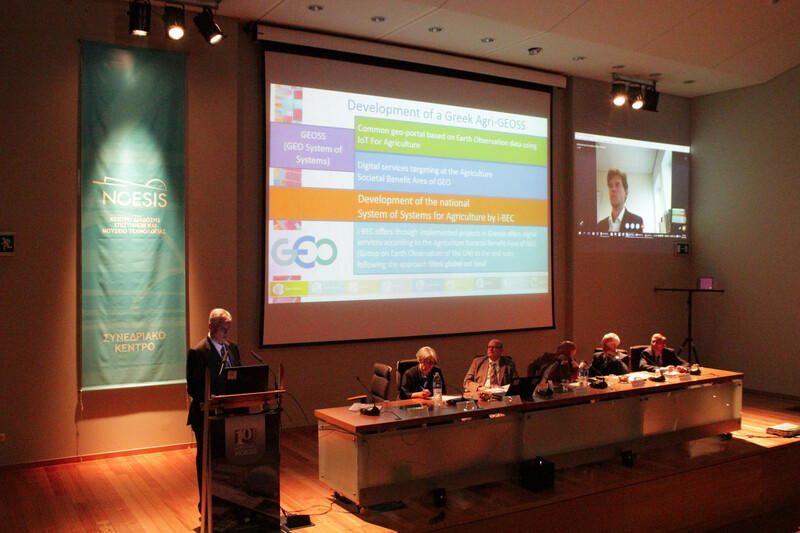 The international outreach conference, which a large number of people had the opportunity to watch worldwide via live-broadcast streaming, focused on how to use Earth Observation data to increase the competitiveness of the agricultural sector and was part of the project “Common reference strategies for reduced inputs agricultural activities “with the acronym« AGRO_LESS » under the European Territorial Cooperation Programme” Greece-Bulgaria 2007-2013 ” lead by, the Region of Central Macedonia. 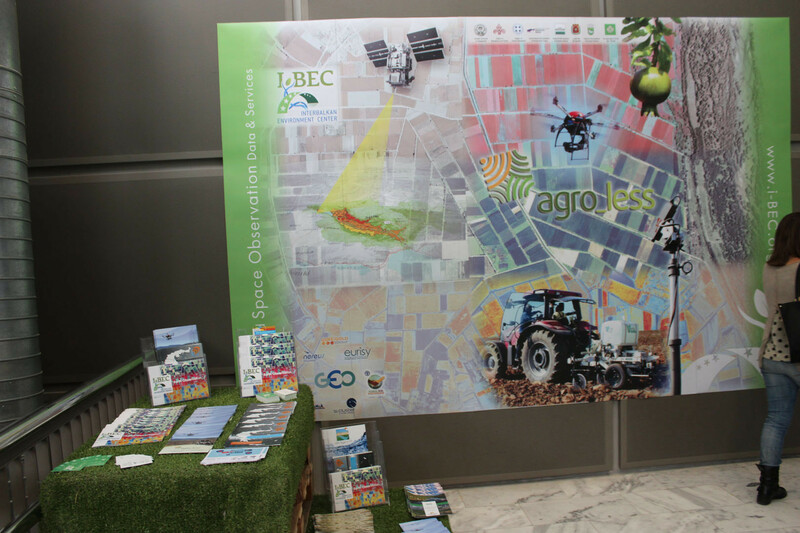 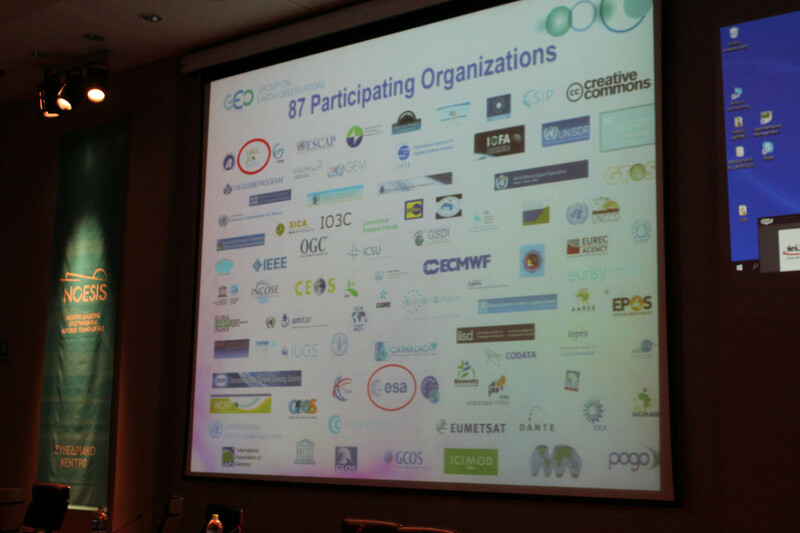 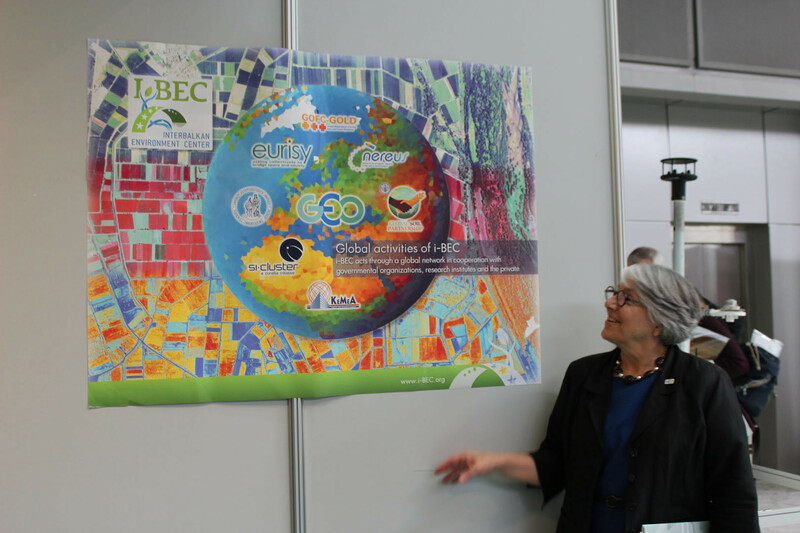 The conference was attended by distinguished scientists, regional and local officials from Greece and abroad, who submitted their experience on the role of EO in agriculture and highlighted the contribution of reliable data and new services created from Earth Observation to increase the competitiveness of the agricultural sector. 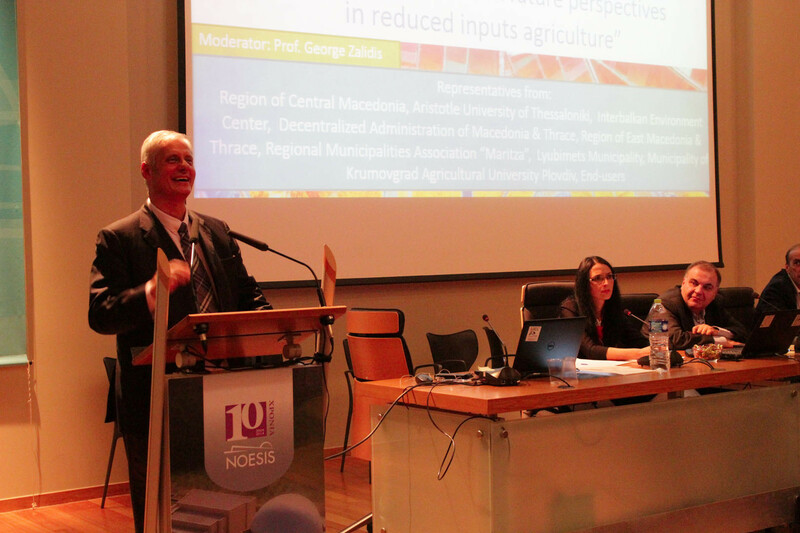 Of particular value was the presence of the Secretary General of the Ministry of Rural Development and Food, Mr. Nicholaos Stoupis, the greetings of which marked the start of the conference. 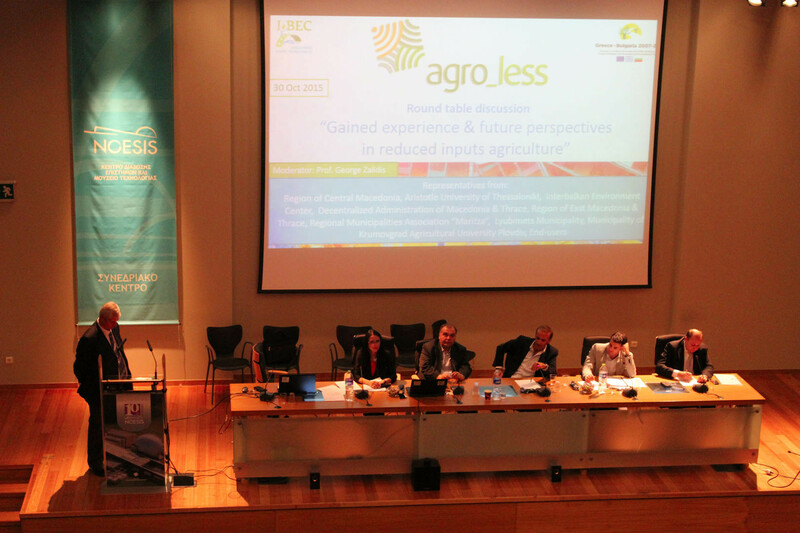 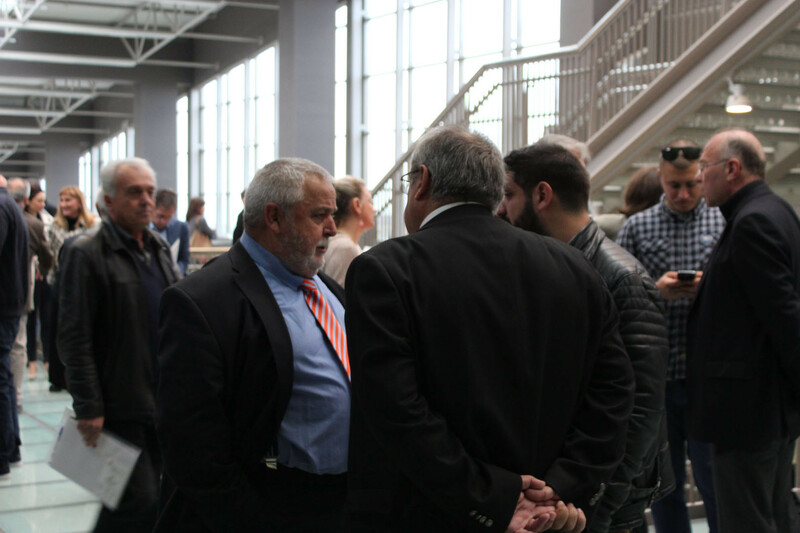 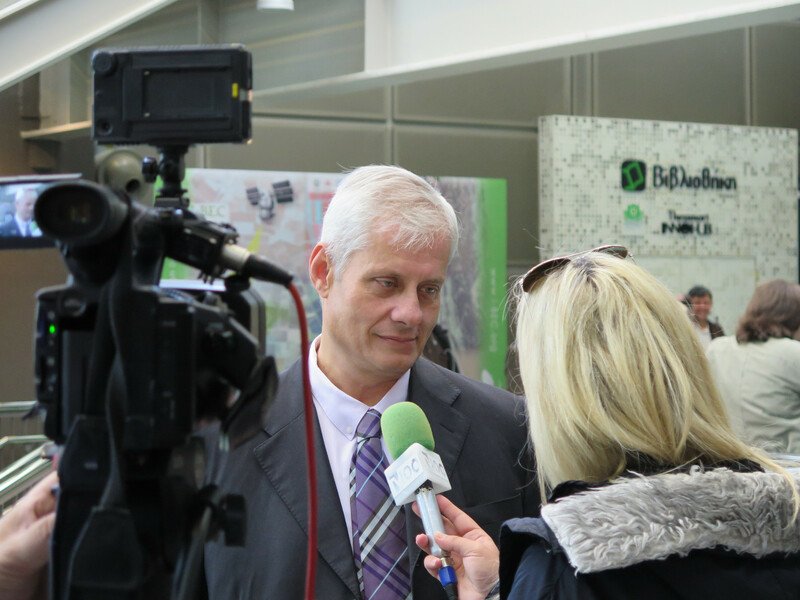 Mr. Stupis, having stressed the need for agricultural production with the smallest possible environmental footprint, praised the importance of the conference, stressing that its results will be taken very seriously by the political leadership. 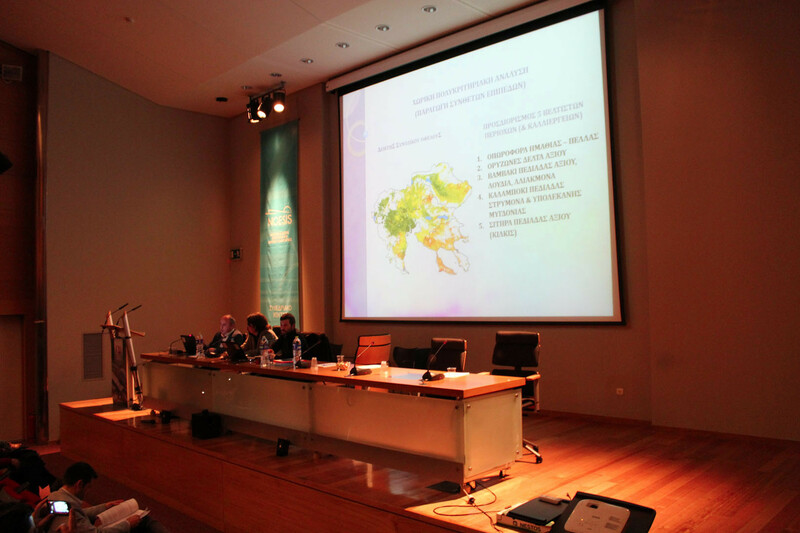 The Deputy Head of Rural Economy of the Region of Central Macedonia, Mr. Ioannis Tachmatzidis was also present and along with his greetings also announced the creation of a Soil map of Central Macedonia in order to design and implement directives for lower agricultural costs and greater efficiency. 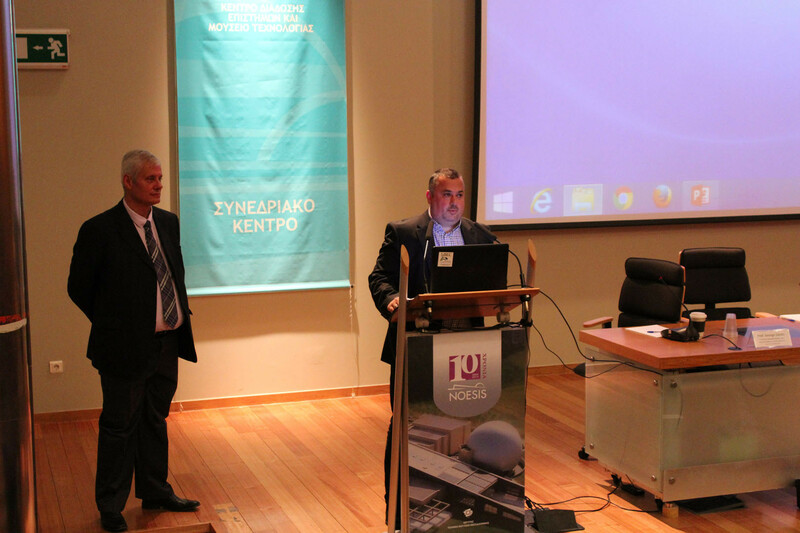 The conference greeted also Mr. Kyriakos Fotiadis, coordinator of the Joint Technical Secretariat of the OP European Territorial Cooperation “Greece-Bulgaria 2007-2013” and the Chairman of the Board the GCG, Mr. Spyros Mamalis. 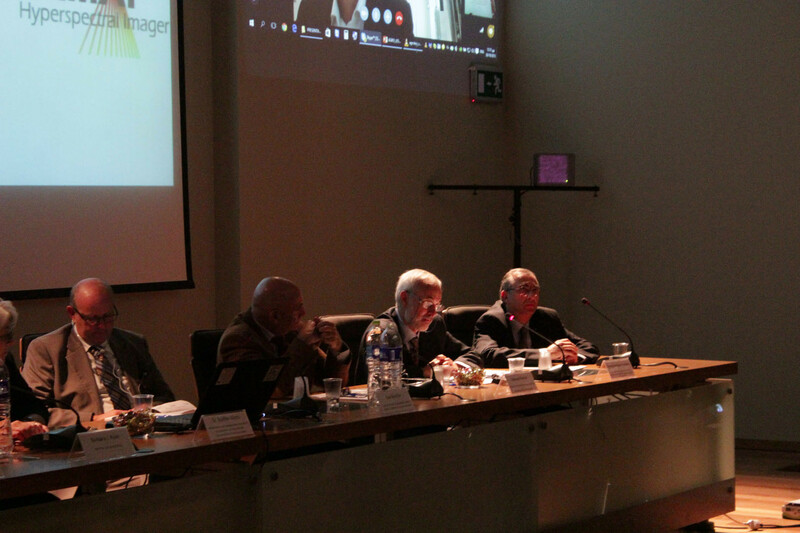 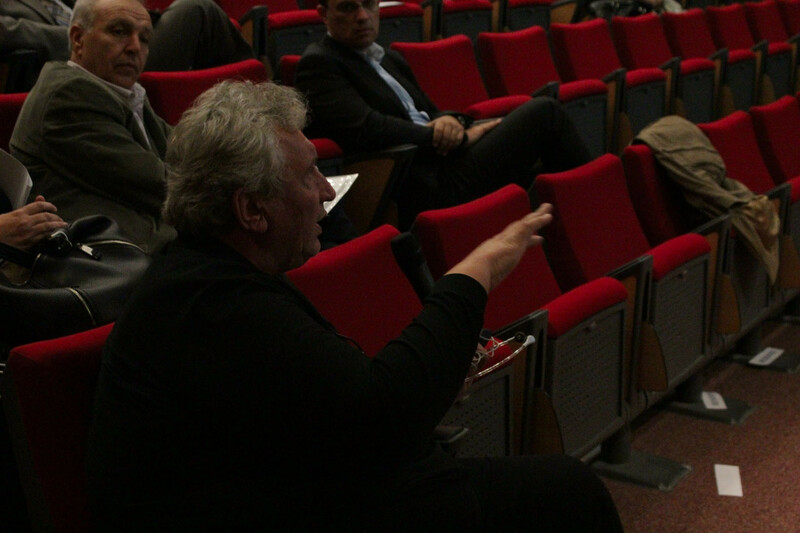 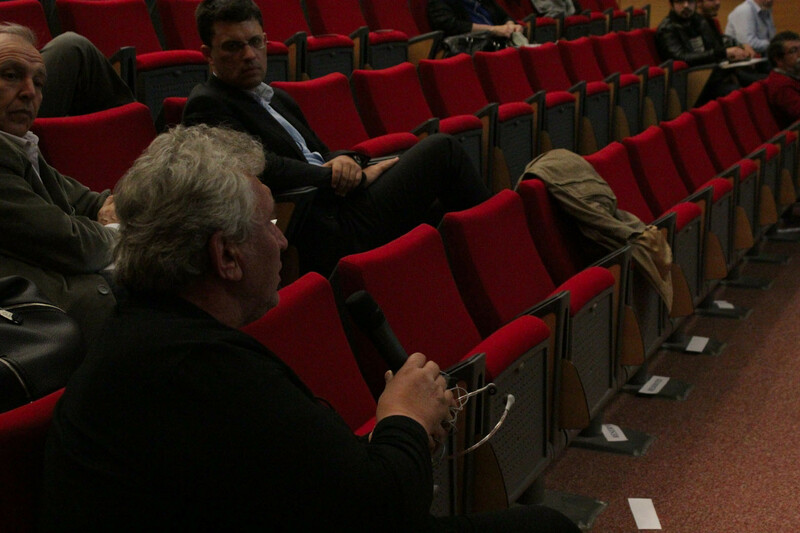 Of particular importance was the round table discussion, which was moderated by the Scientific Coordinator of InterBalkan Environment Centre, Prof. George Zalidis, through which the distinguished invited scientists explained their positions on the incorporation of new space, airborne and ground platforms in rural services. 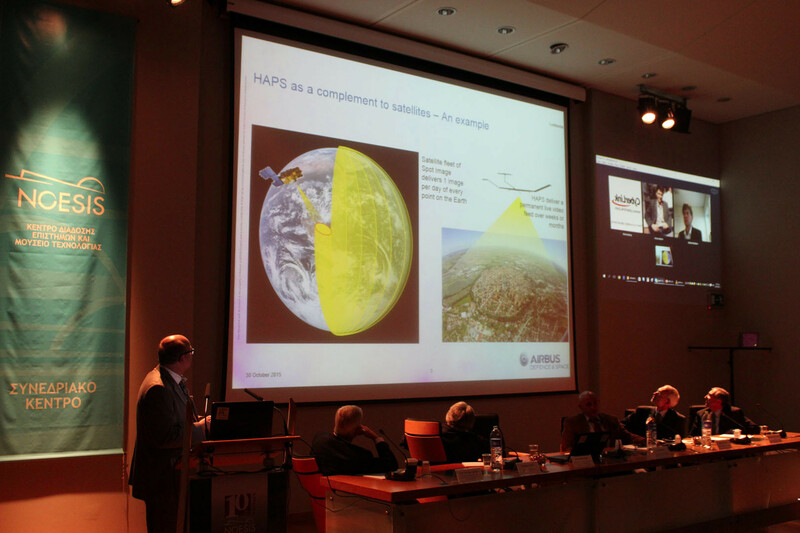 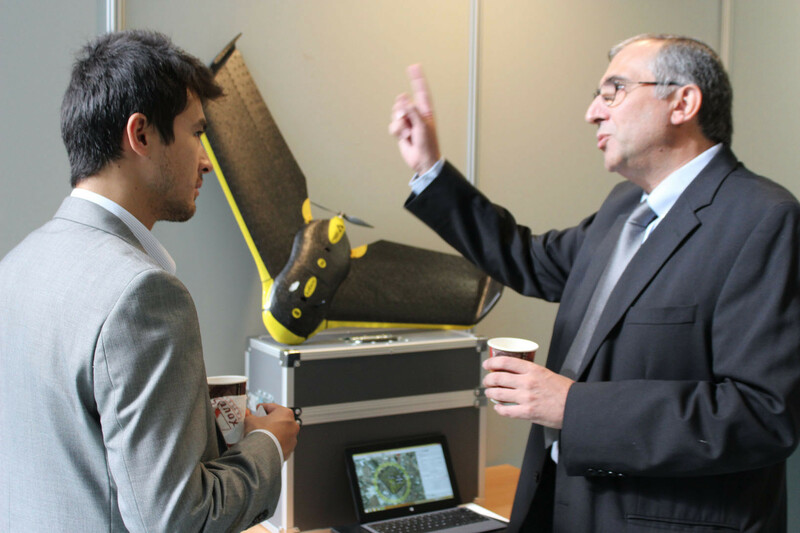 Specifically, Prof. Steffen Kuntz, member of the future Airbus Defence & Space satellite programs and Professor at the University of Freiburg, spoke about the high altitude platforms (High Altitude Pseudo-Satellites) and their use in reduced input agriculture. 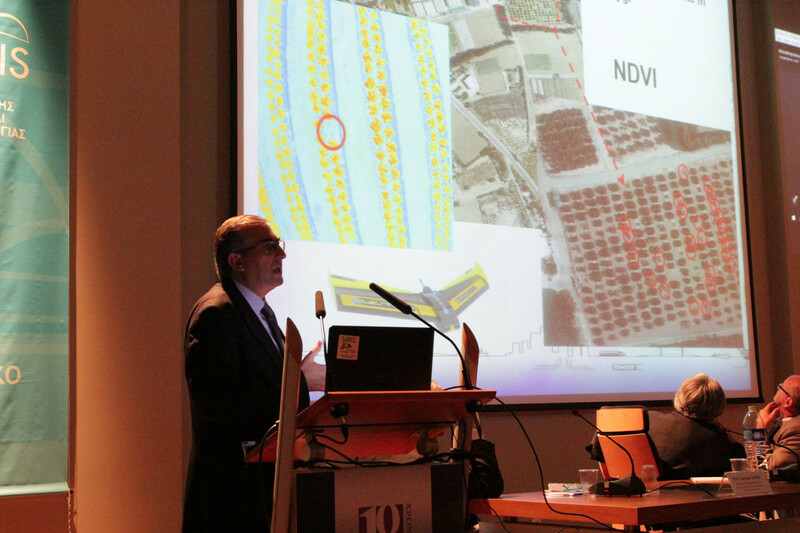 Prof. Eyal Ben Dor, Professor at Tel Aviv University and Head of the Laboratory of Geographic Information Systems, referred to the considerable opportunities that shape the spectroscopy of soil samples libraries (soil spectroscopy libraries) while Dr. Kyriakos Themistocles, Professor at the Technological University of Cyprus (Department of Civil Engineering and Geomatics), described the rapid development of technology of air unmanned aerial vehicles (drones) which form an integral tool in reduce input agriculture. 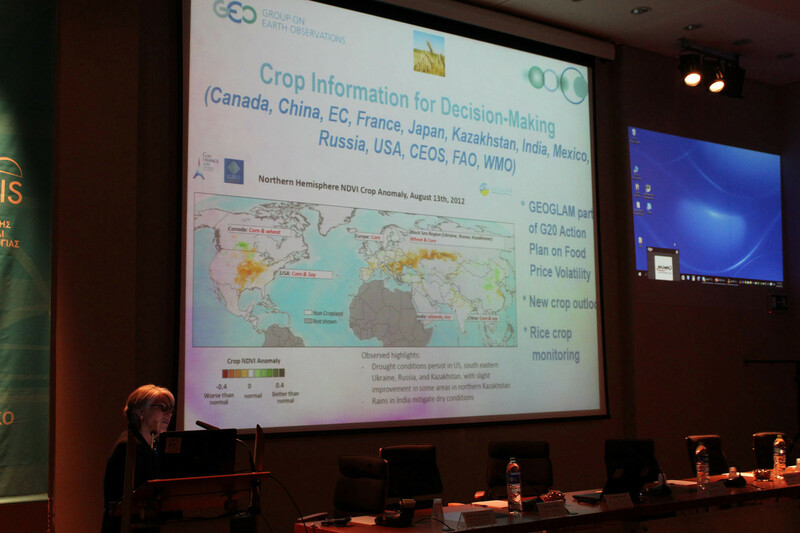 Mr. Bernard Pacher, consultant of meteorological networks and former CEO of Adcon Telemetry, stressed the need to educate farmers to realize the benefits of agriculture reduced flows and to apply correctly the corresponding protocols and underlined the value of the availability of the data held by each country to strengthen the agricultural sector. 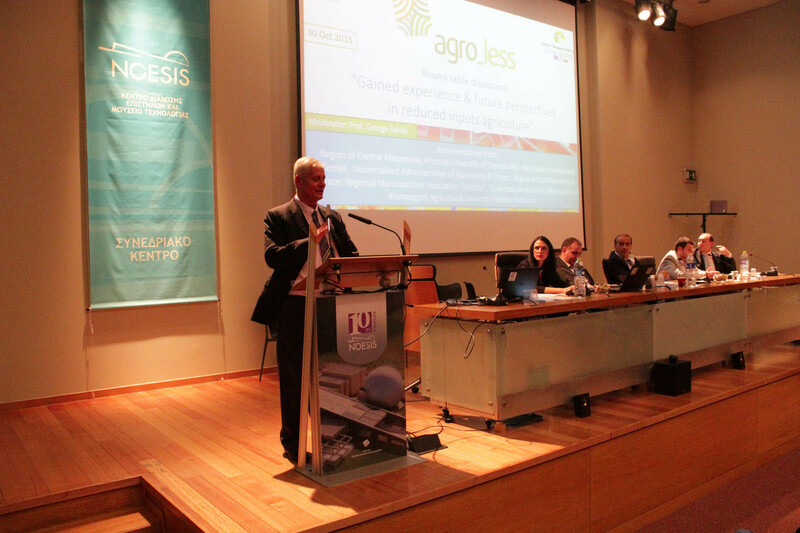 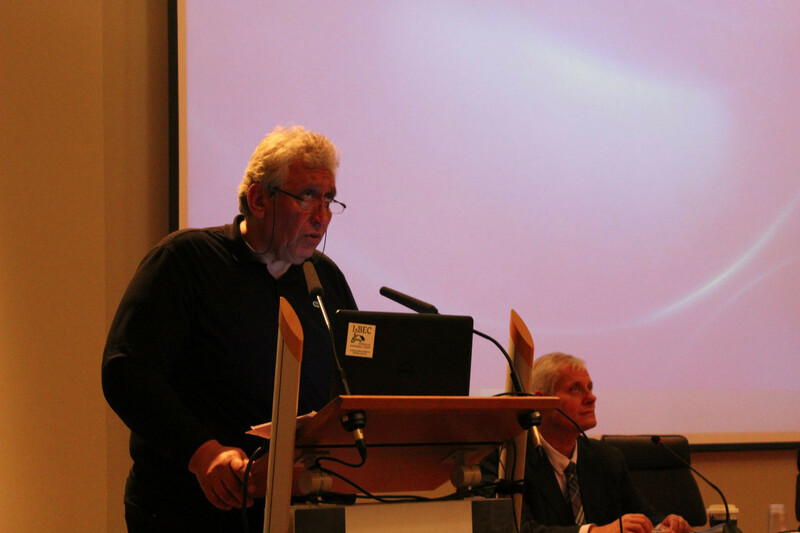 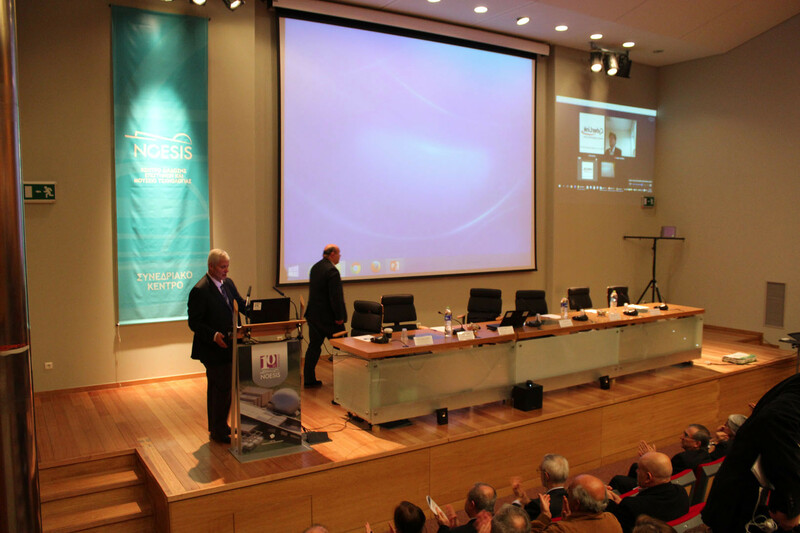 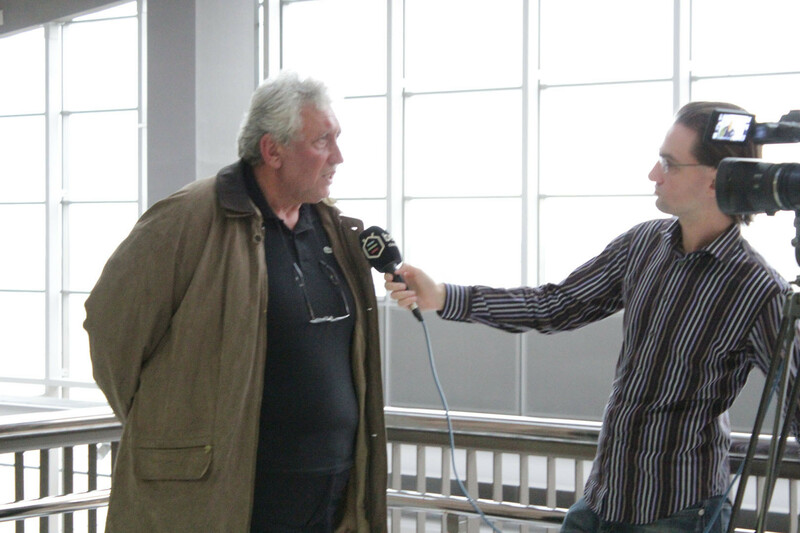 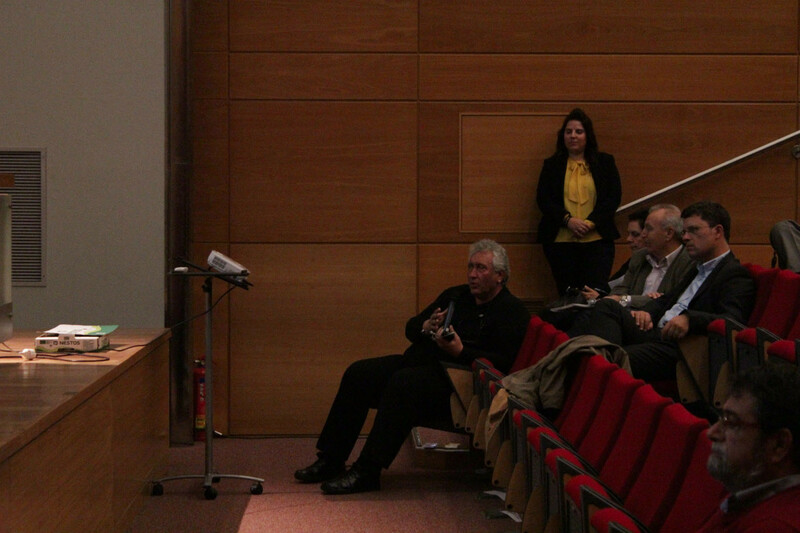 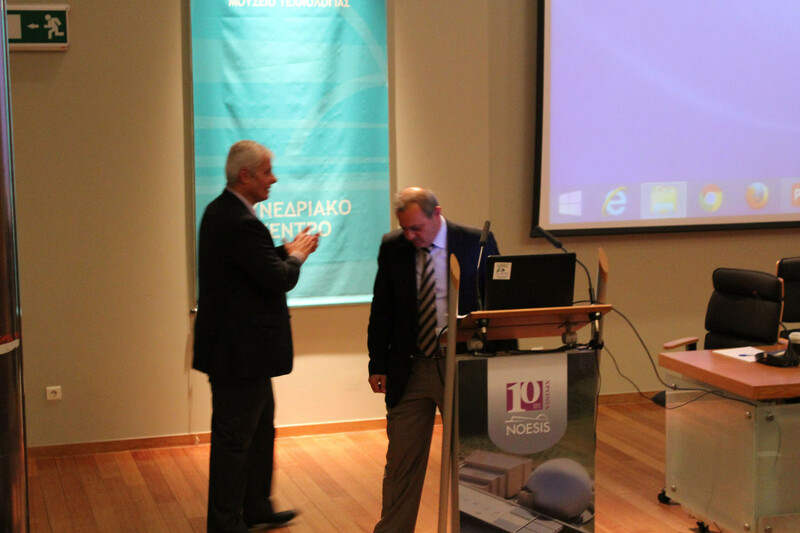 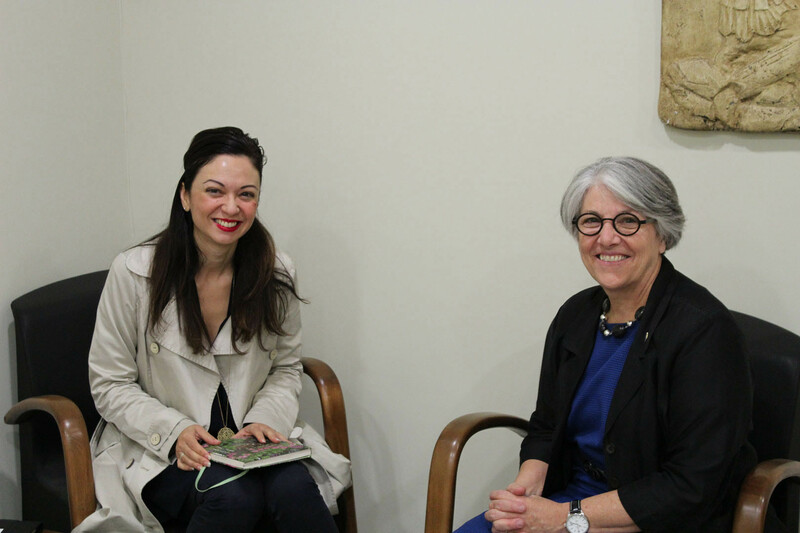 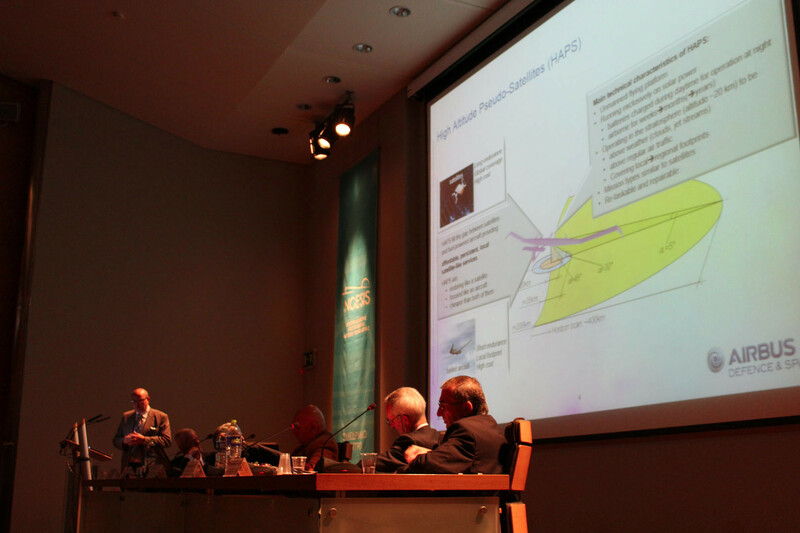 He stressed that through the use of Earth Observation data, the future of Greek agriculture and exports can be bright. 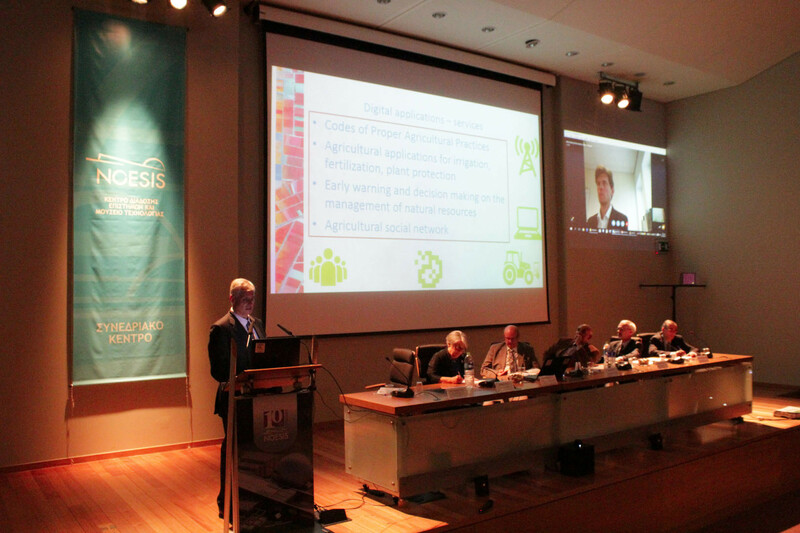 Interventions on the value of modern technological tools in reduced input agriculture made by videoconference from Mr. Mathew Bullock, Special Scientist of the European Space Agency, and Dr. Karlheinz Kreuzberg, President of Eurisy and former Head of the office of the General Director of the European Agency Space (ESA). 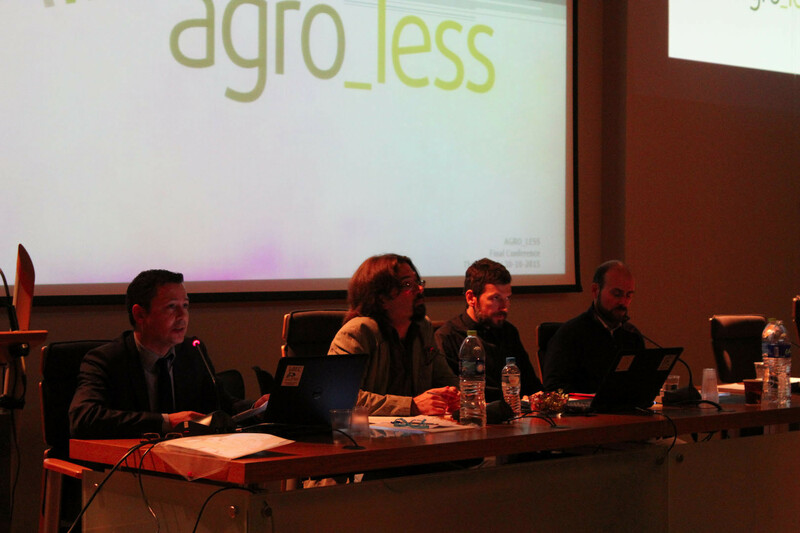 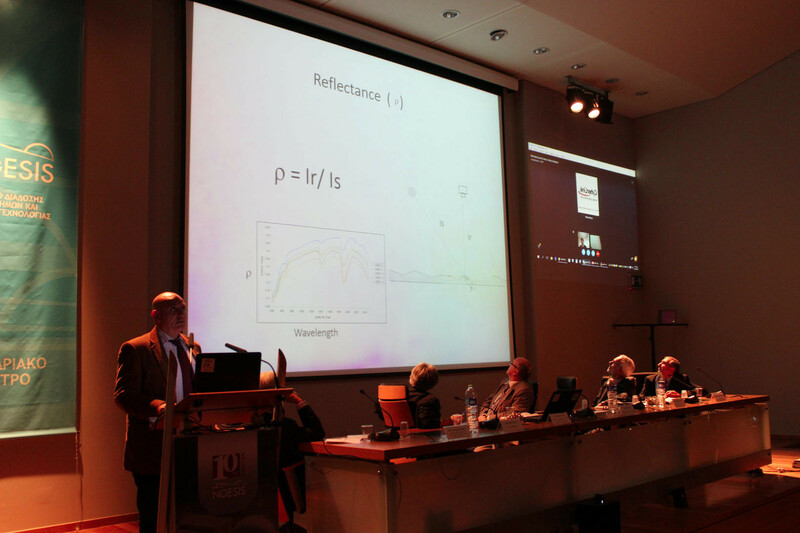 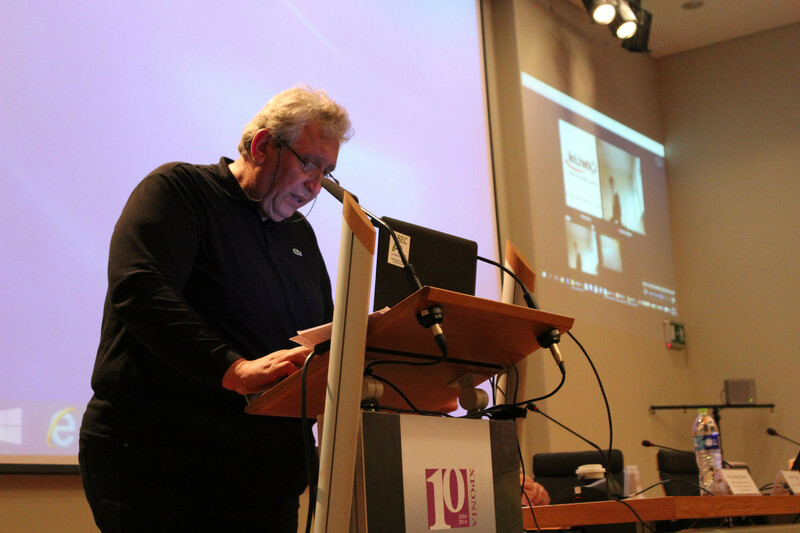 The analysis of the experiences of the international community followed the presentation for the project AGRO_LESS, an innovative project for the Greek reality, by the representative of the Region of Central Macedonia, Mr. Konstantinos Michailidis. 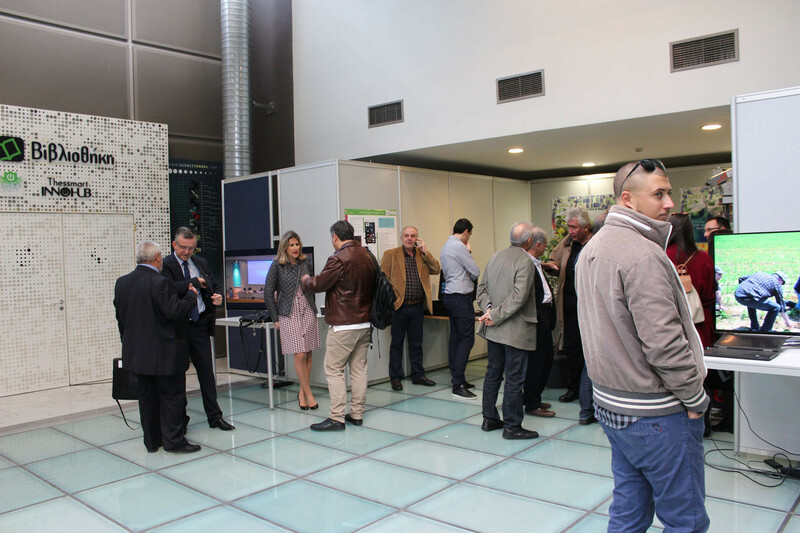 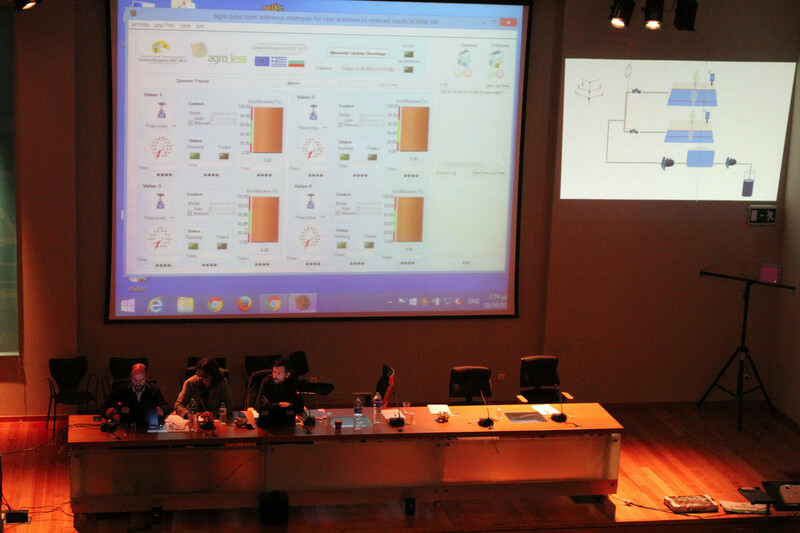 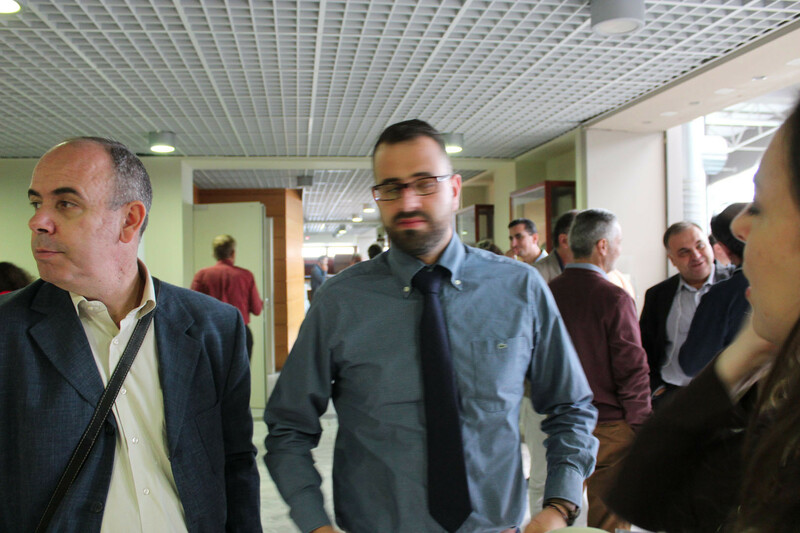 The scientific team of the InterBalkan Environment Centre (i-BEC) followed, which demonstrated the digital services developed by the Organisation for the spatiotemporal recommendations for irrigations, fertilization and pest control and how they are applied in pilot regions of Central Macedonia and the Region Eastern Macedonia and Thrace. 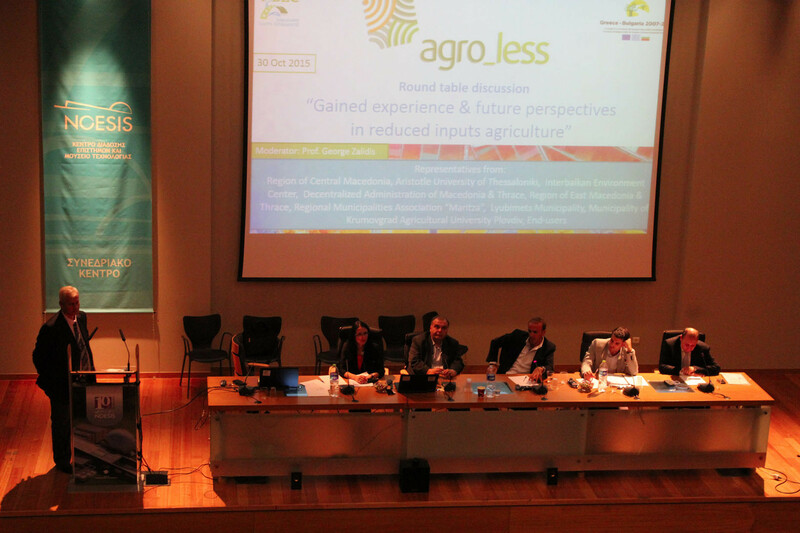 The project partners AGRO_LESS from Greece and Bulgaria, and Mr. George Charalambous, representative of the Joint Technical Secretariat of the “Greece-Bulgaria 2007-2013”, by participating in a round table discussion, analyzed the results and experience gained from the AGRO_LESS project combined with sustainability and future prospects of agricultural practices reduced input, not only in Greece and Bulgaria but to the whole region. 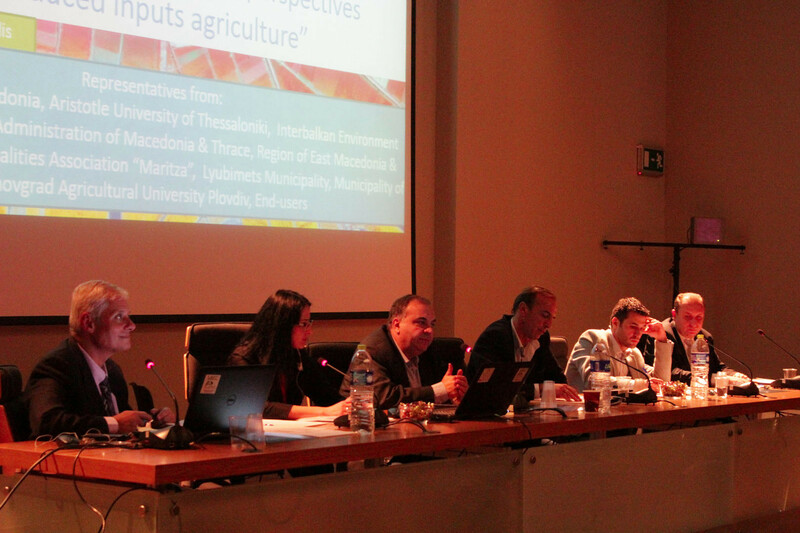 Of utmost importance was the participation in the round table discussion of the End User of the project, Mr. Tassos Karkatzalou of the Agricultural Cooperative “NESTOS”, who emphasized that the practices of reduced input agriculture are a must for rural cooperatives, and the application thereof as shown by the results of the project lead in the reduction of agricultural production costs, reduce the ecological footprint and increase the competitiveness of the products. 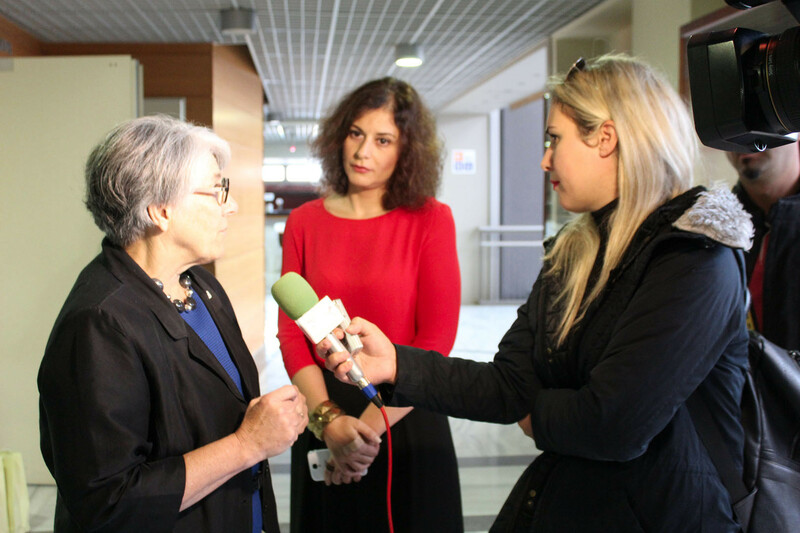 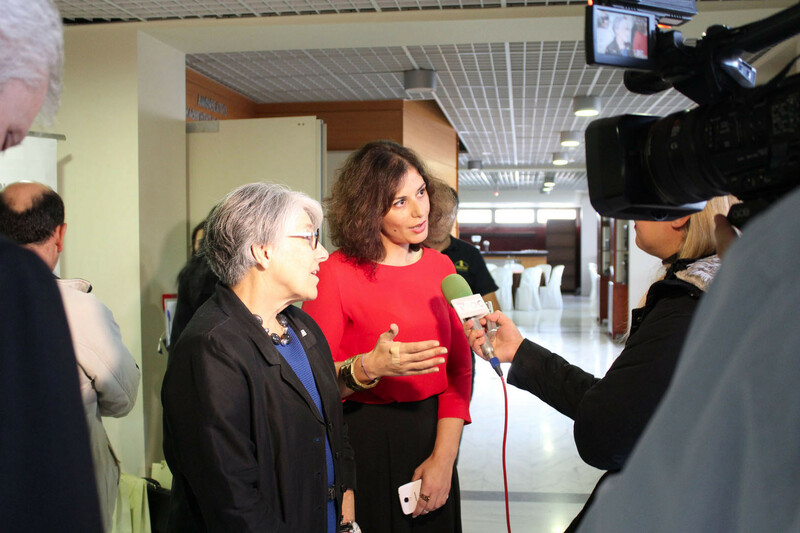 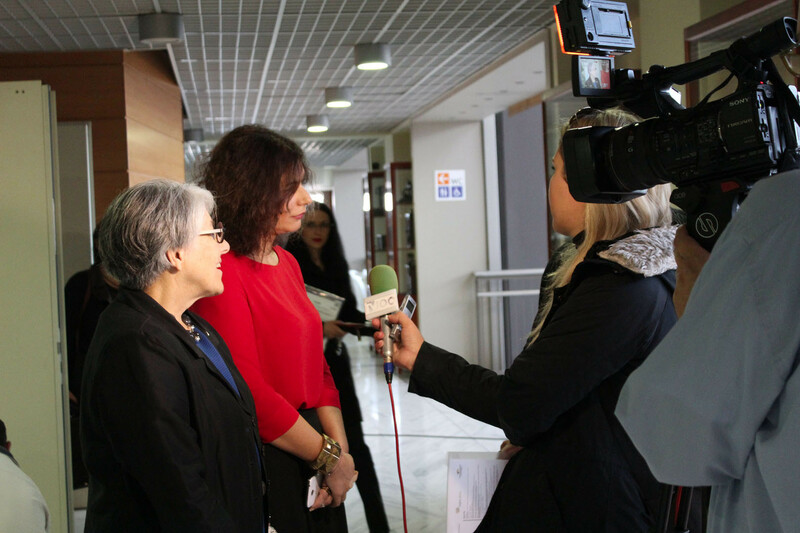 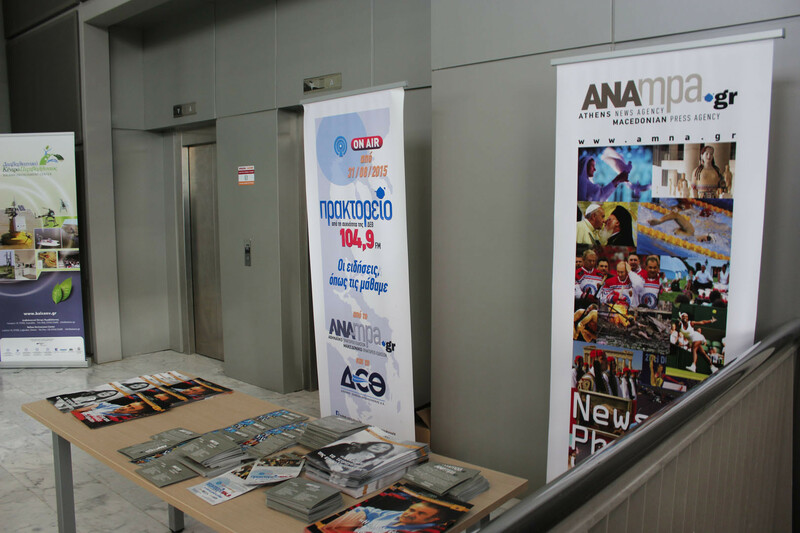 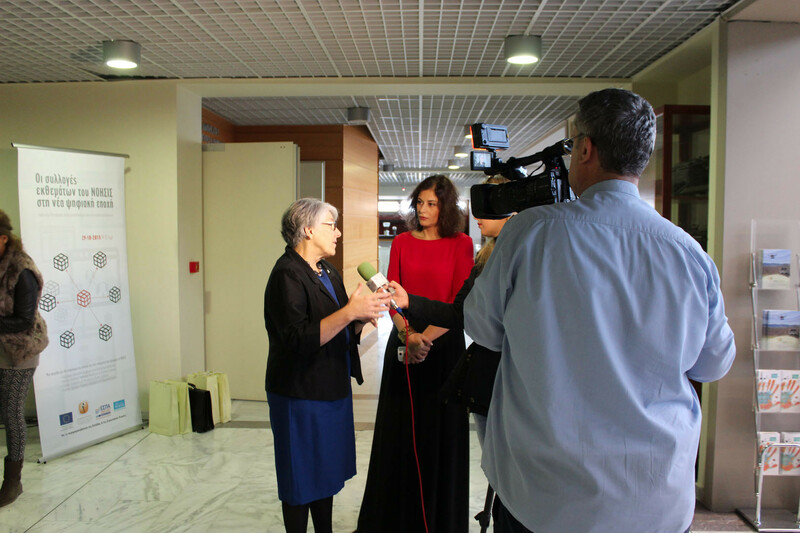 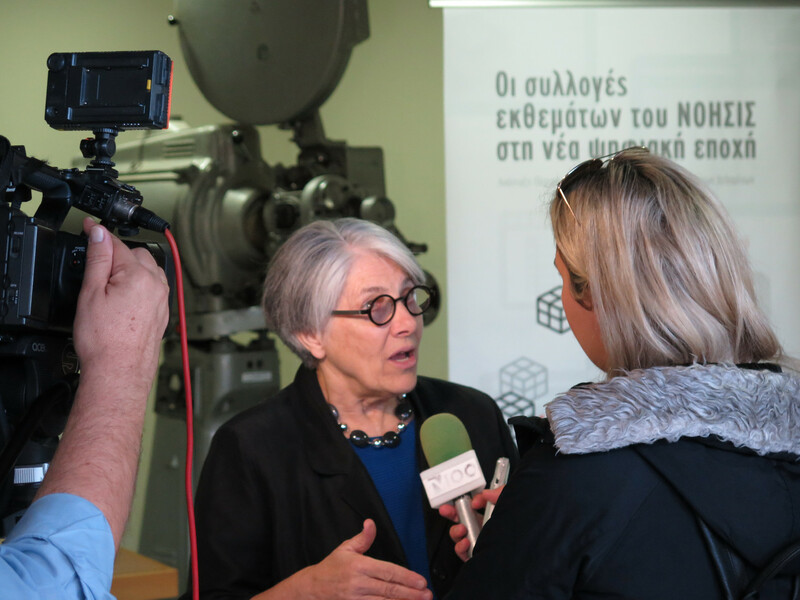 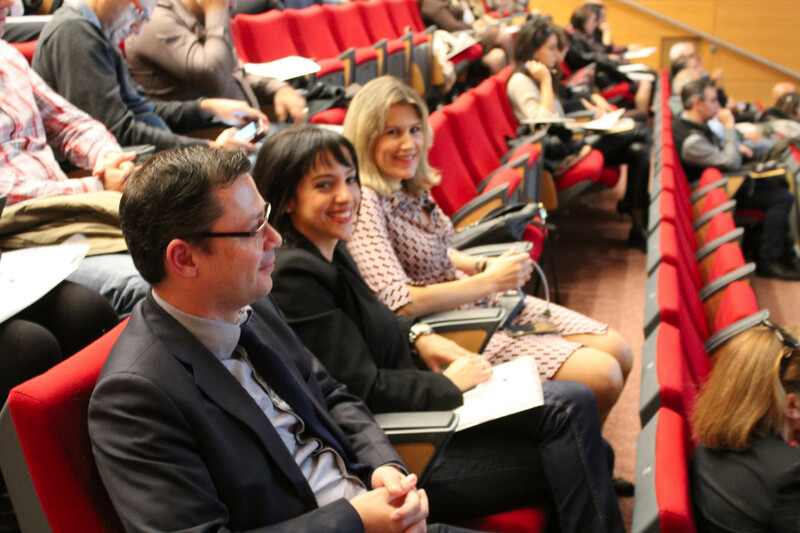 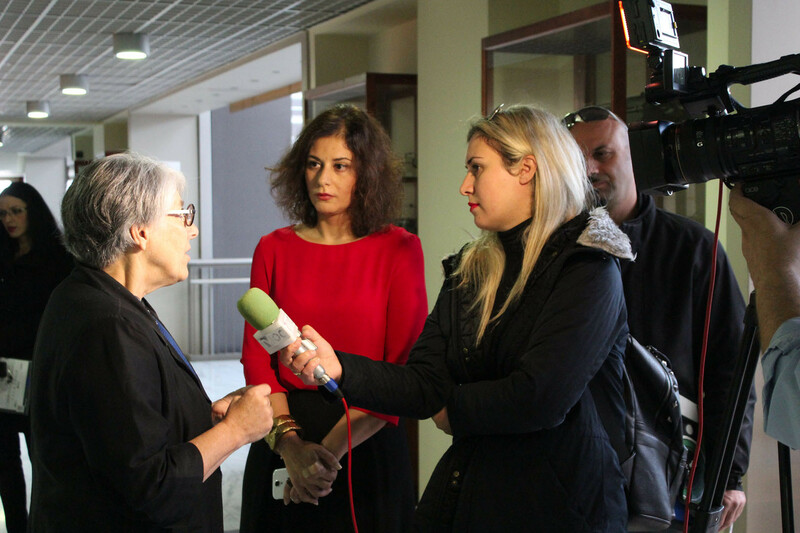 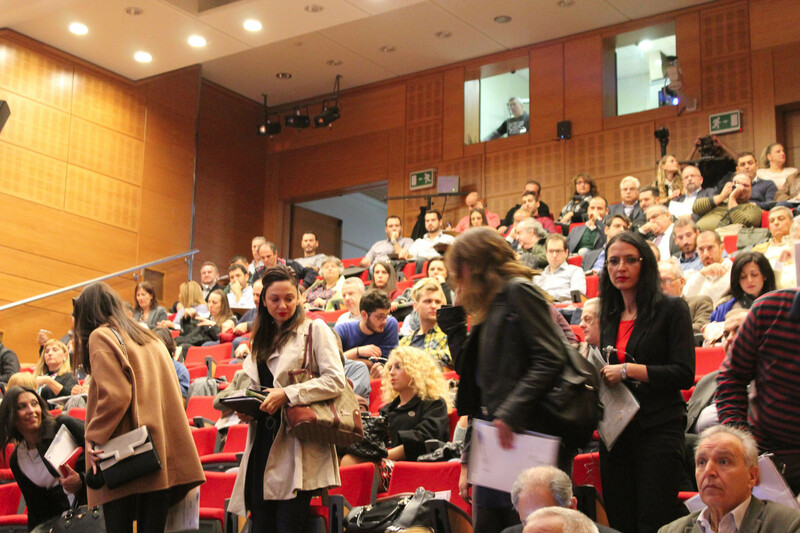 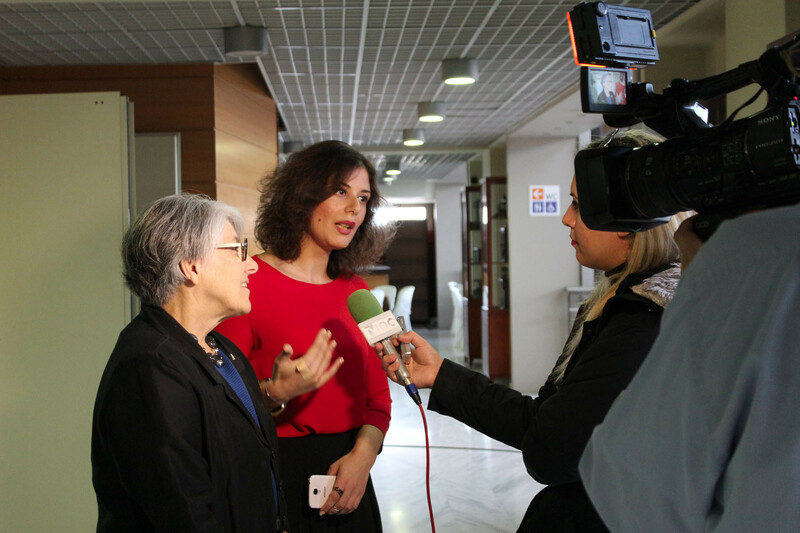 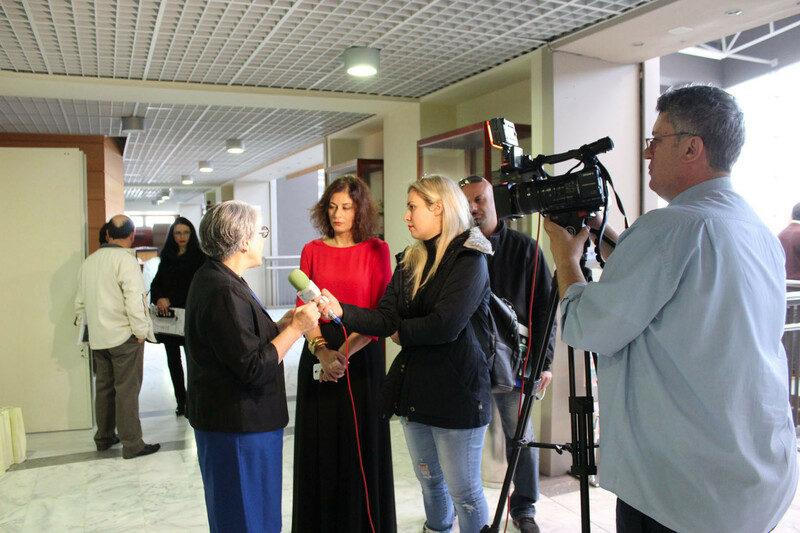 Official Media Sponsors of the conference was the Athens News Agency – Macedonian News Agency (ANA-MPA SA), the AGENCY 104,9 FM and TV100. 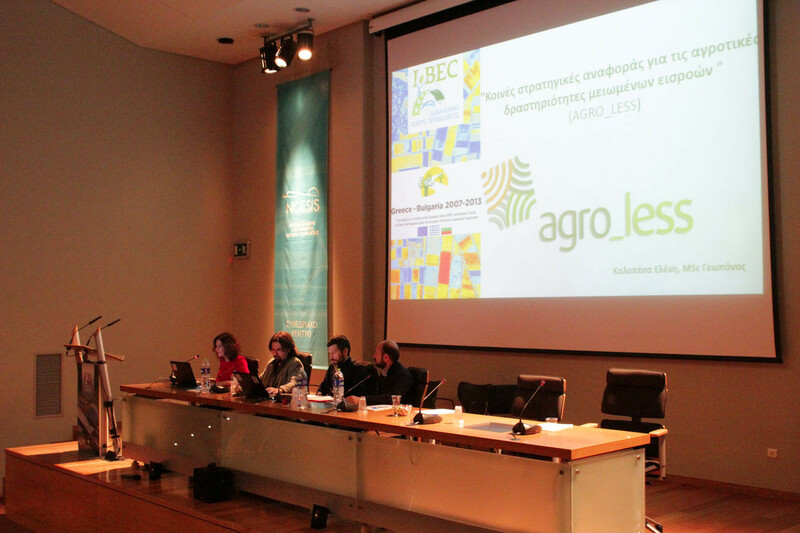 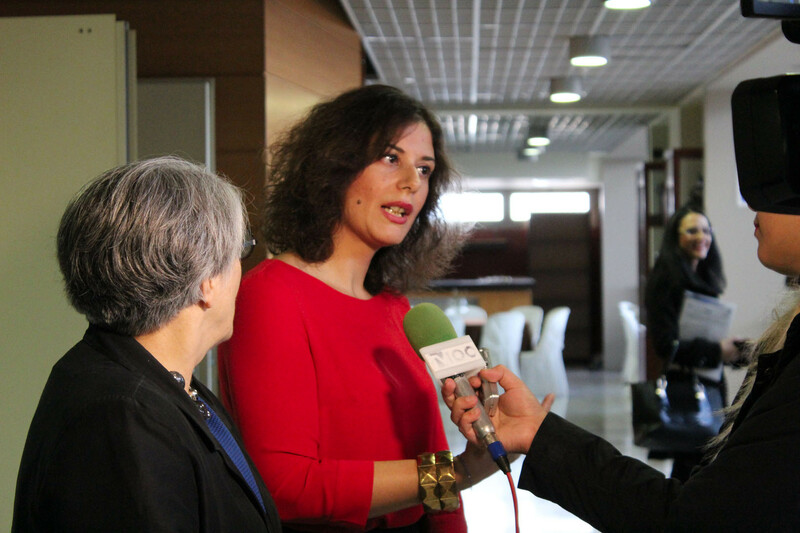 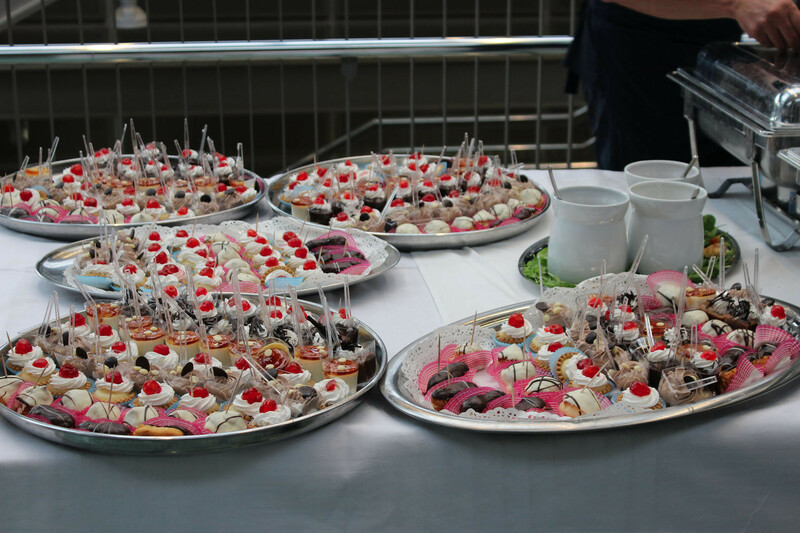 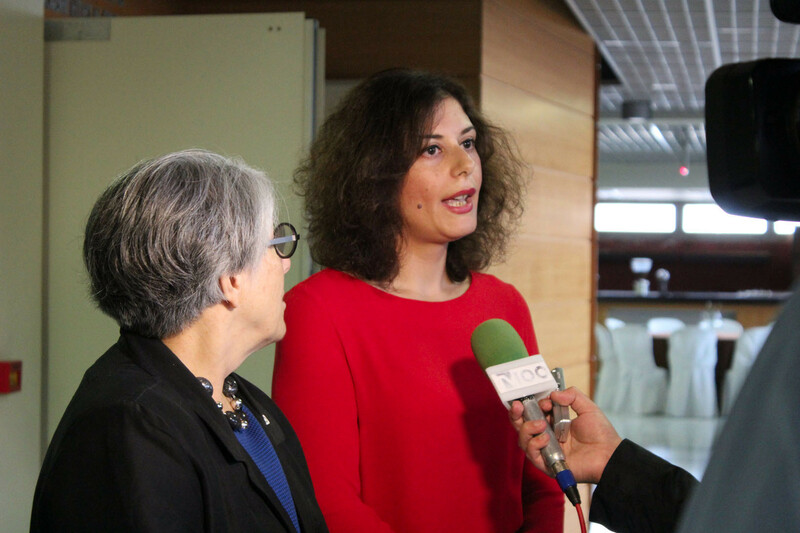 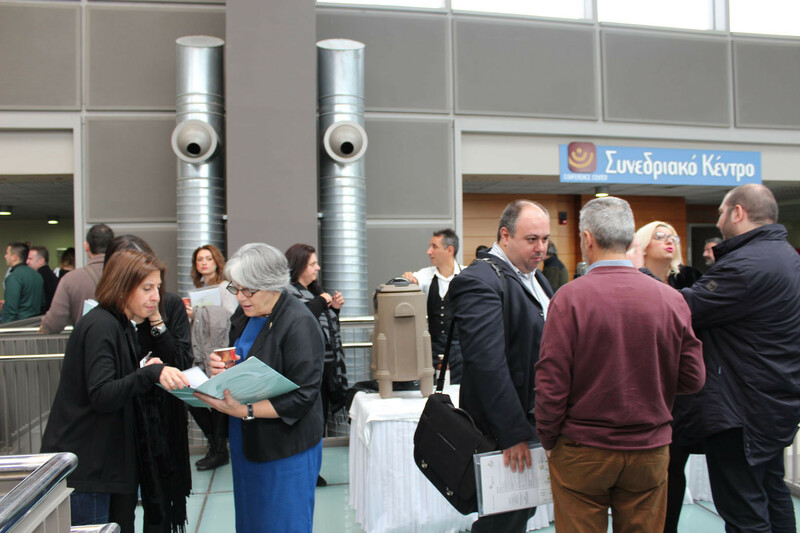 A successful two-year project was completed with a high level international conference, with influences and impact to and from the international community, which was the starting point of a broader intersectoral networking in Greece and abroad on exploiting new technologies to enhance the agricultural sector’s competitiveness. 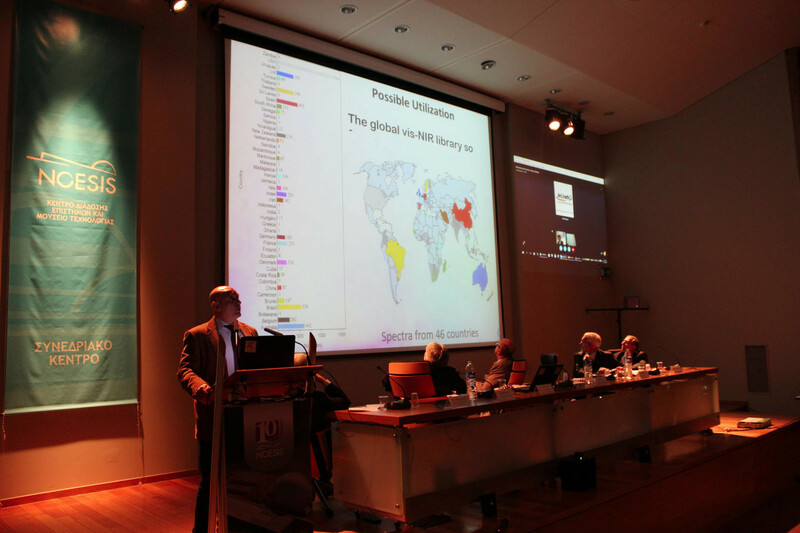 You can download each presentation by clicking on the title.